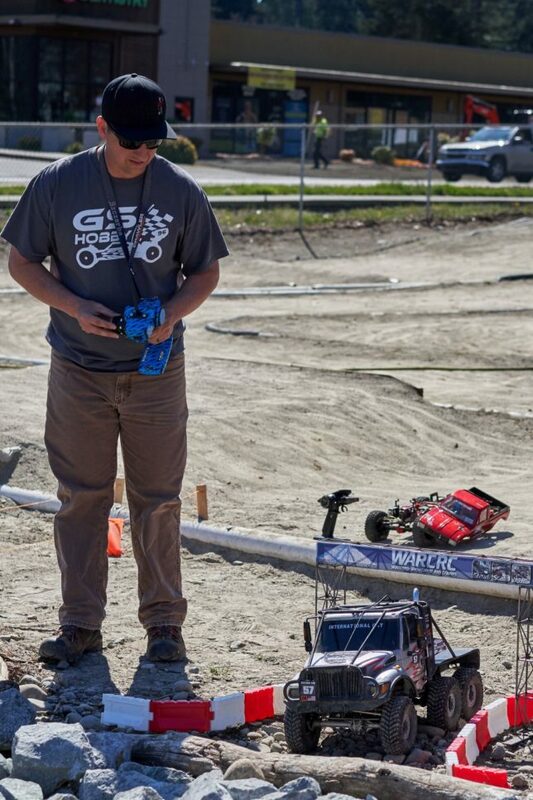 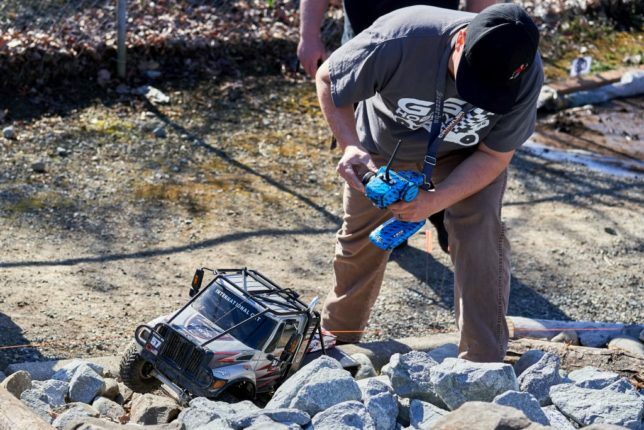 RC cars are a rabbit hole of wallet-emptying enjoyment. 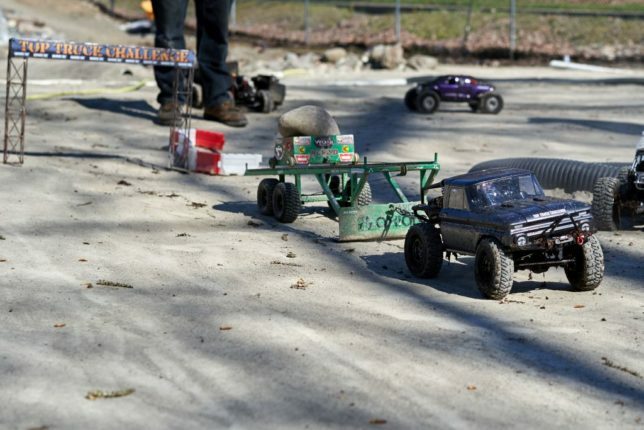 The hobby mimics 1:1 vehicle culture on a smaller scale, even down to the events. 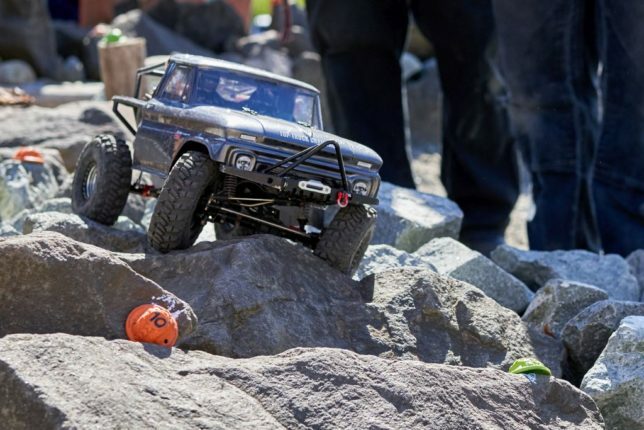 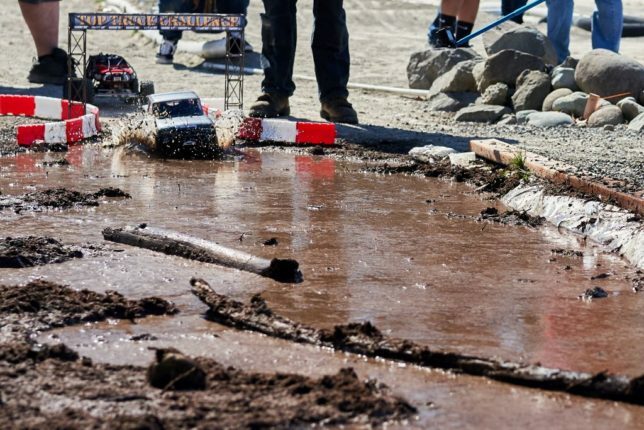 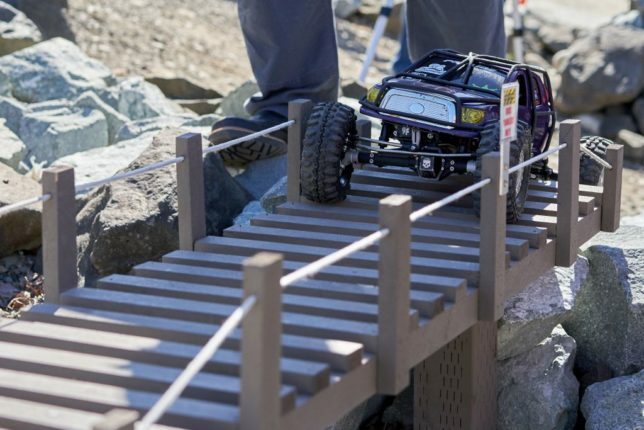 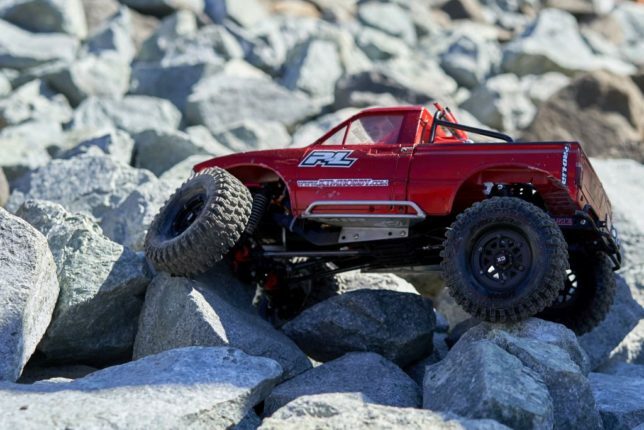 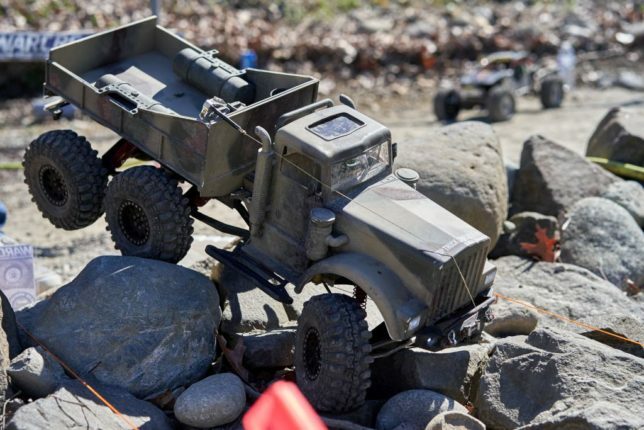 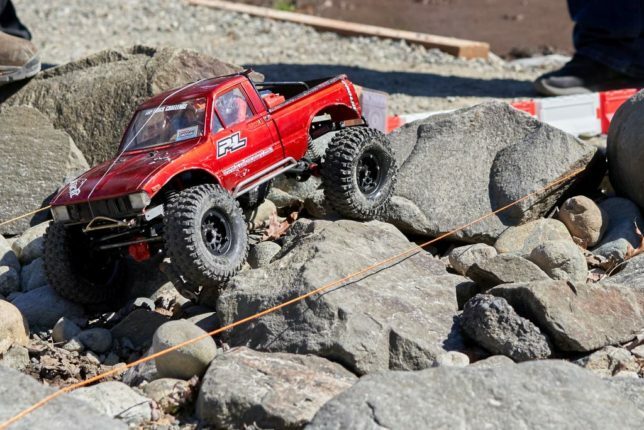 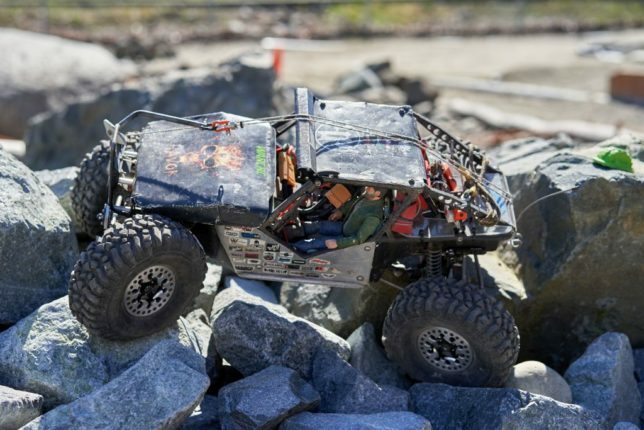 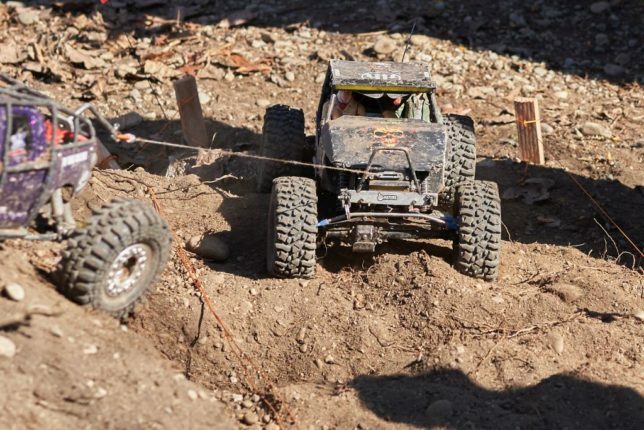 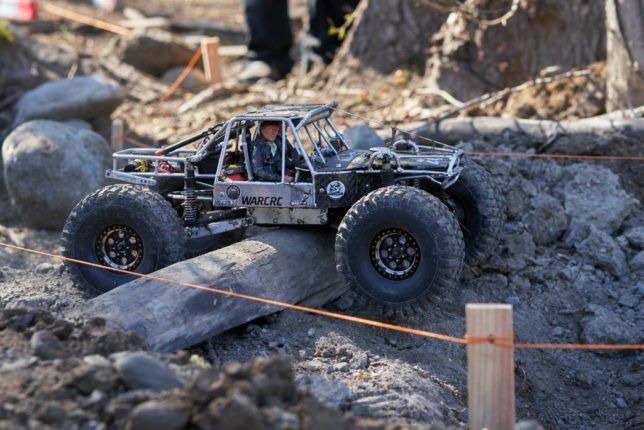 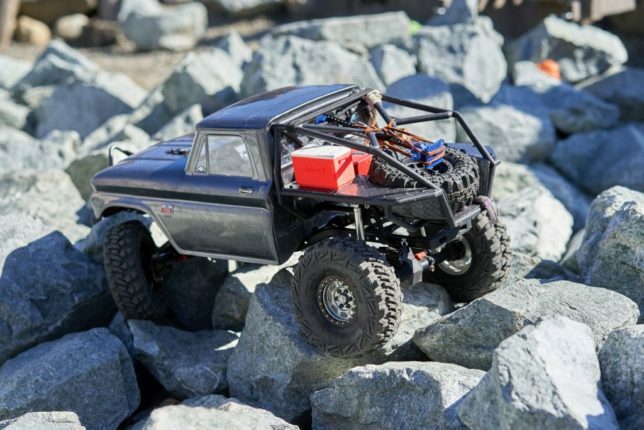 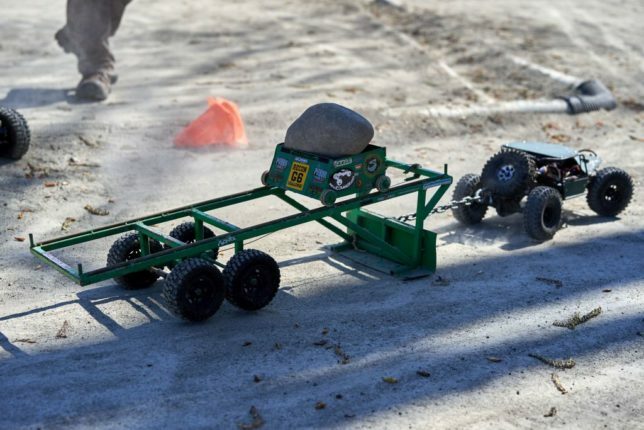 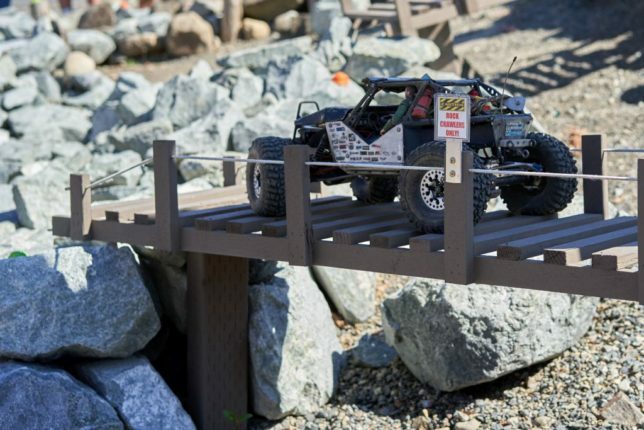 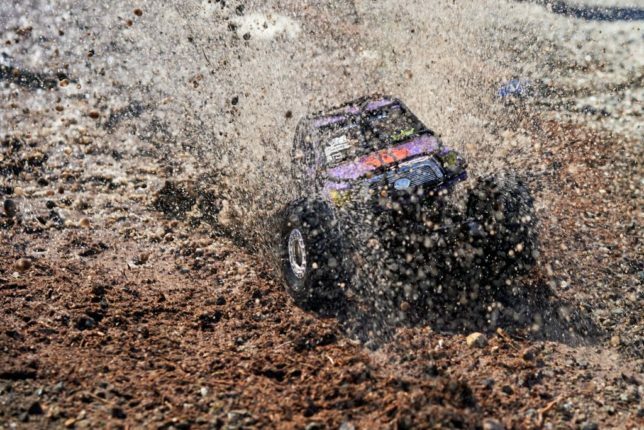 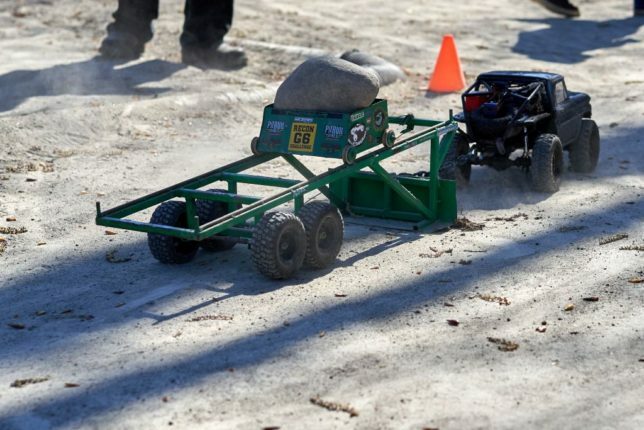 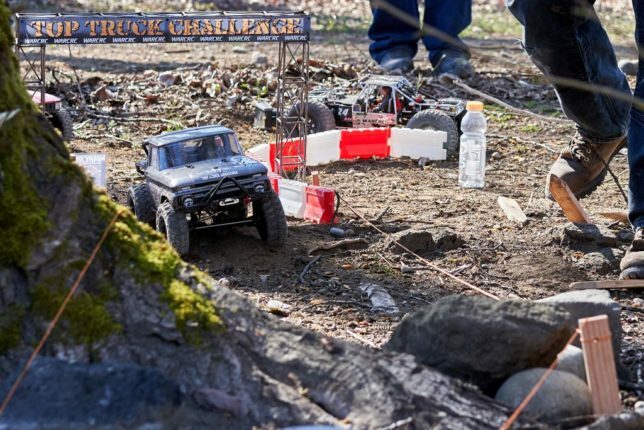 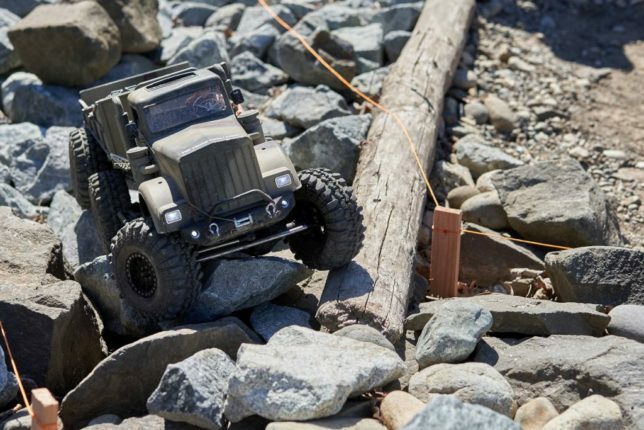 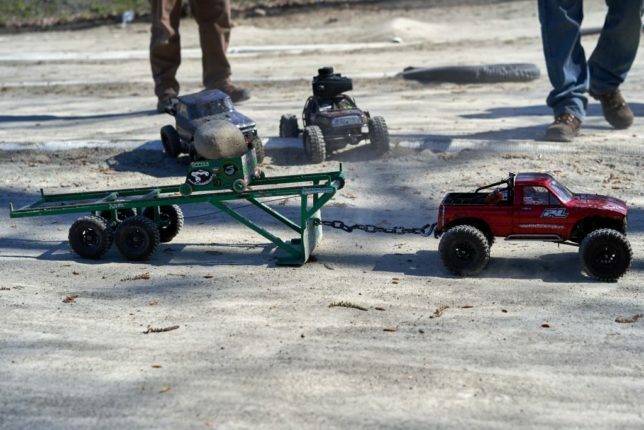 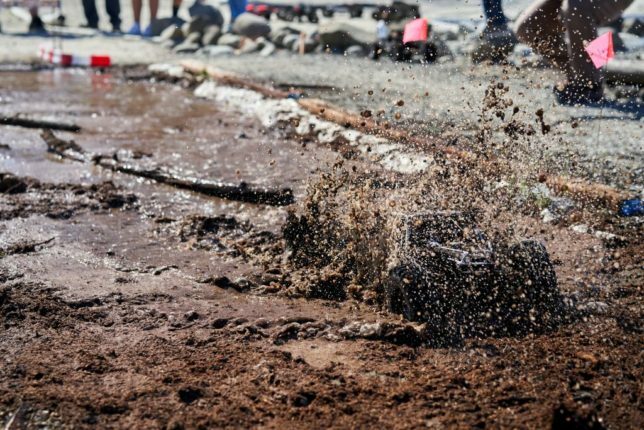 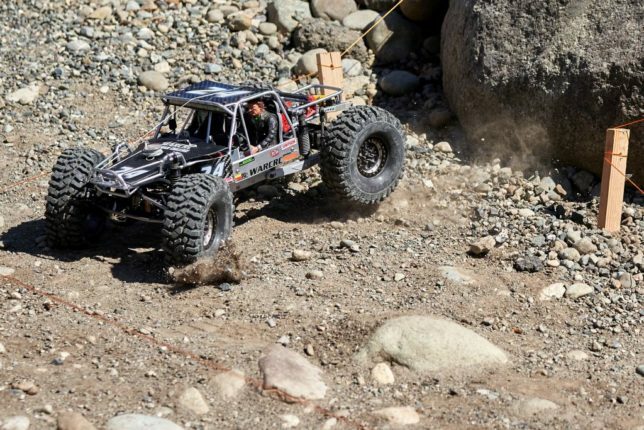 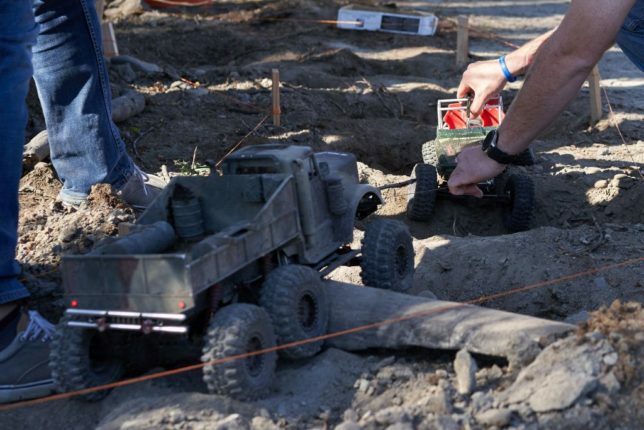 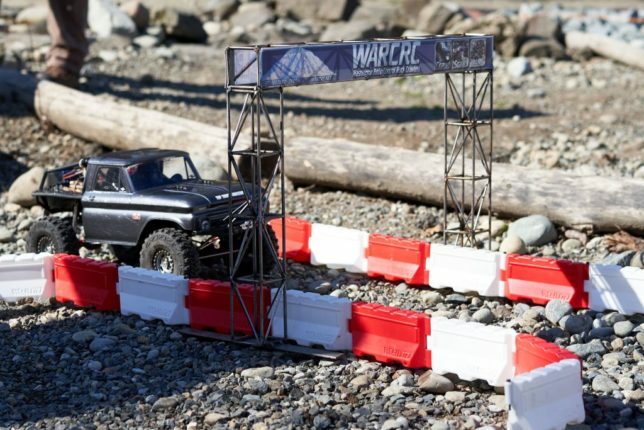 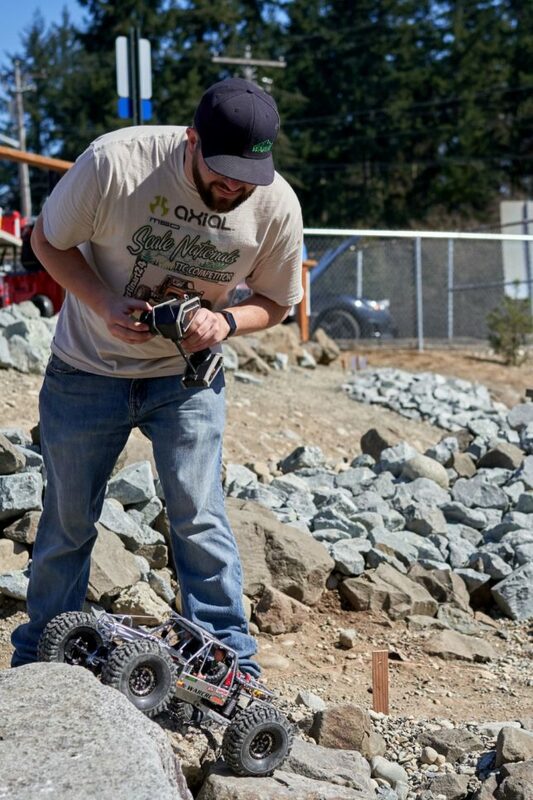 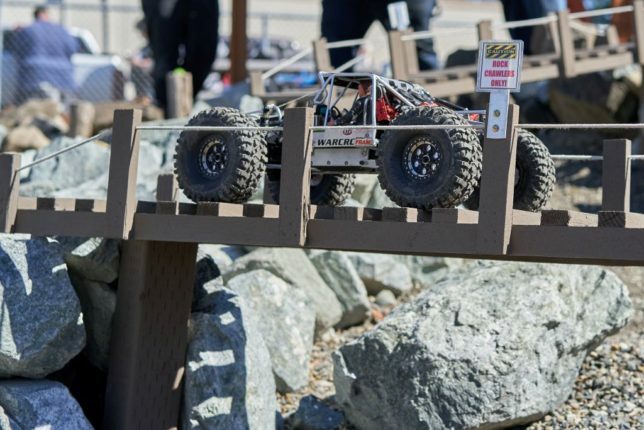 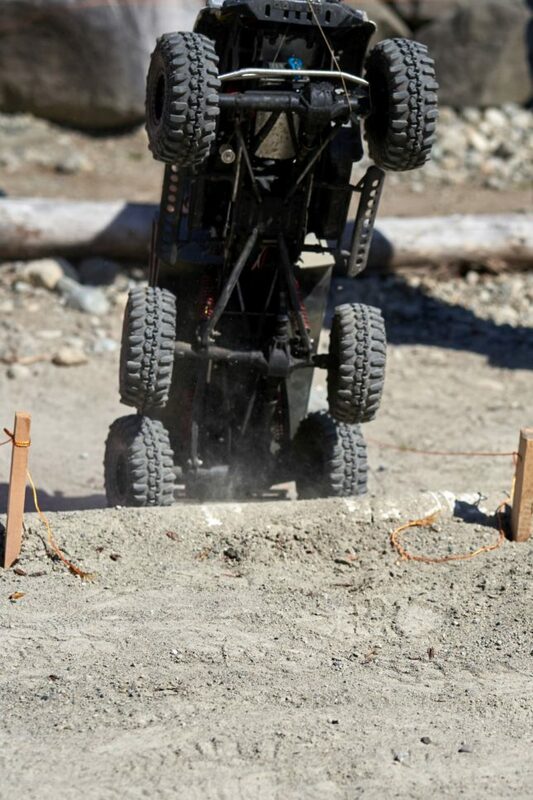 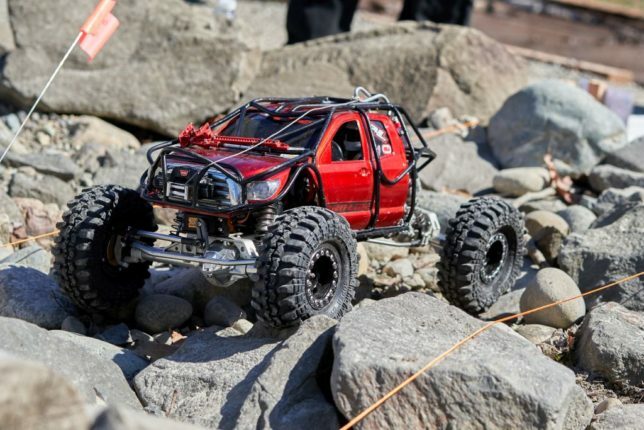 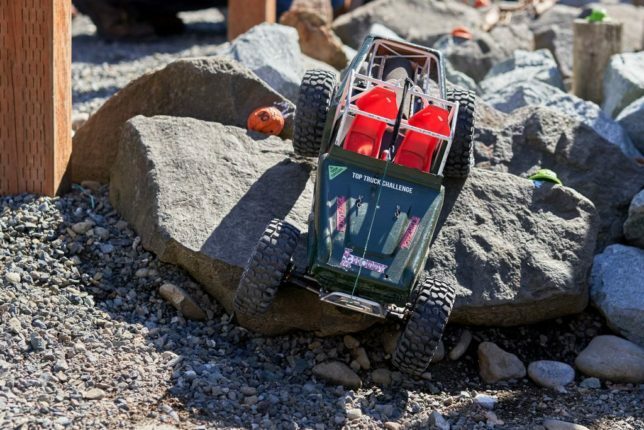 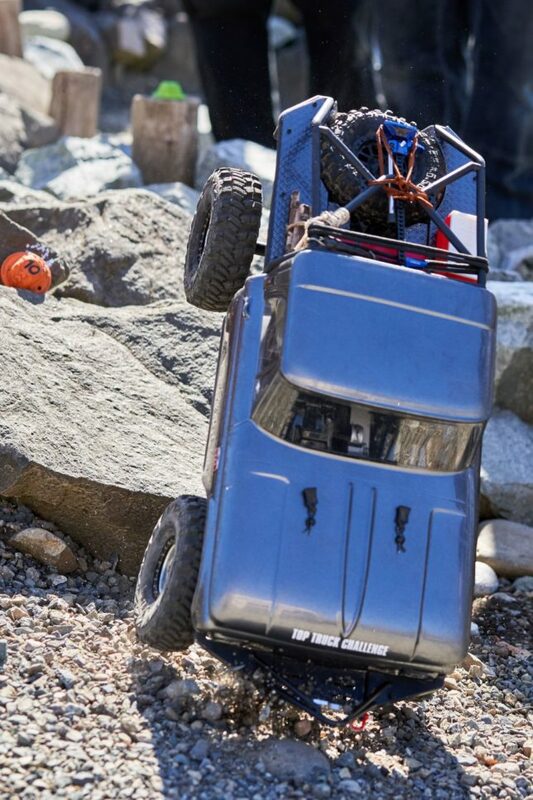 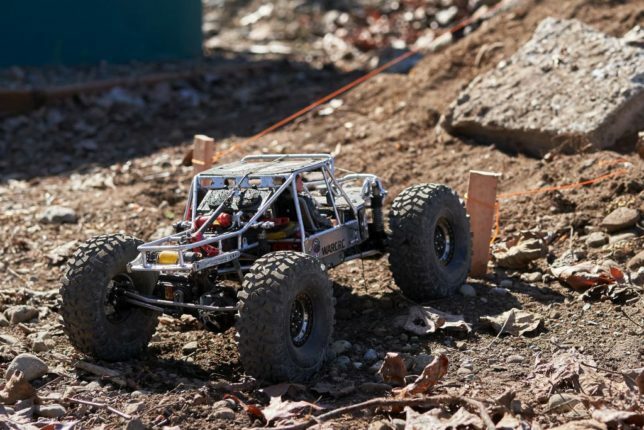 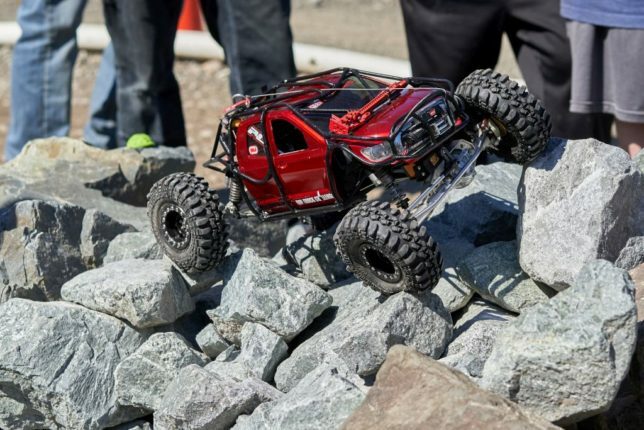 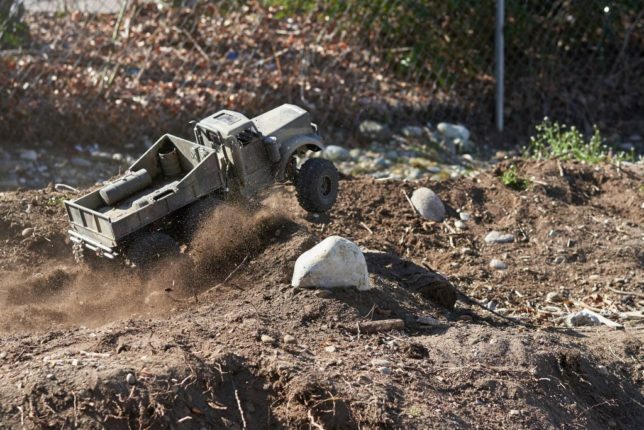 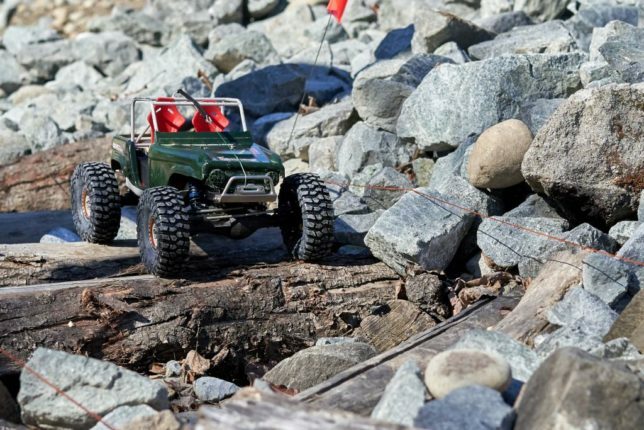 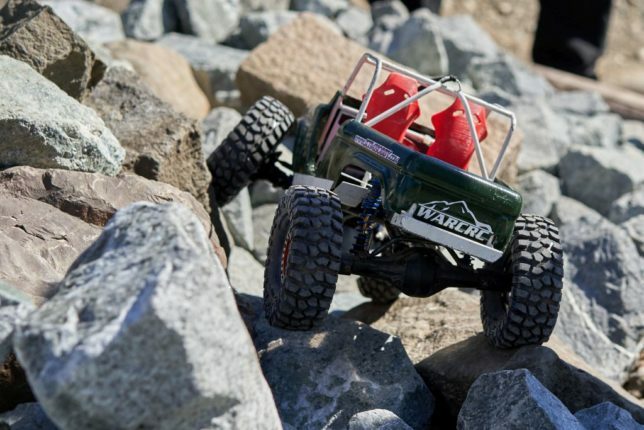 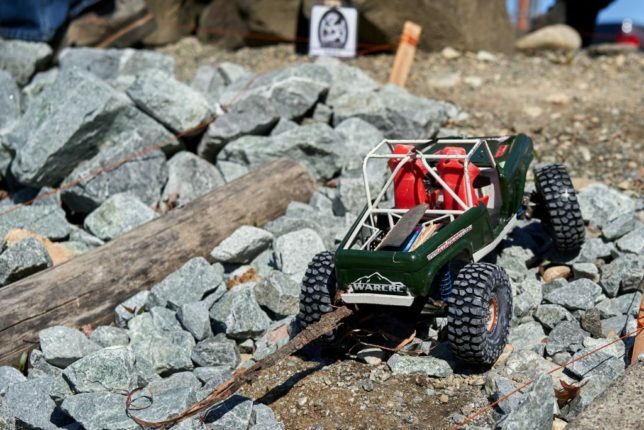 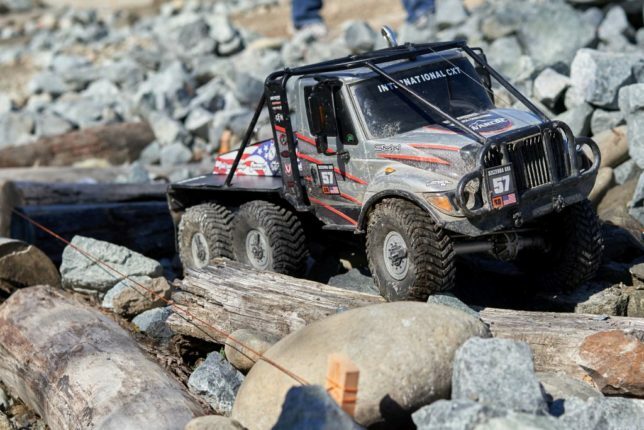 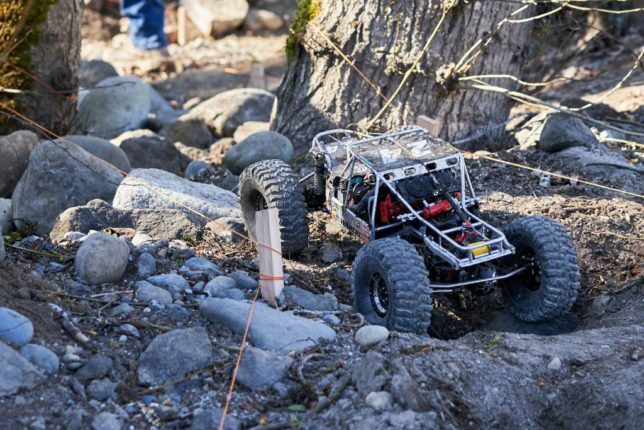 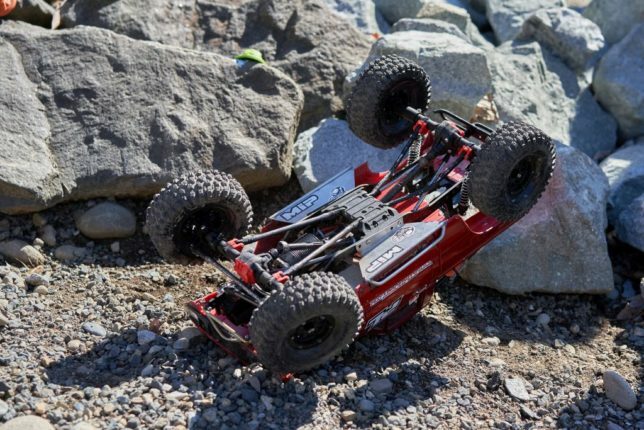 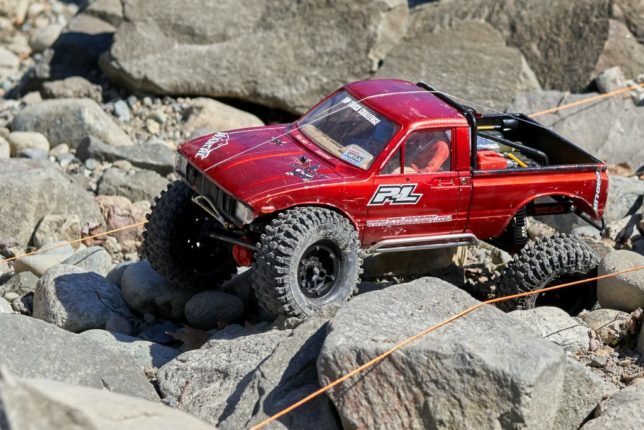 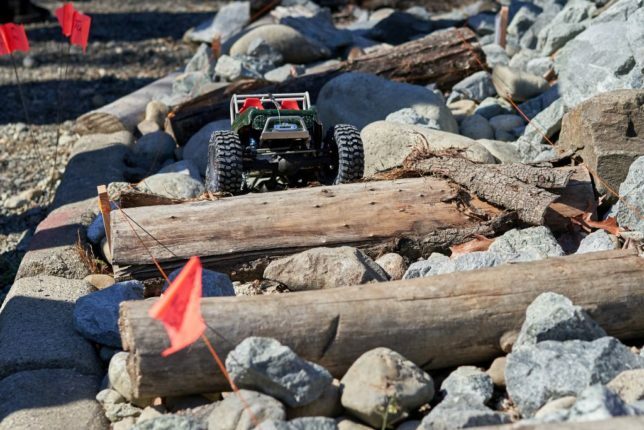 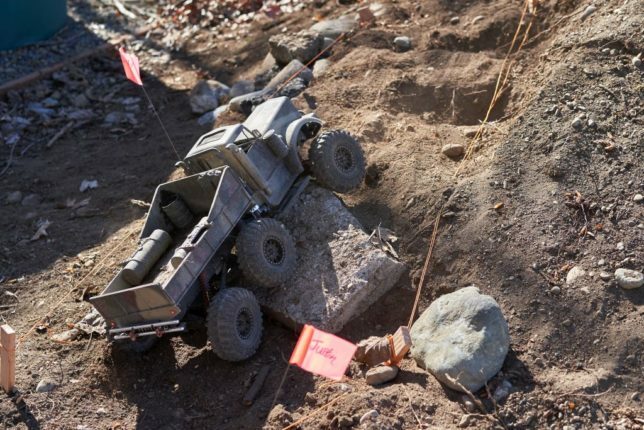 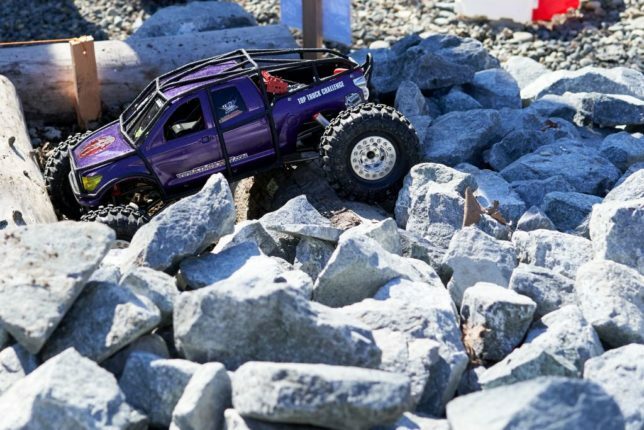 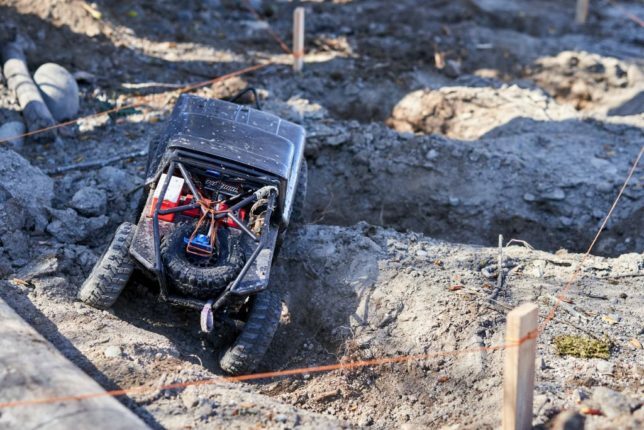 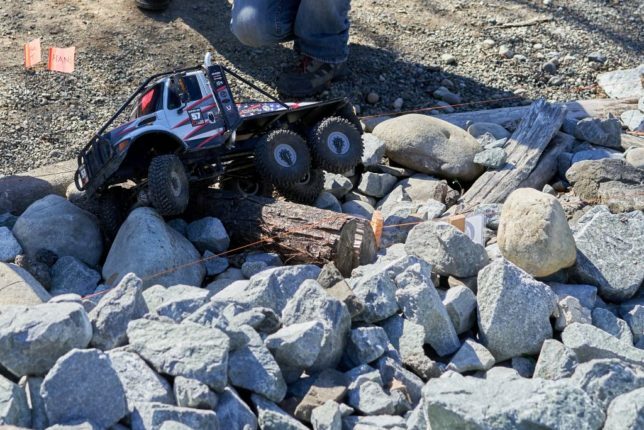 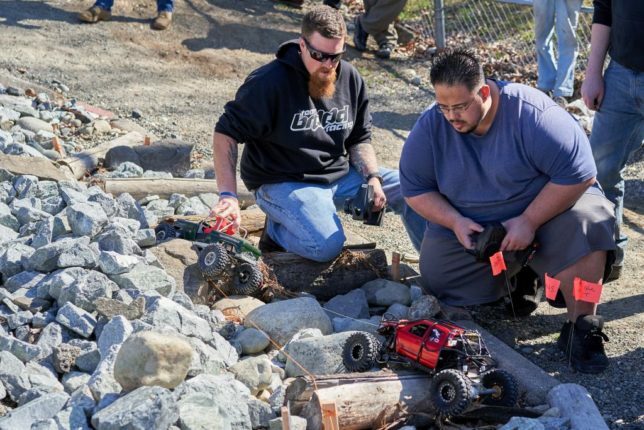 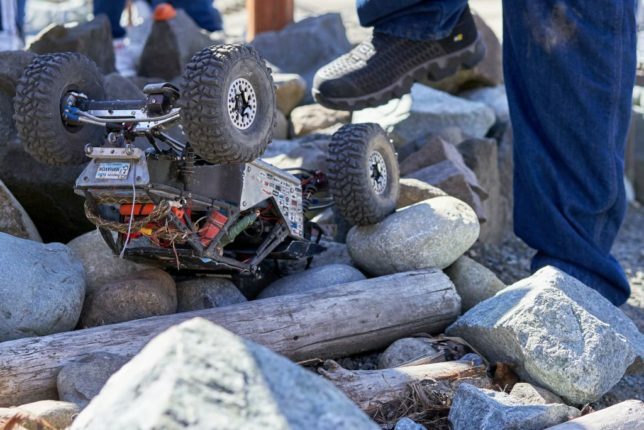 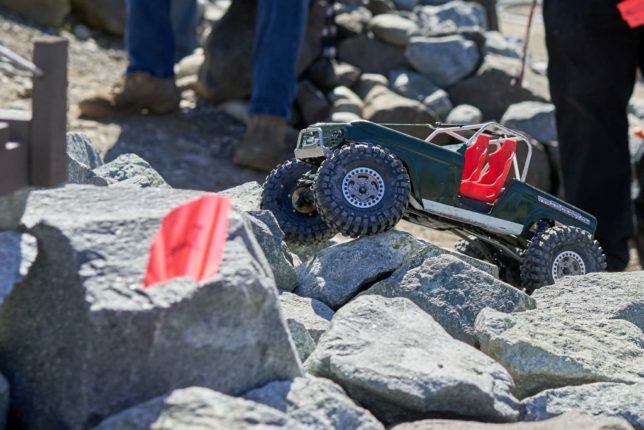 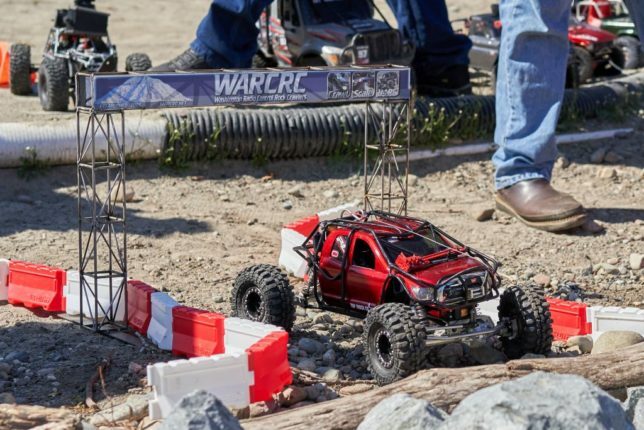 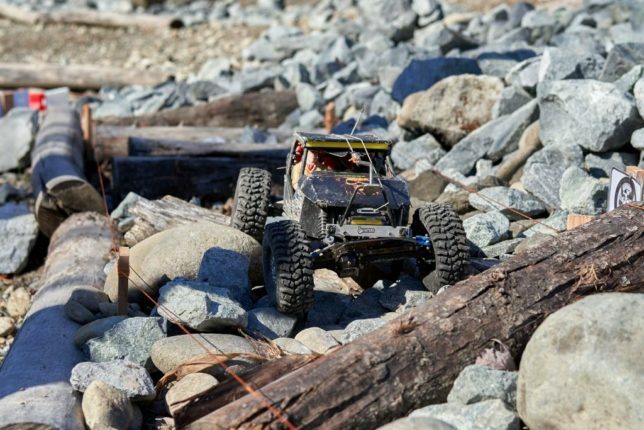 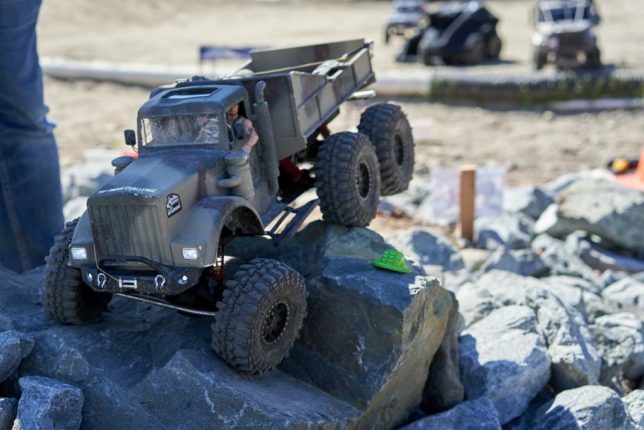 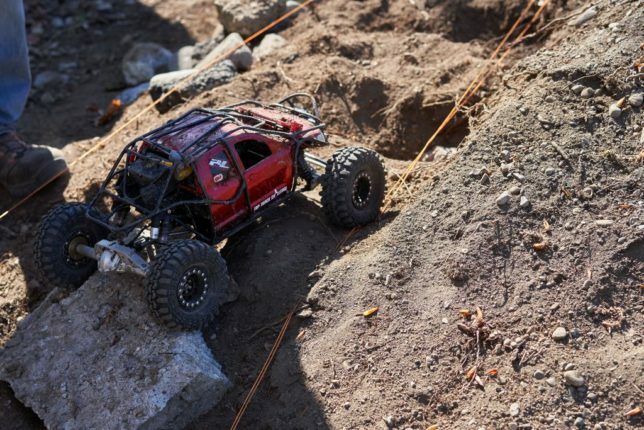 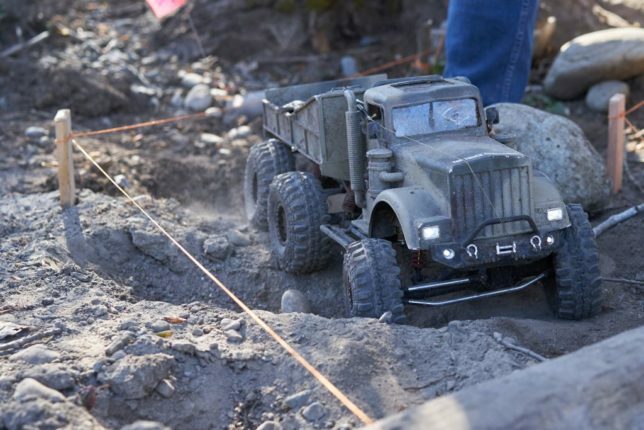 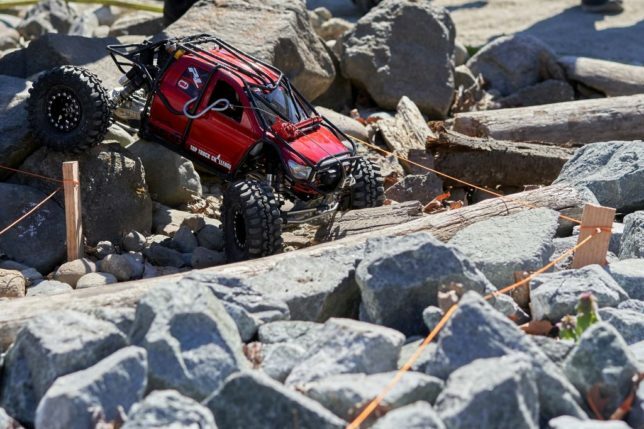 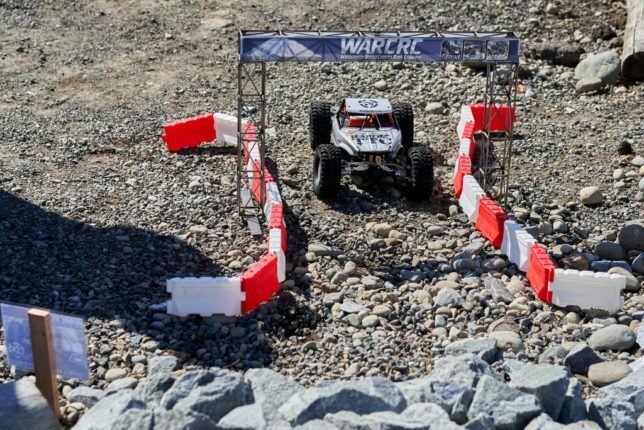 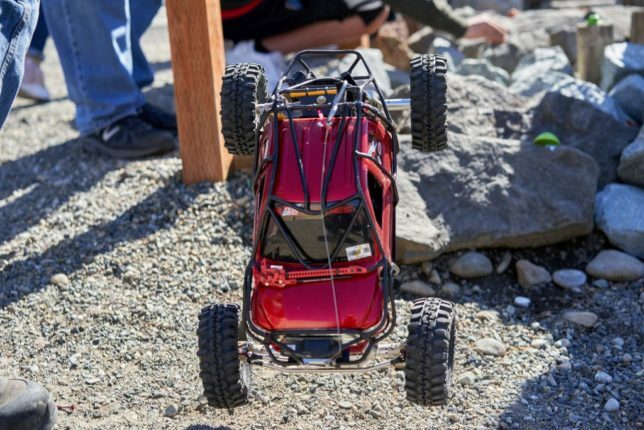 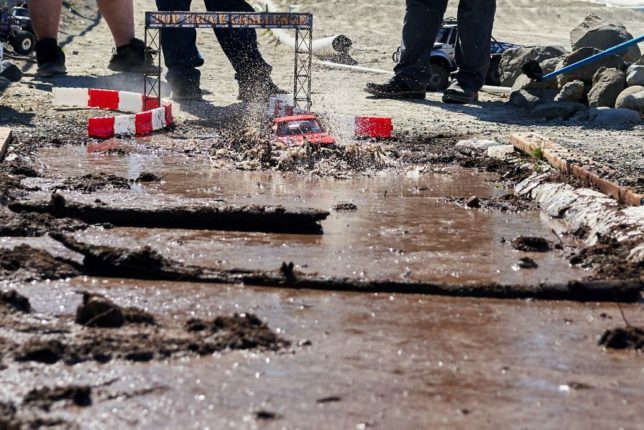 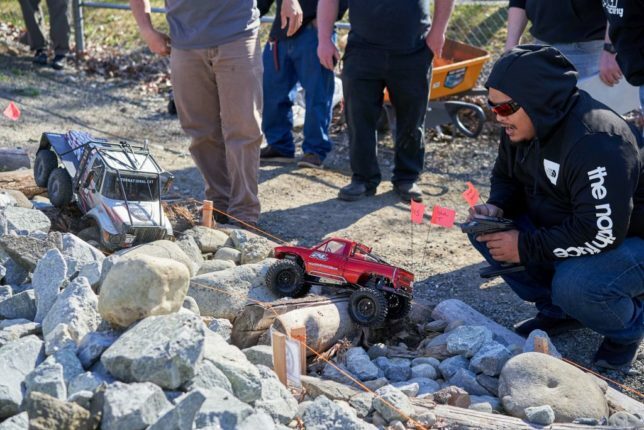 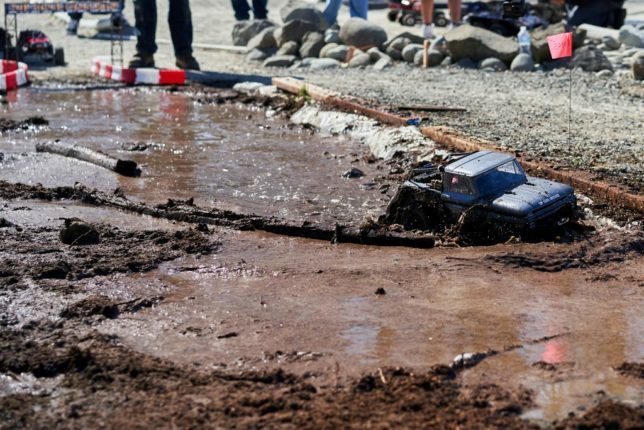 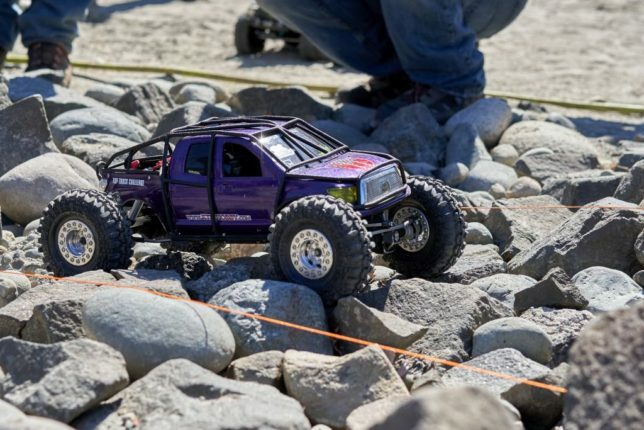 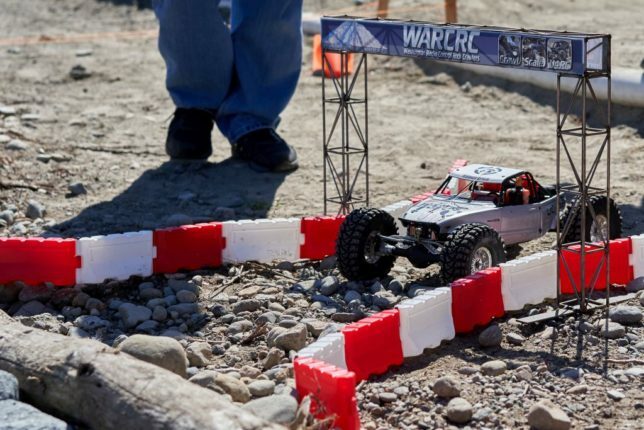 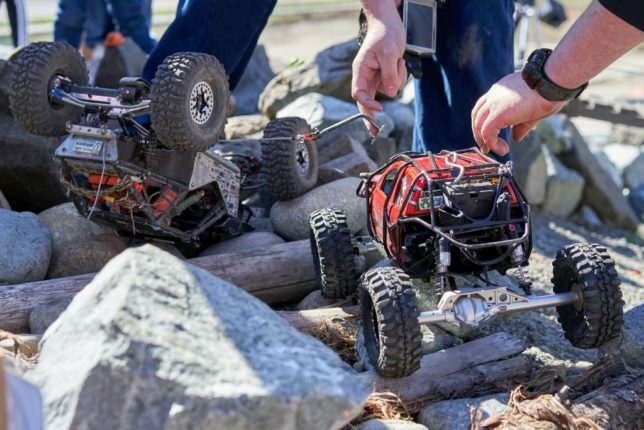 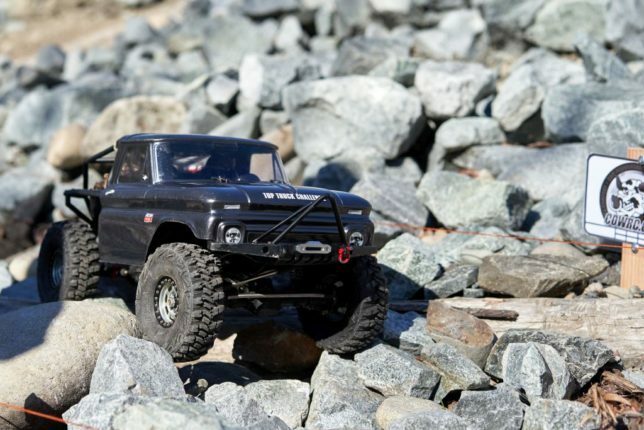 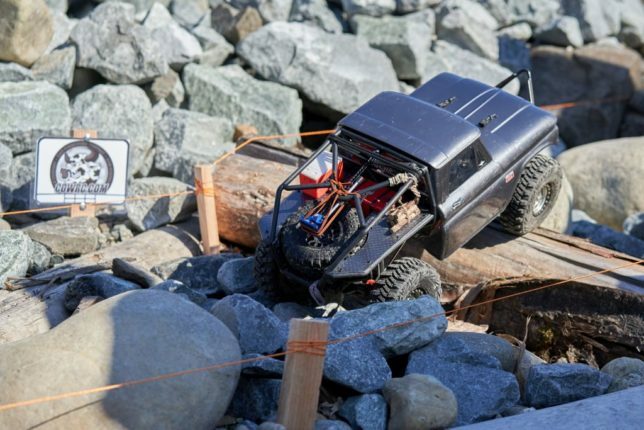 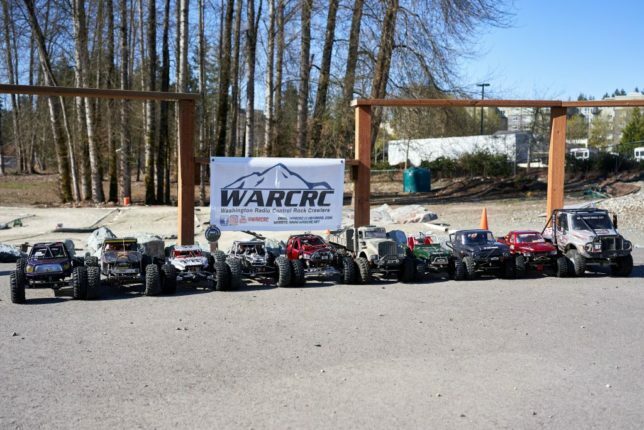 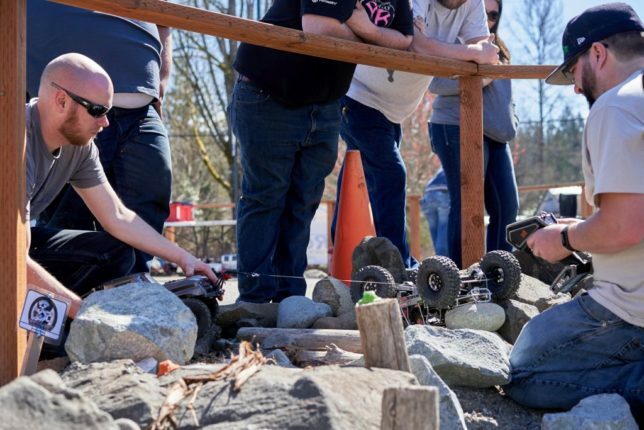 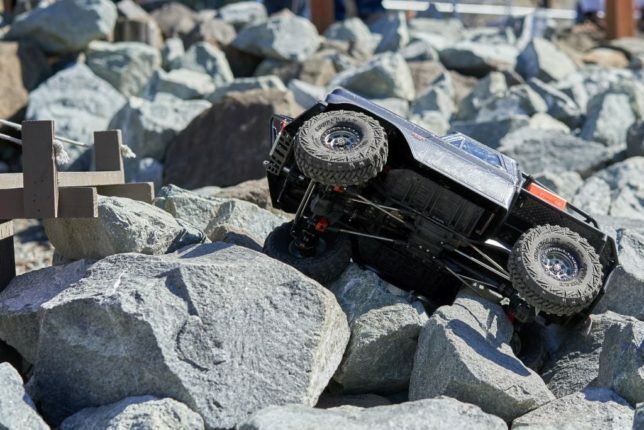 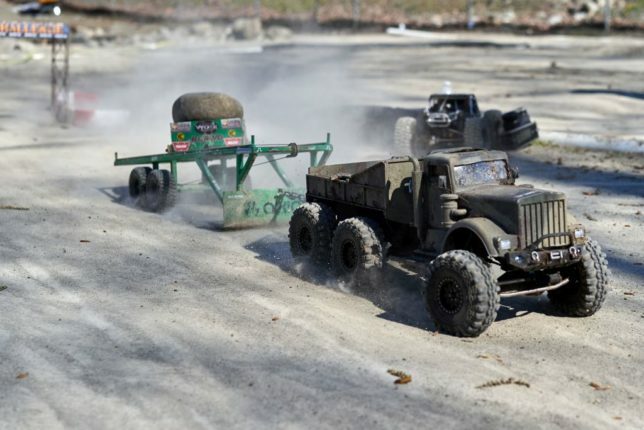 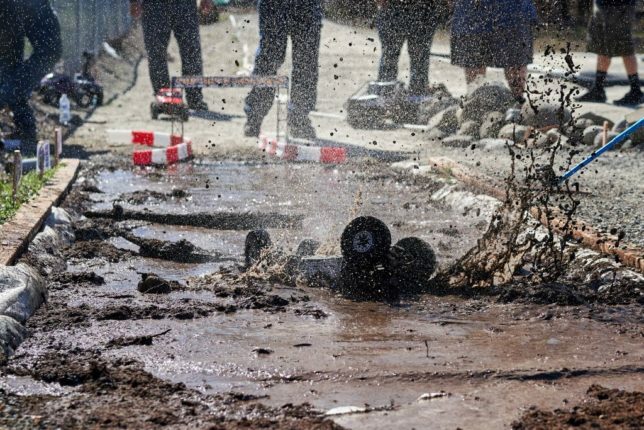 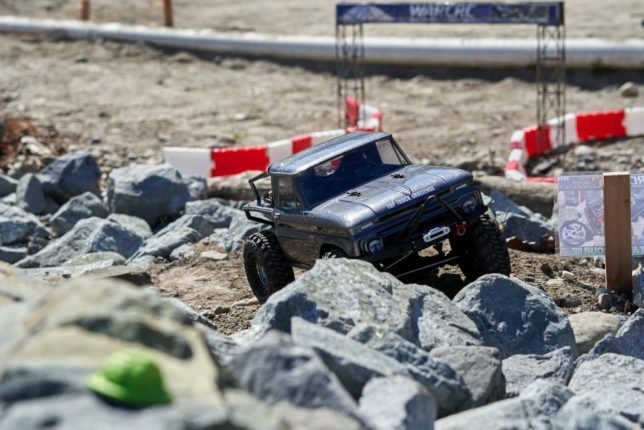 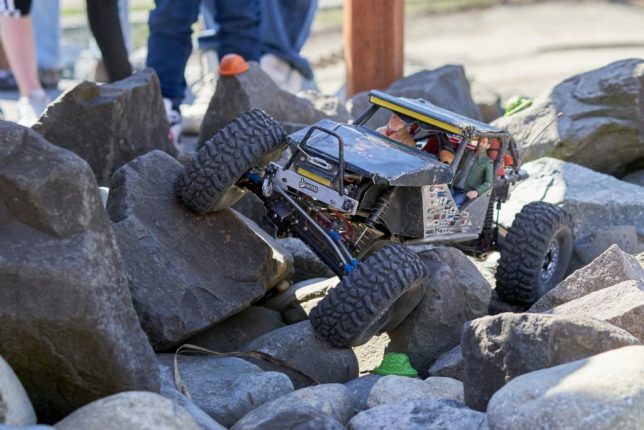 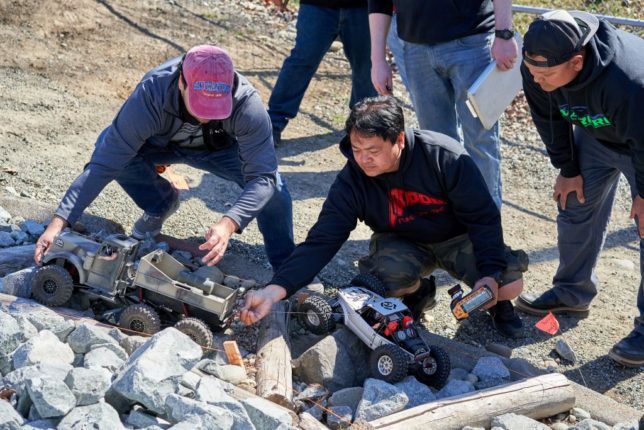 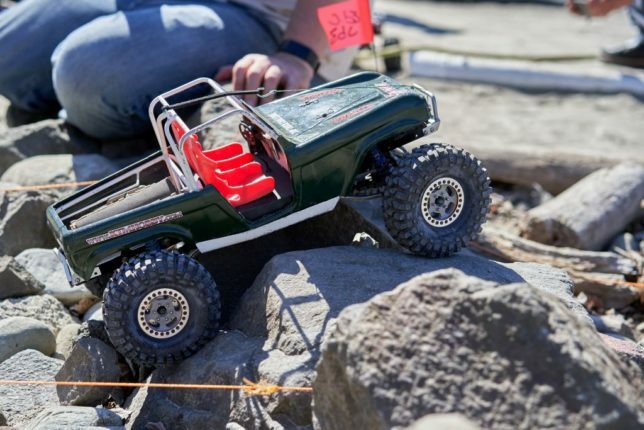 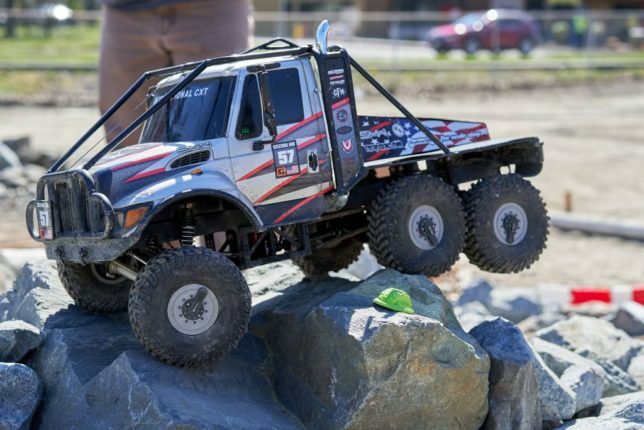 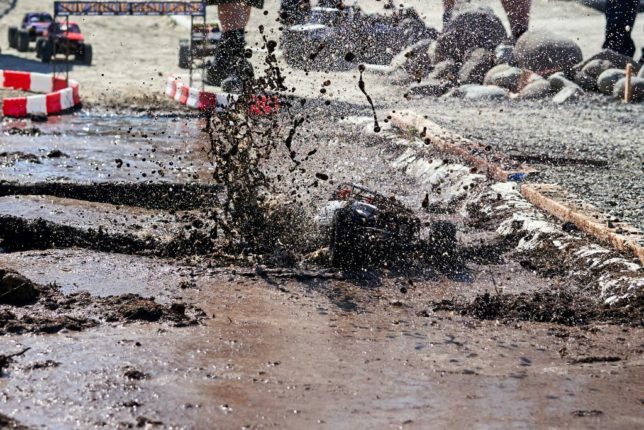 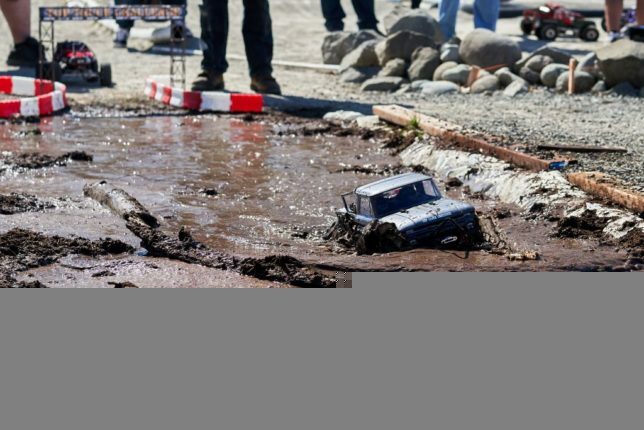 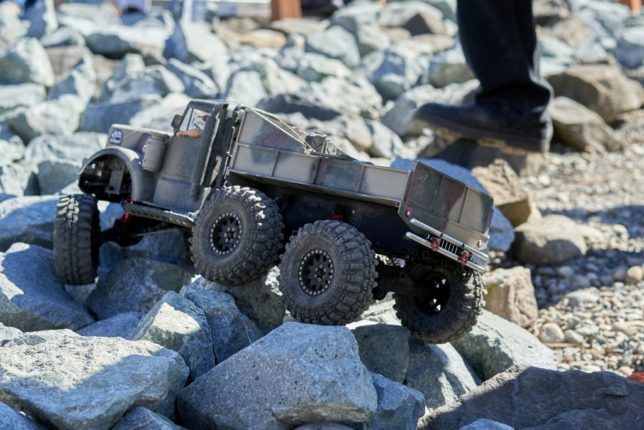 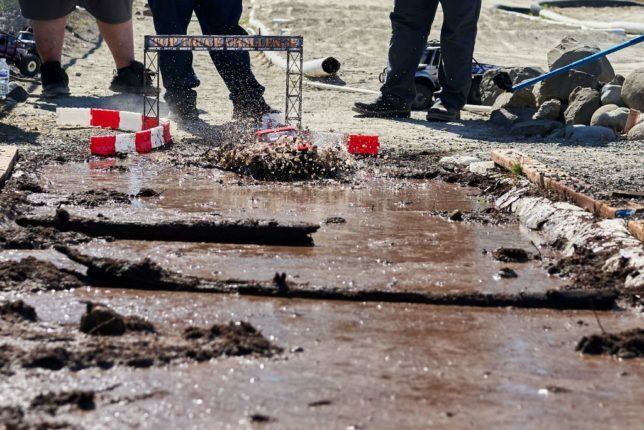 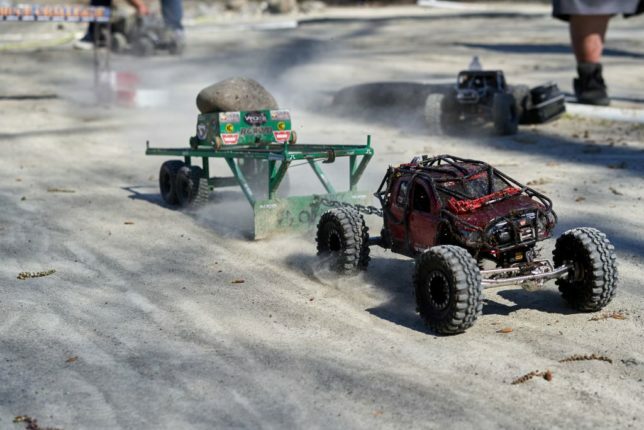 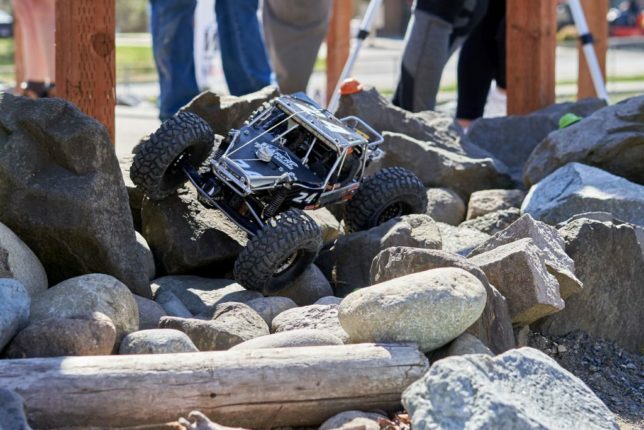 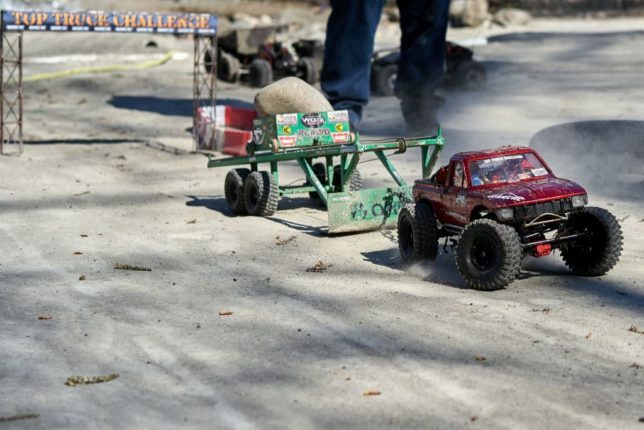 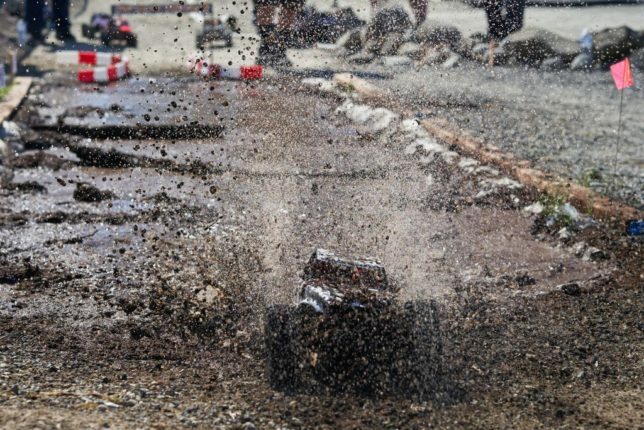 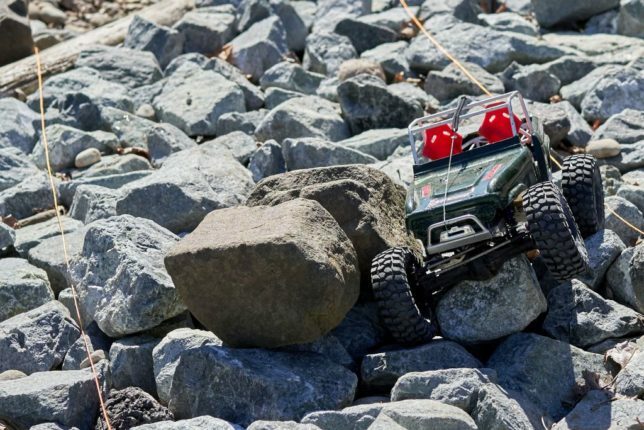 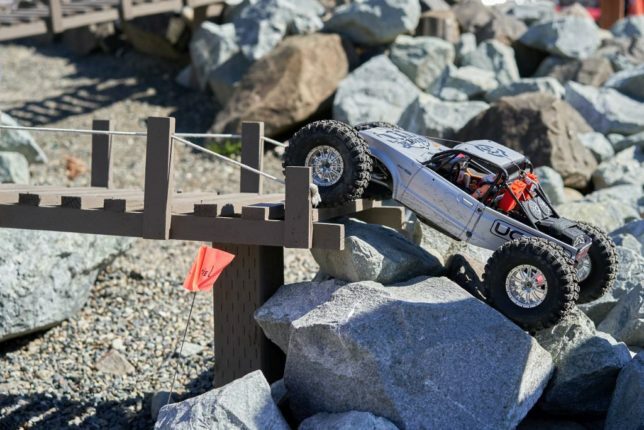 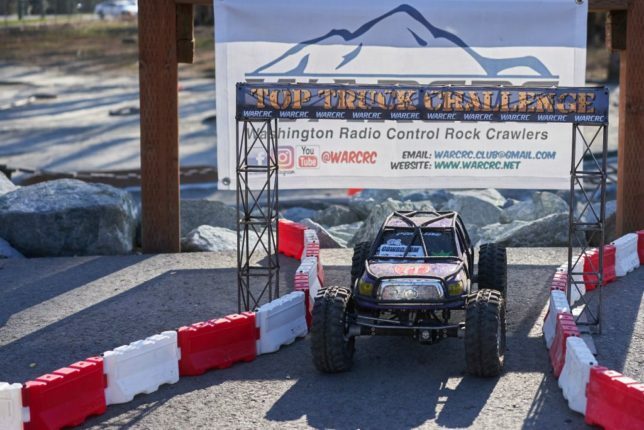 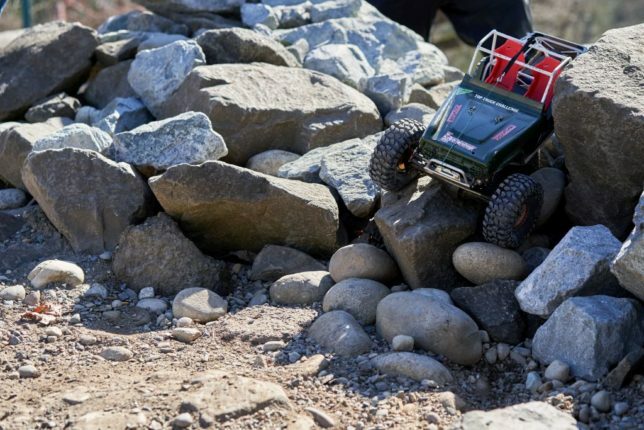 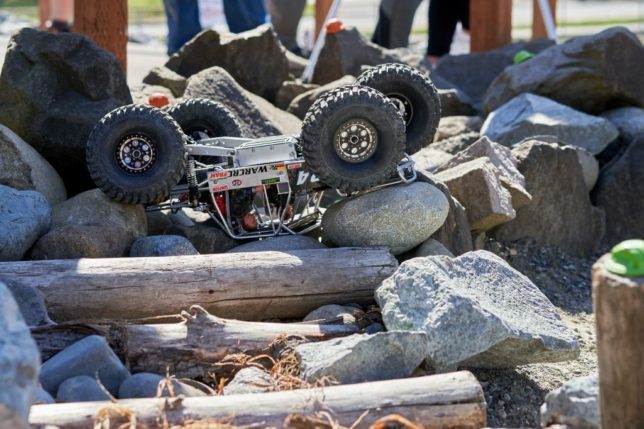 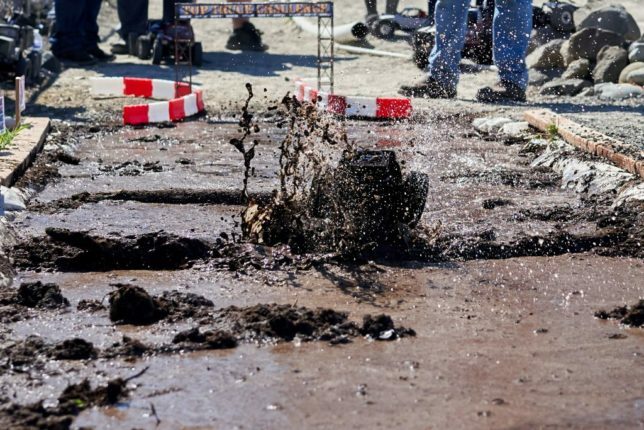 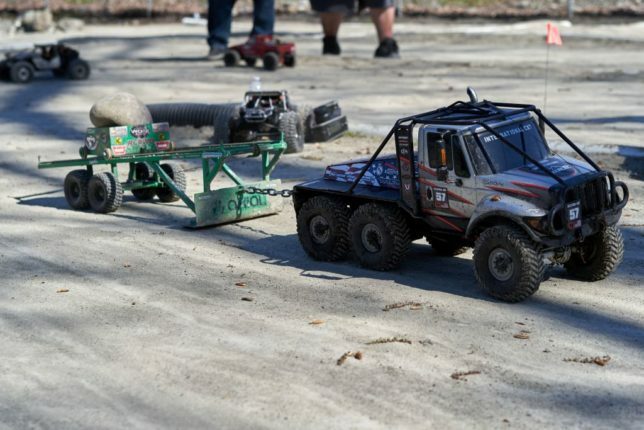 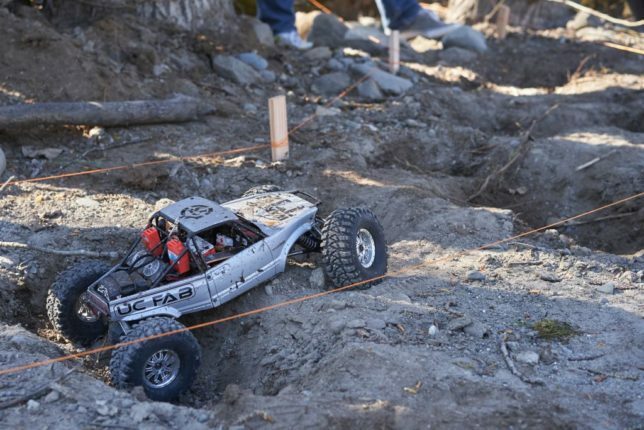 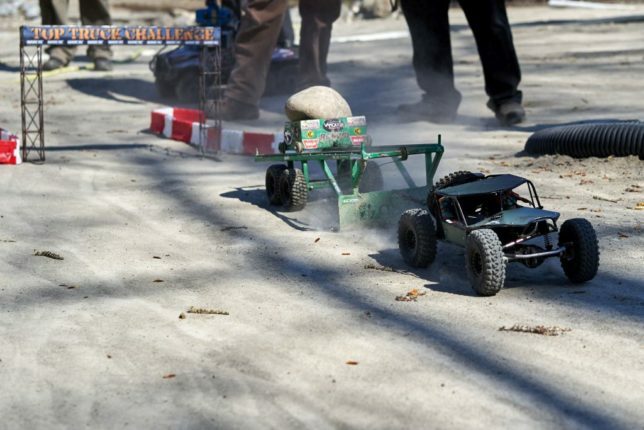 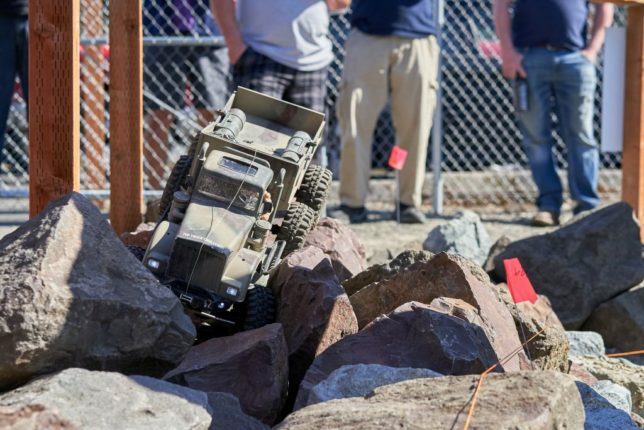 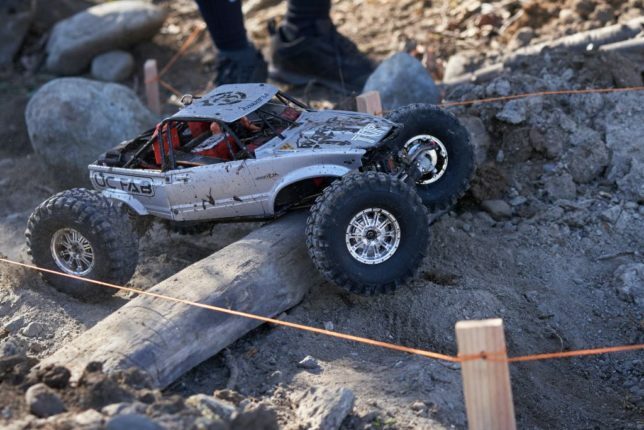 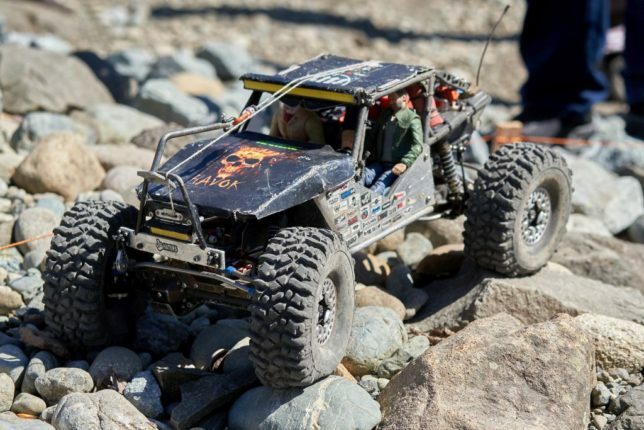 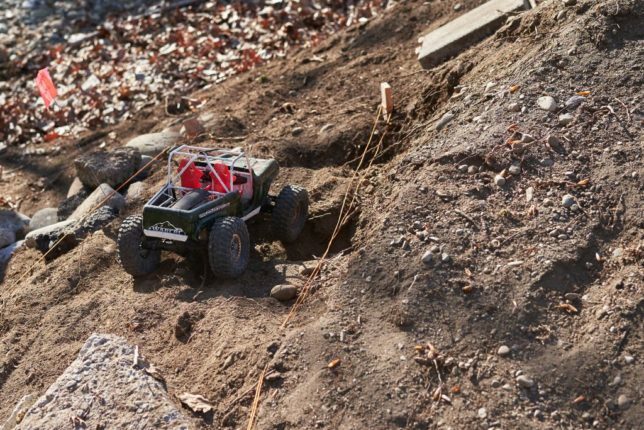 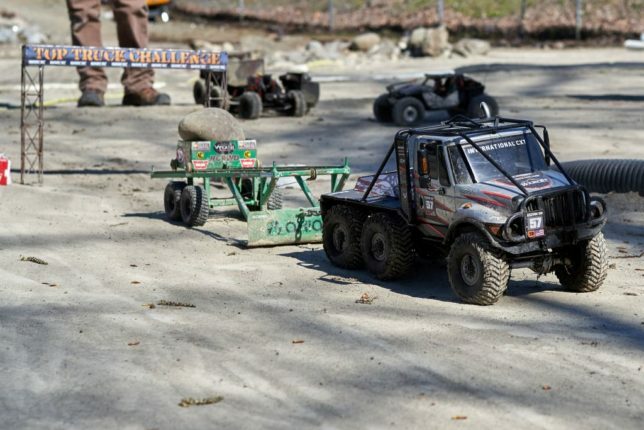 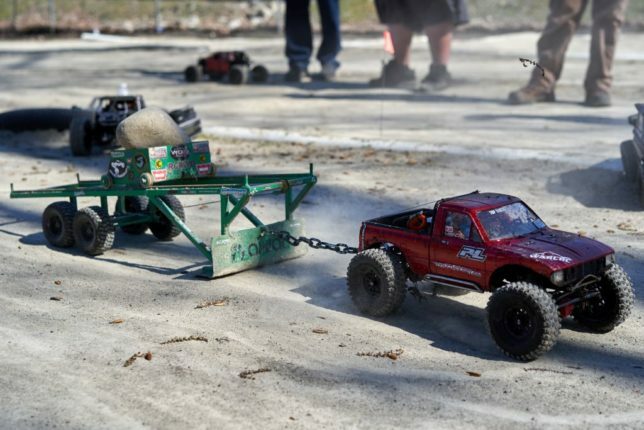 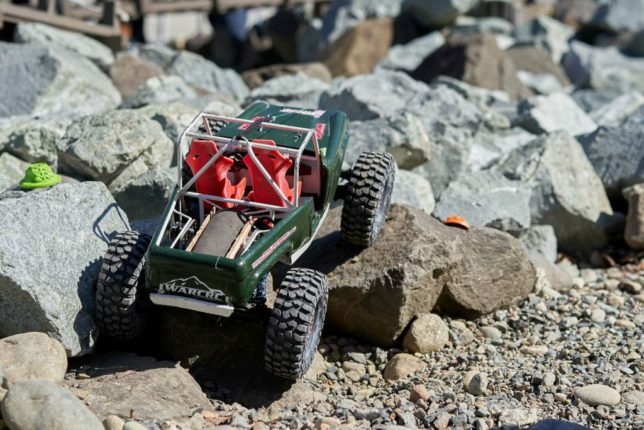 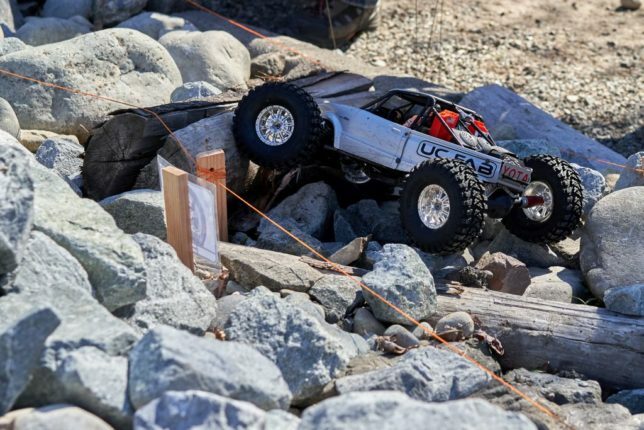 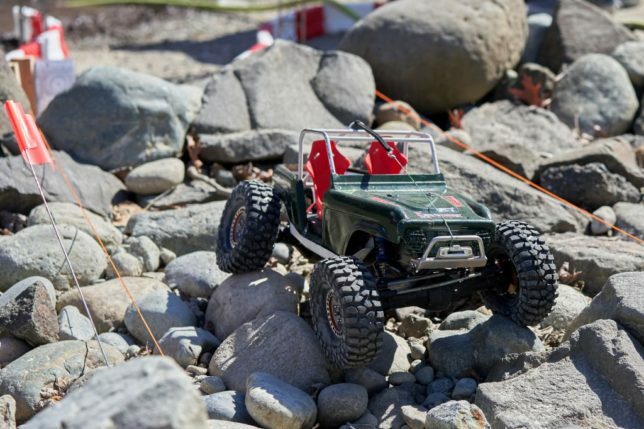 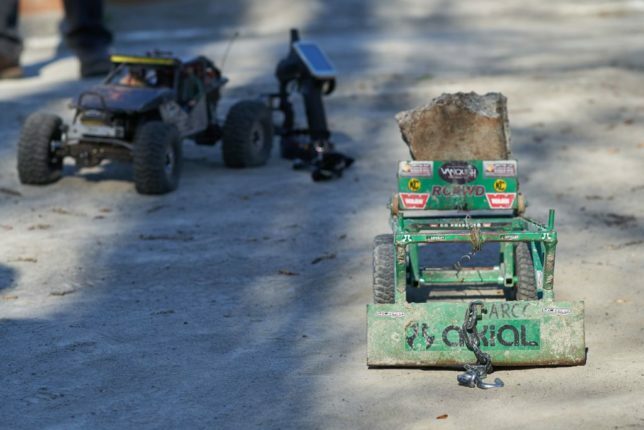 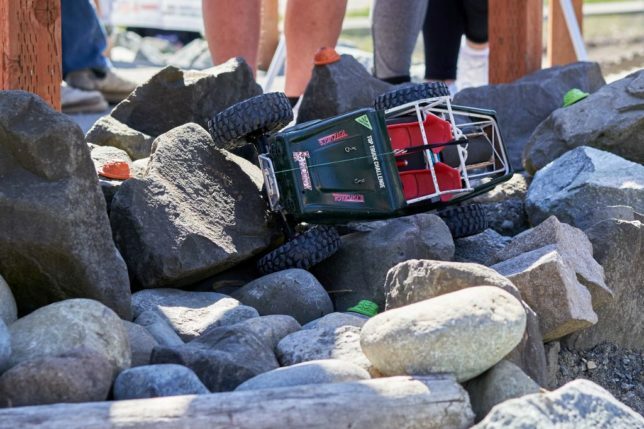 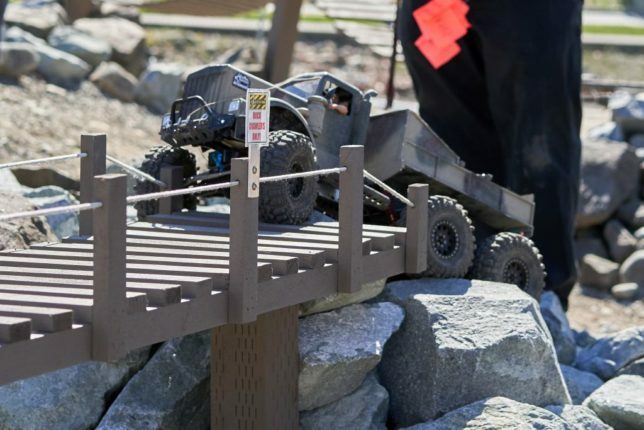 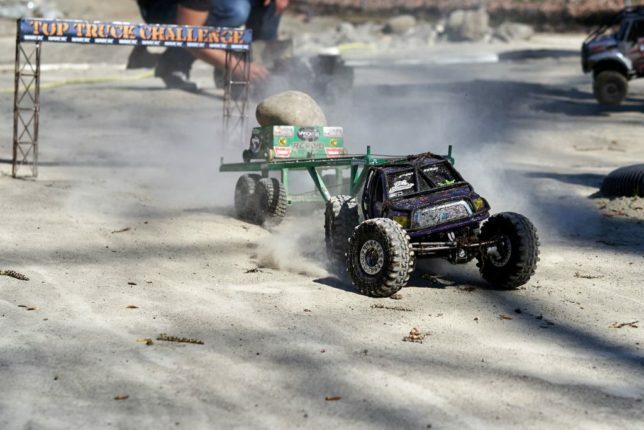 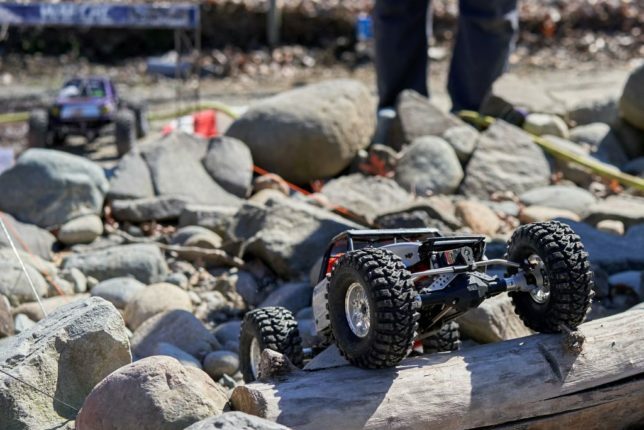 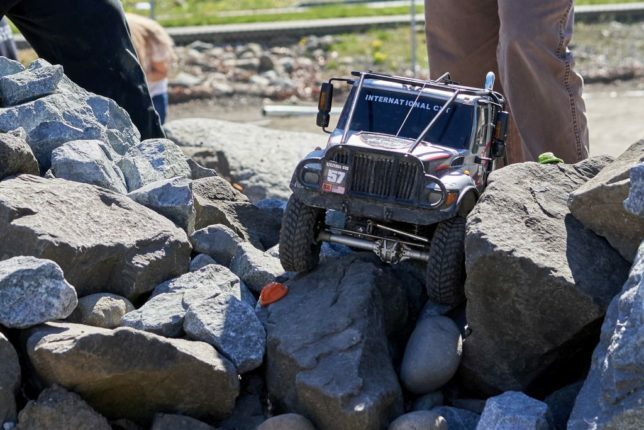 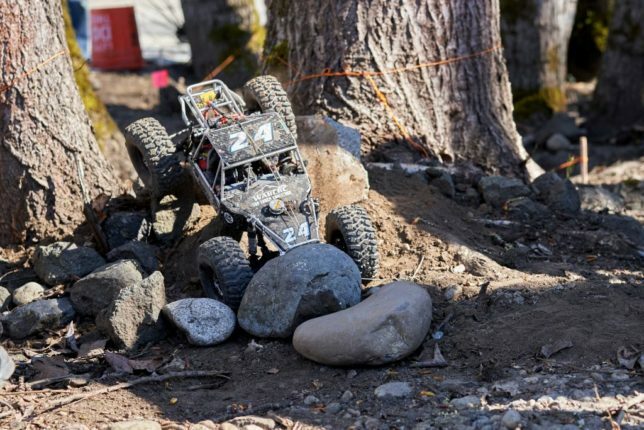 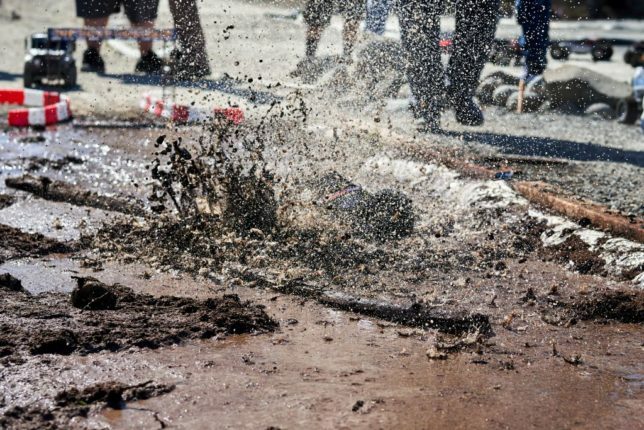 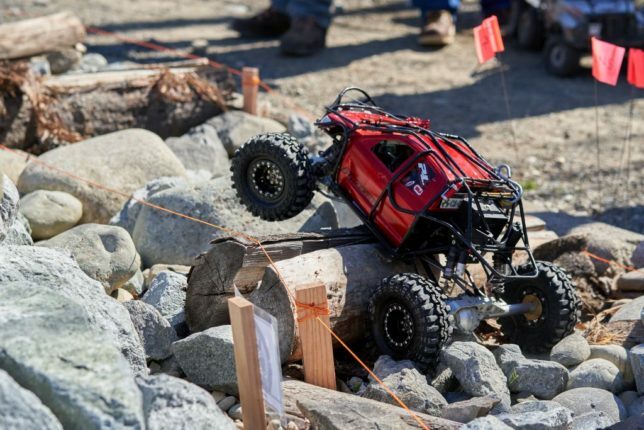 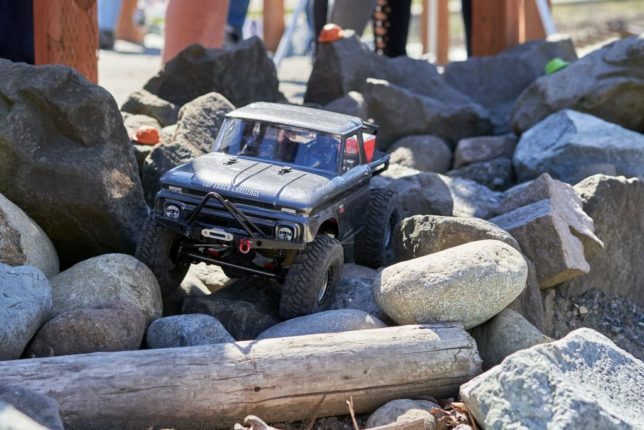 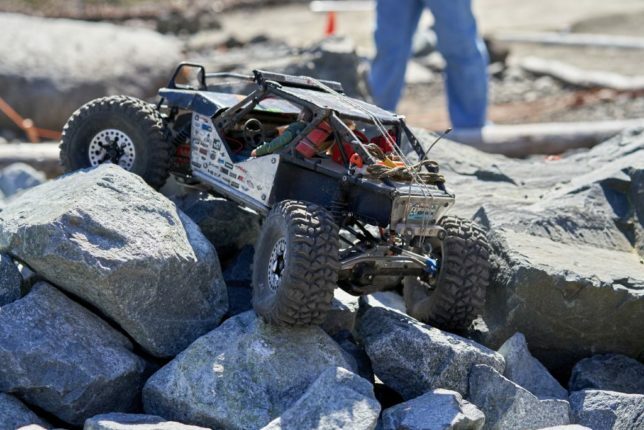 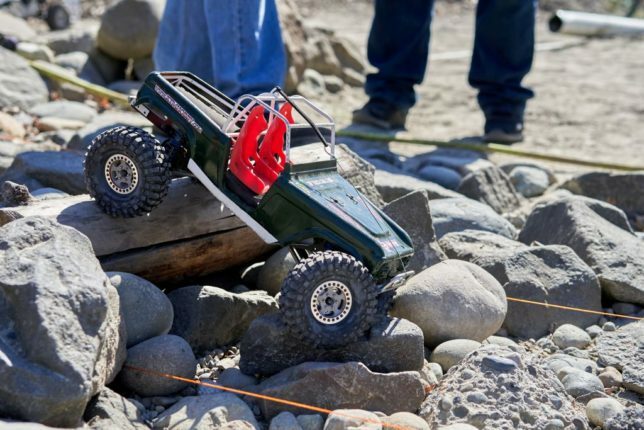 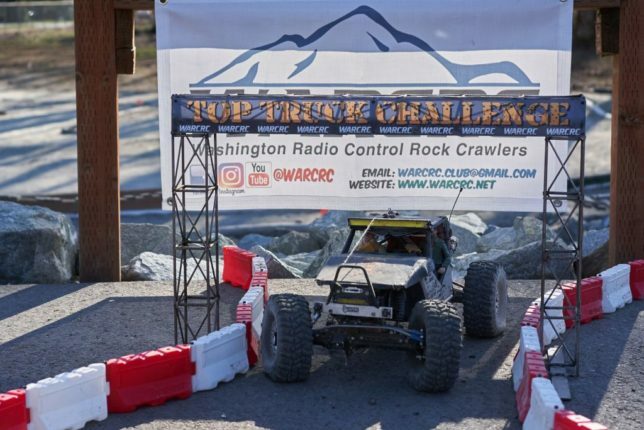 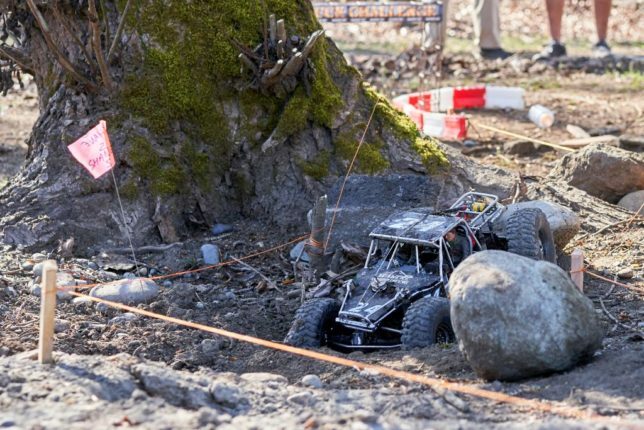 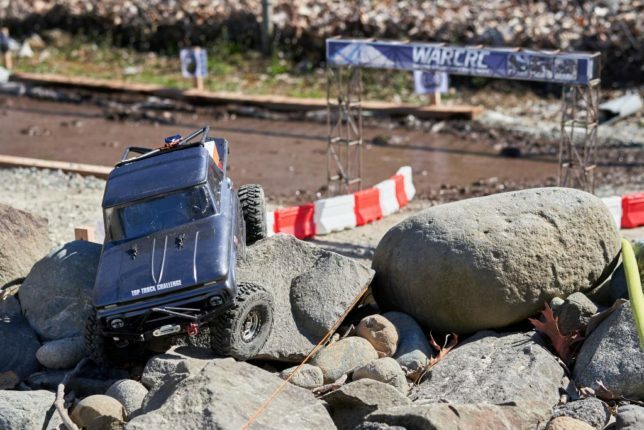 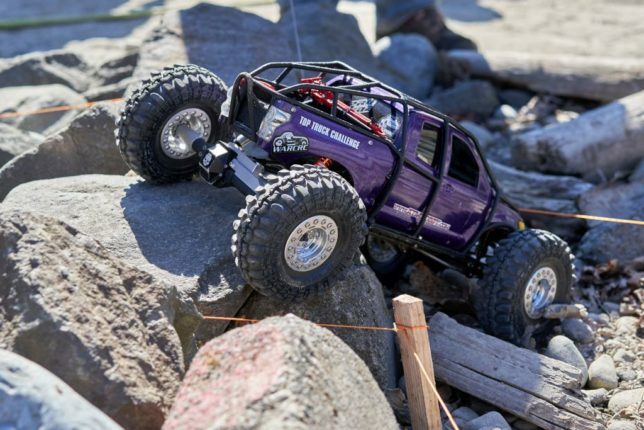 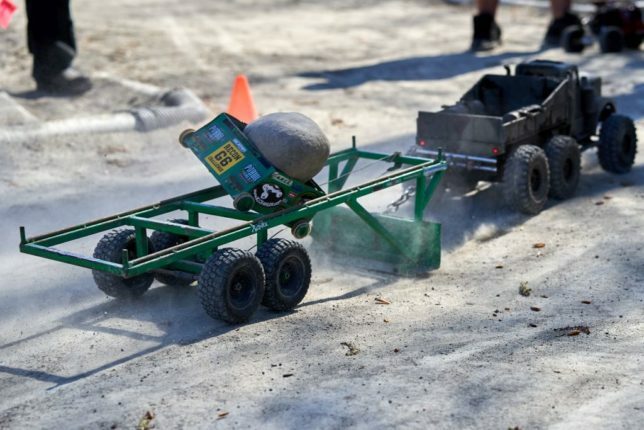 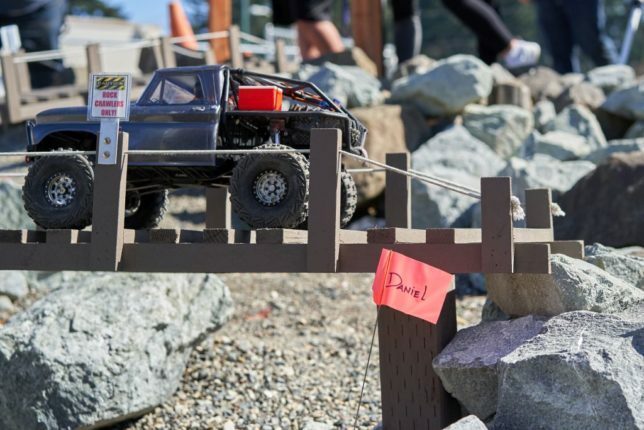 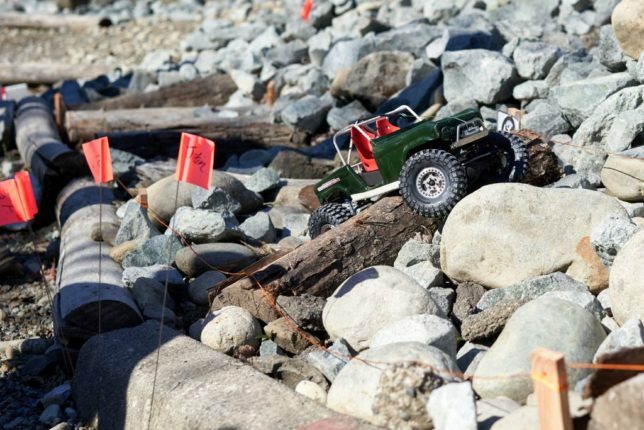 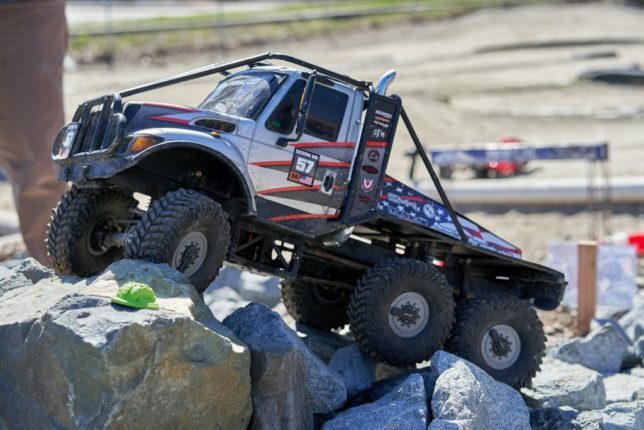 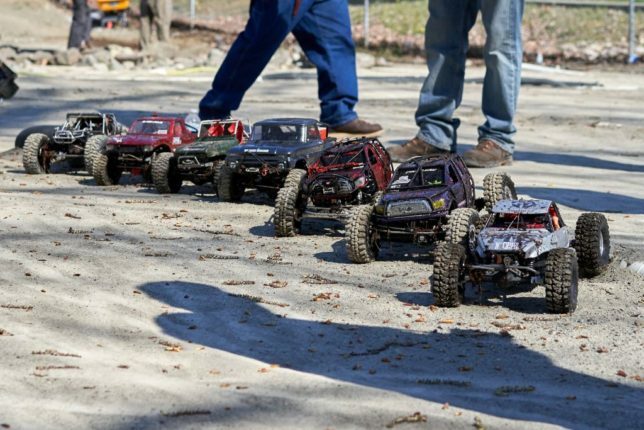 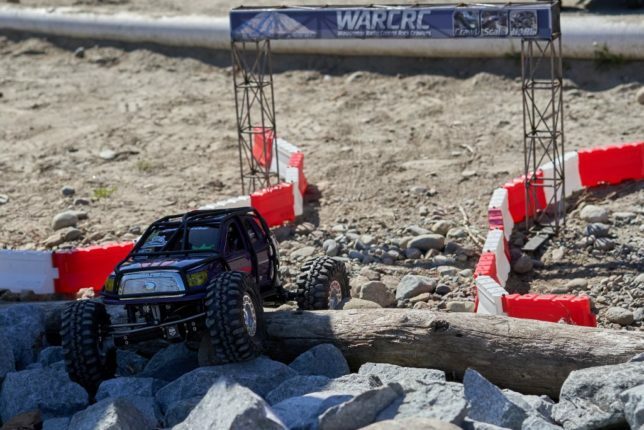 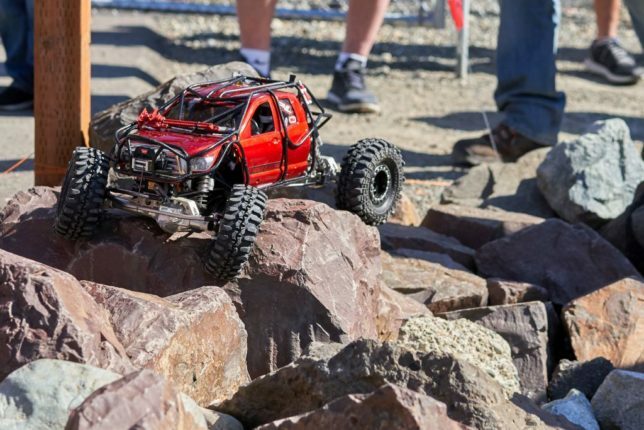 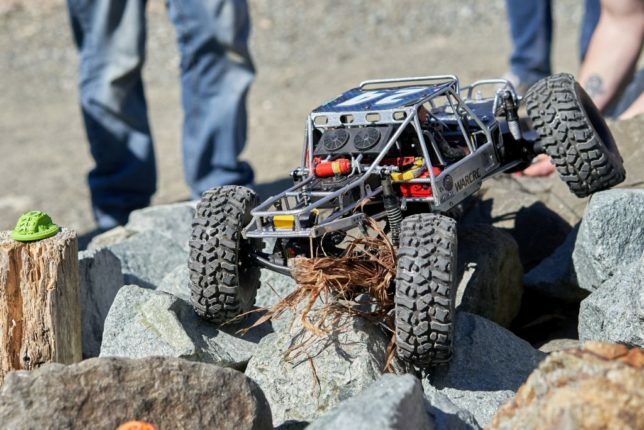 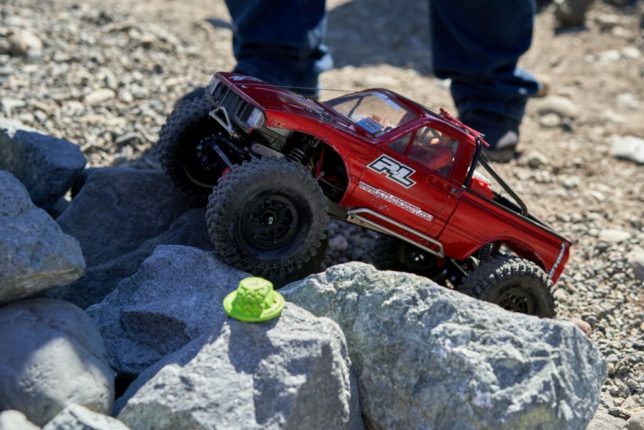 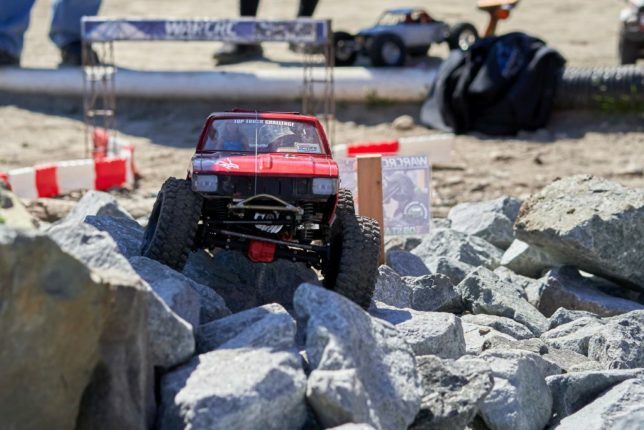 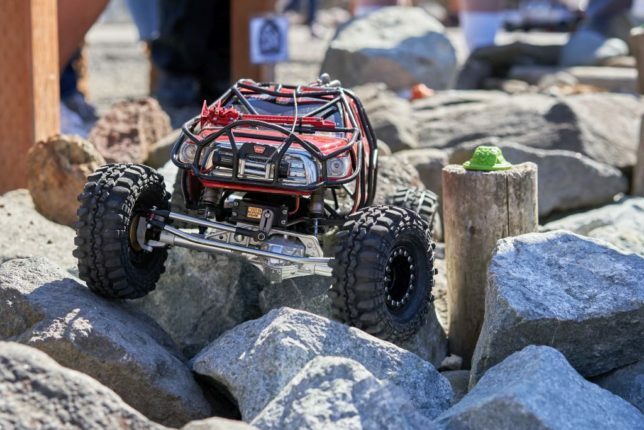 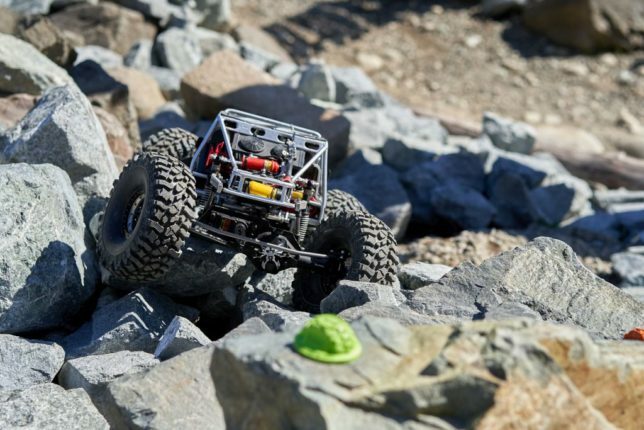 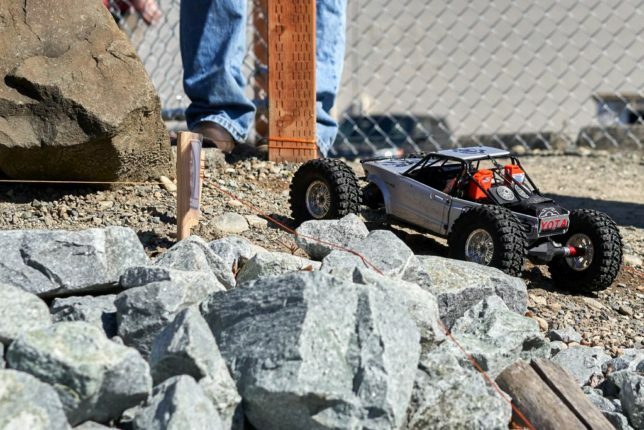 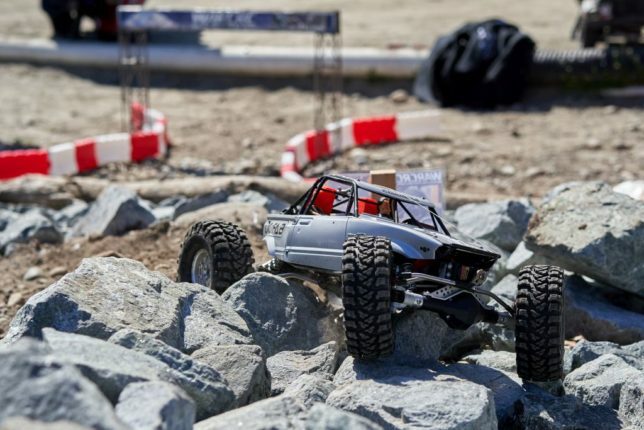 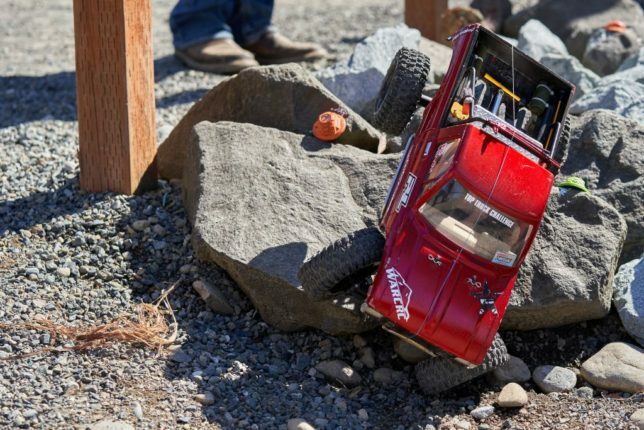 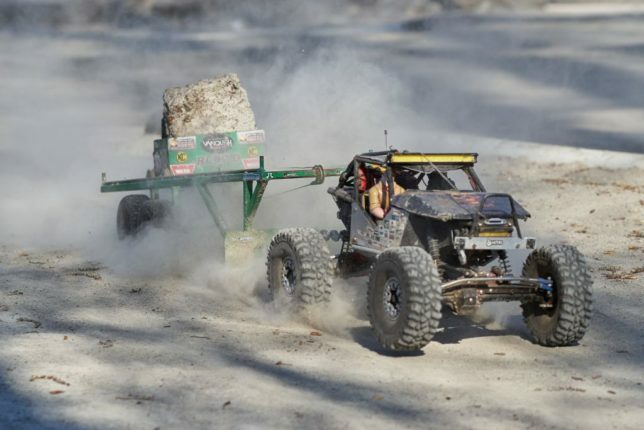 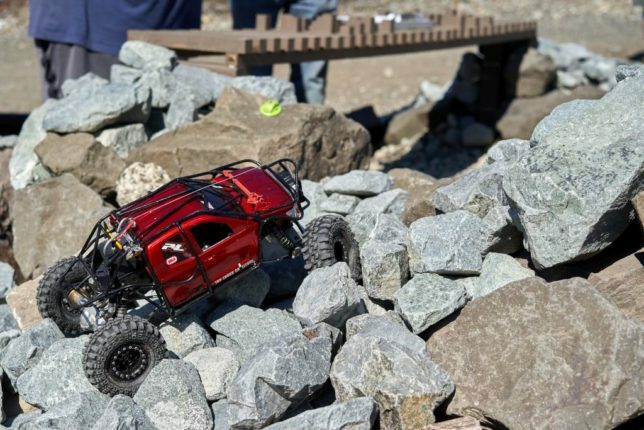 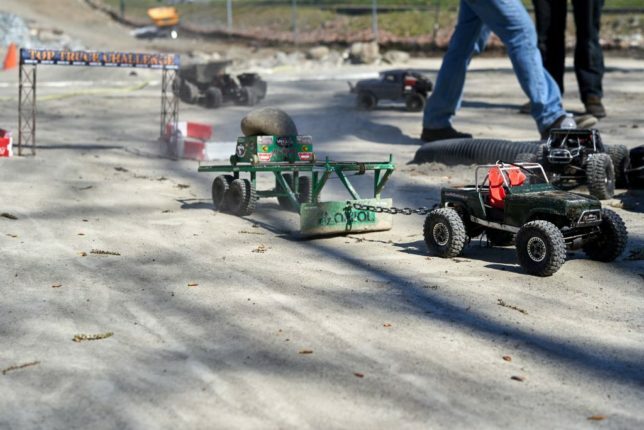 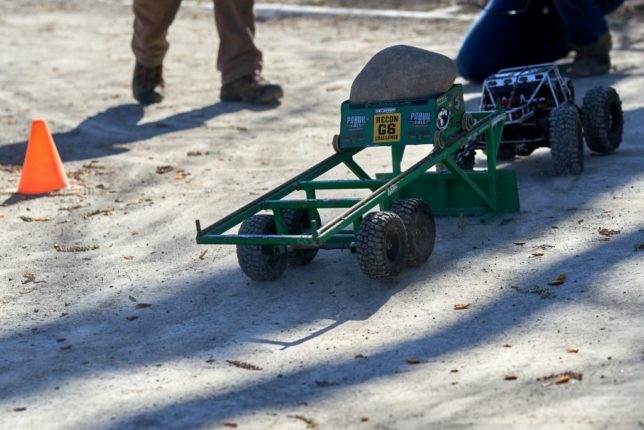 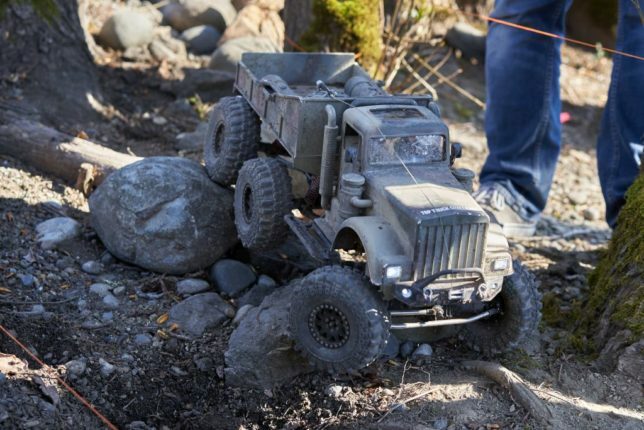 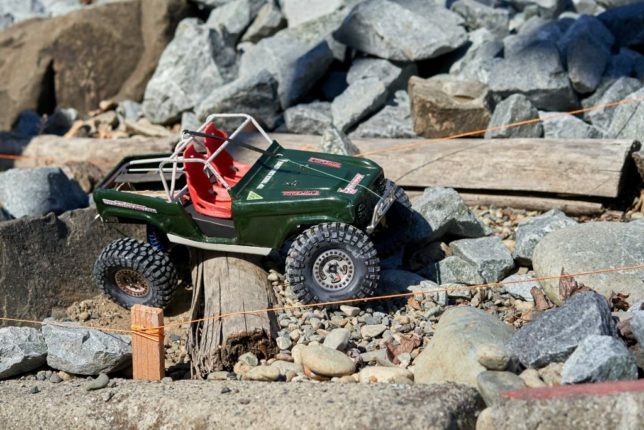 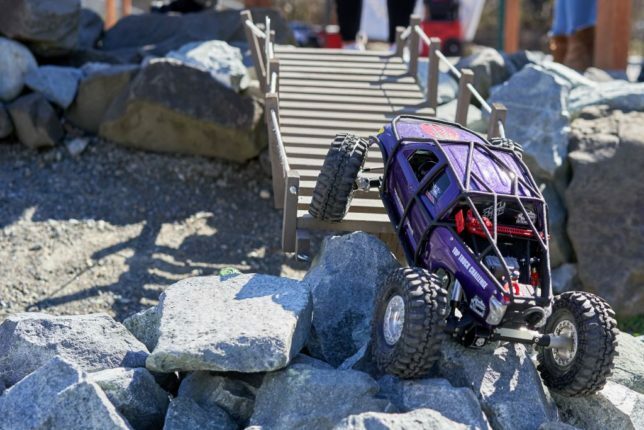 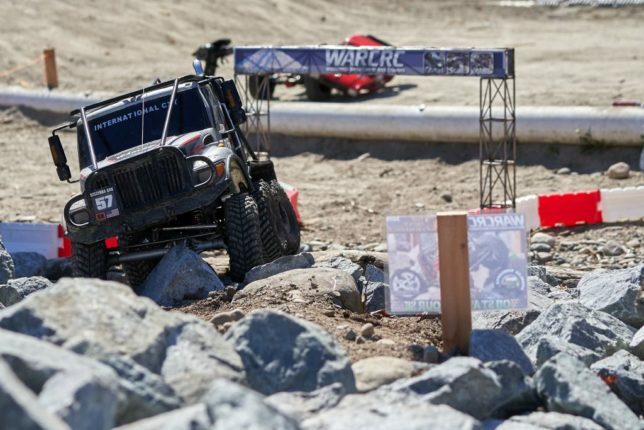 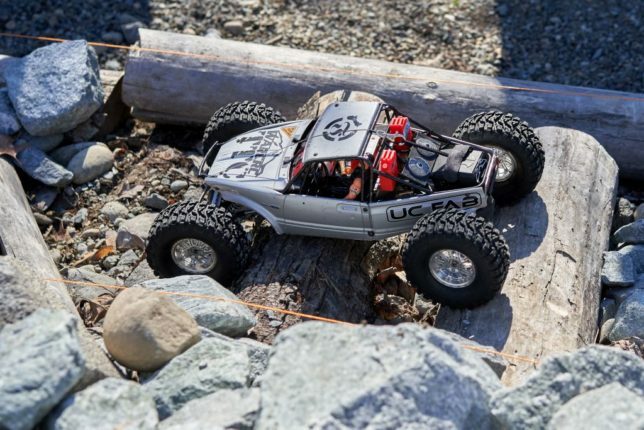 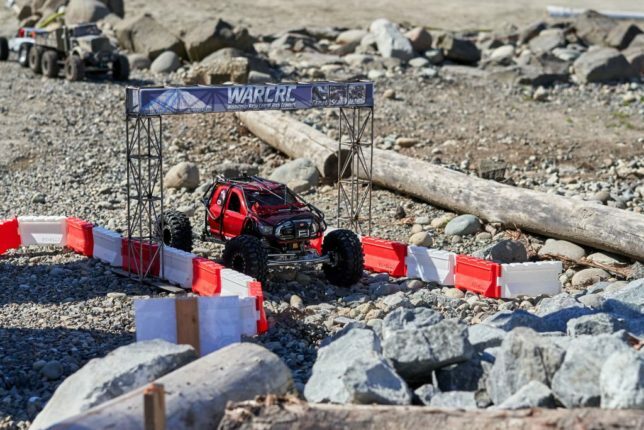 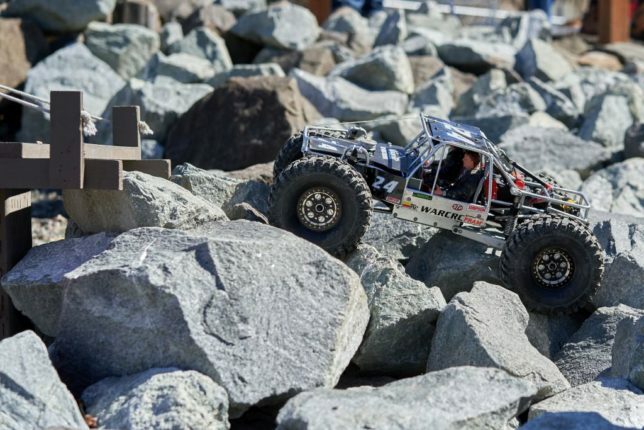 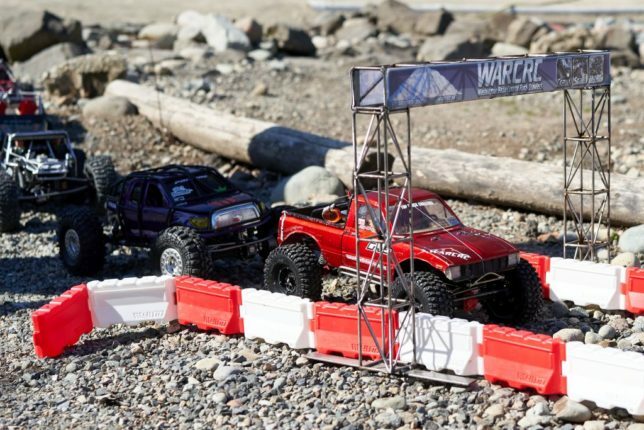 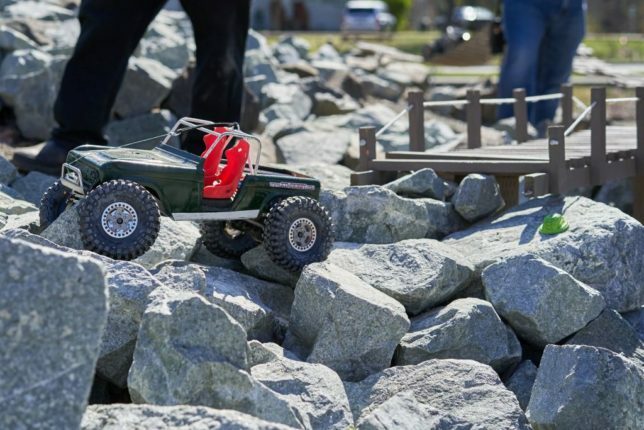 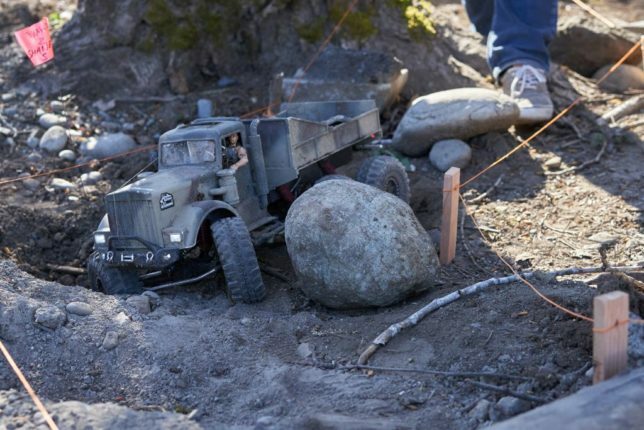 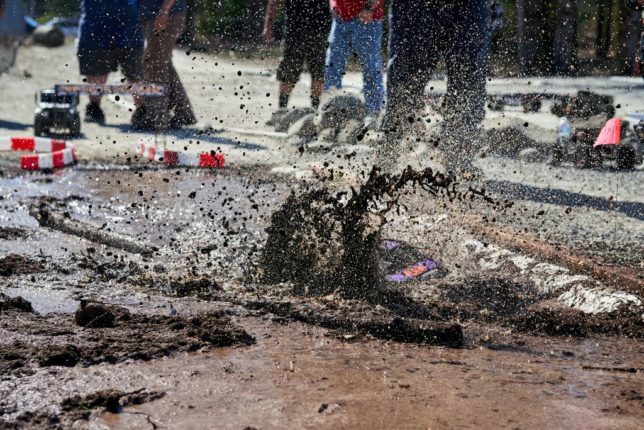 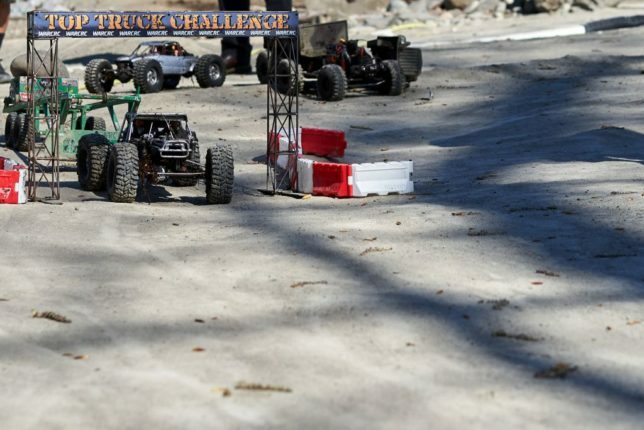 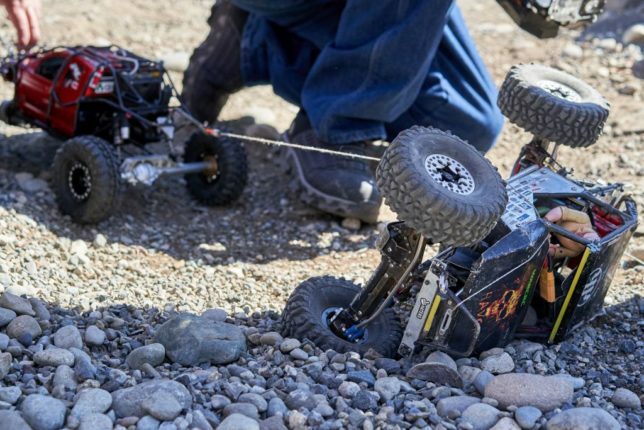 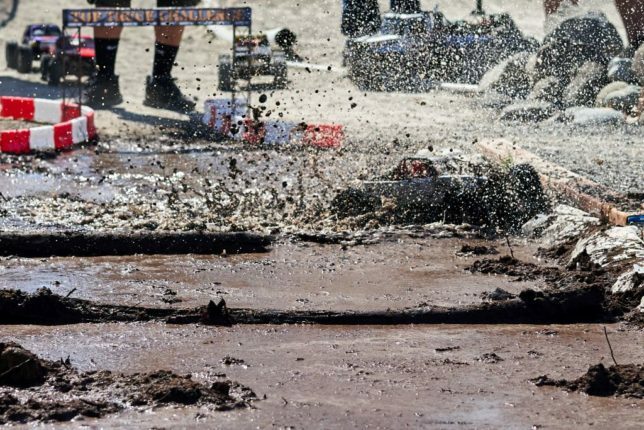 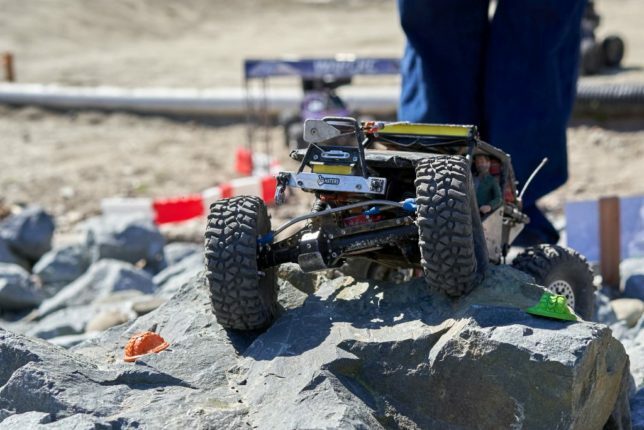 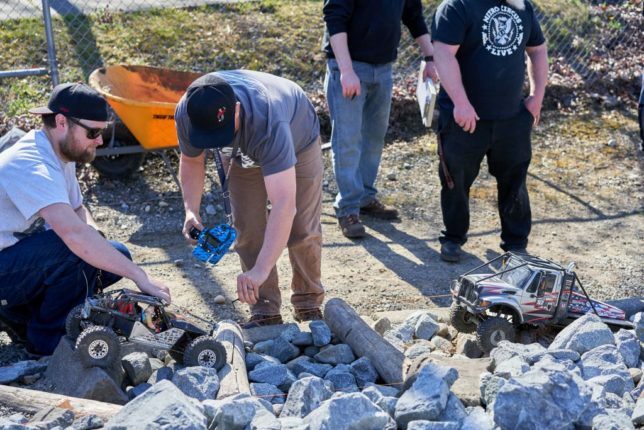 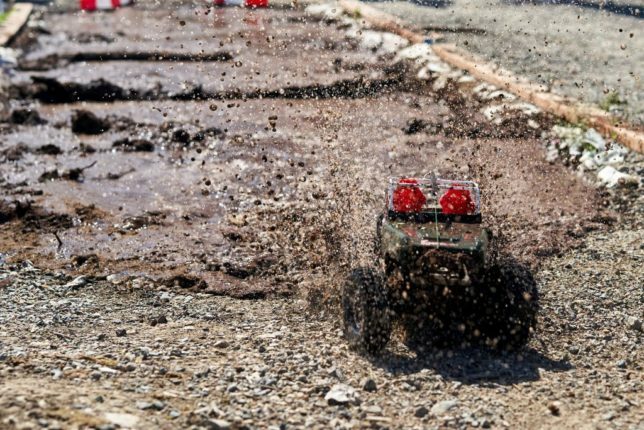 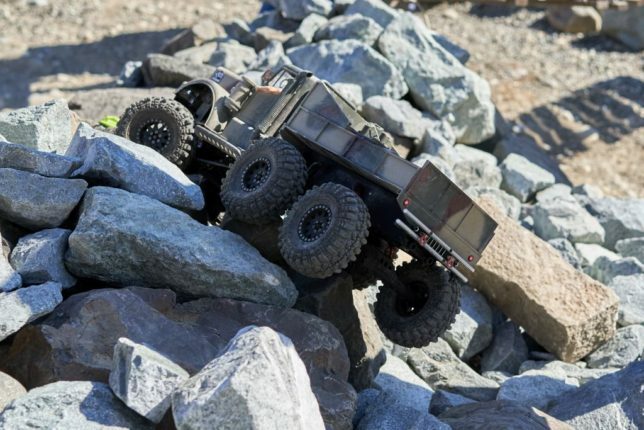 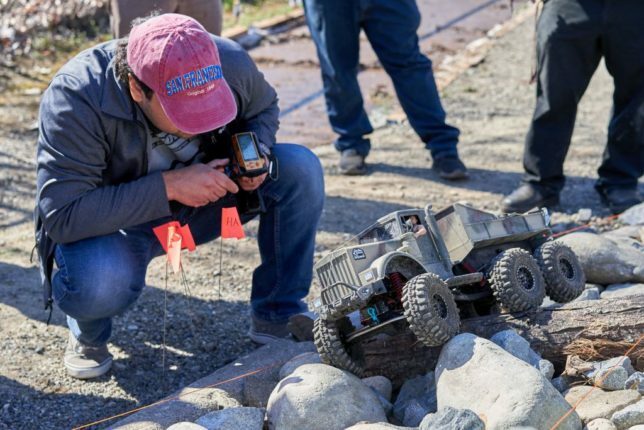 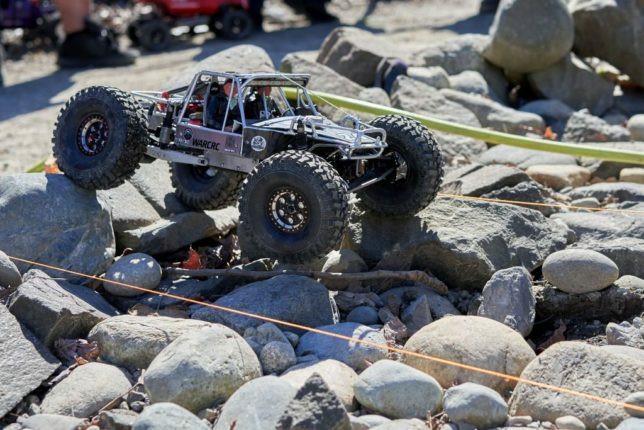 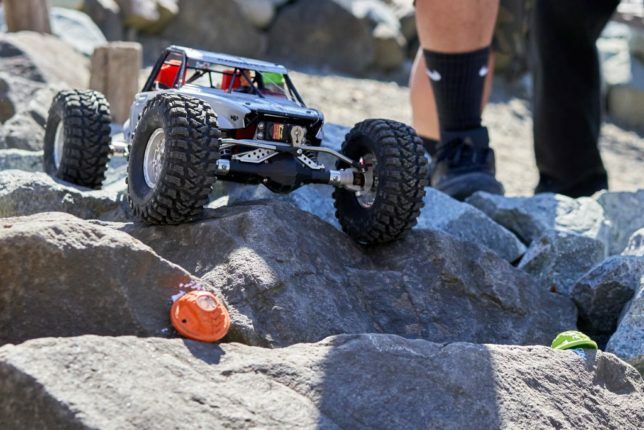 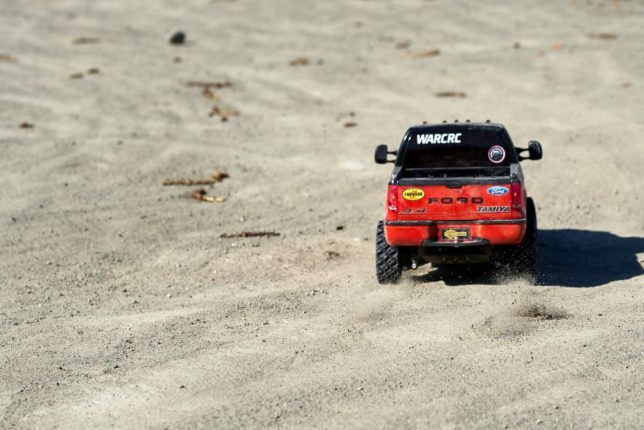 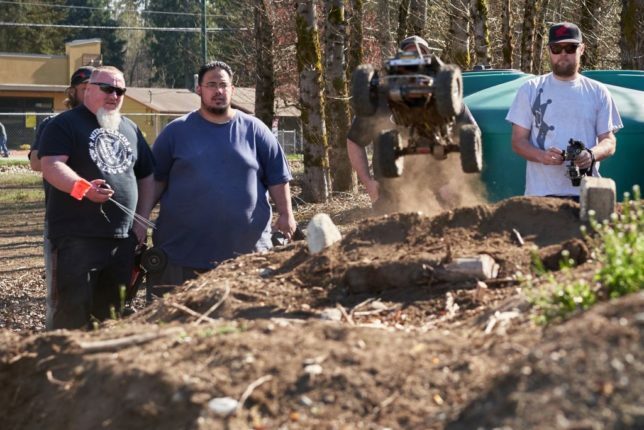 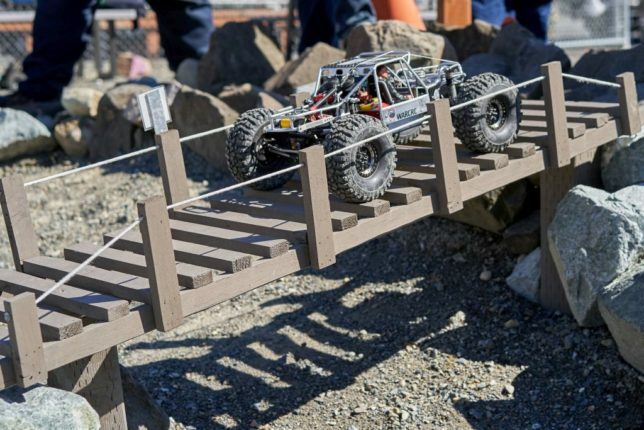 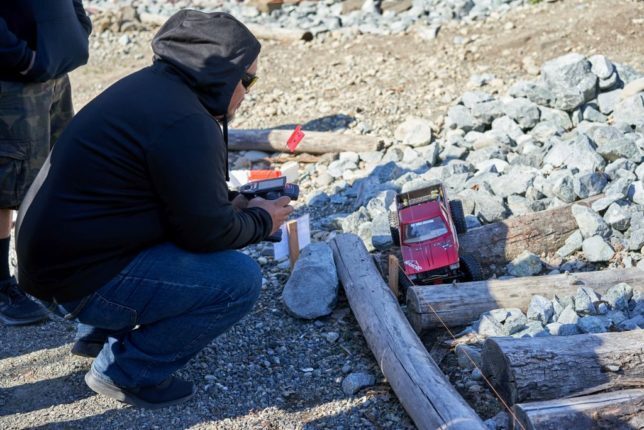 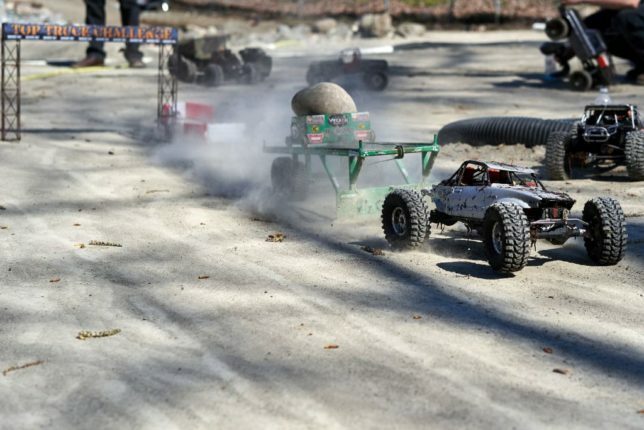 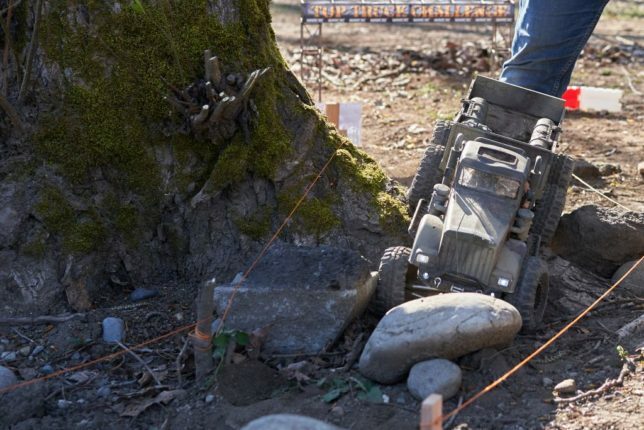 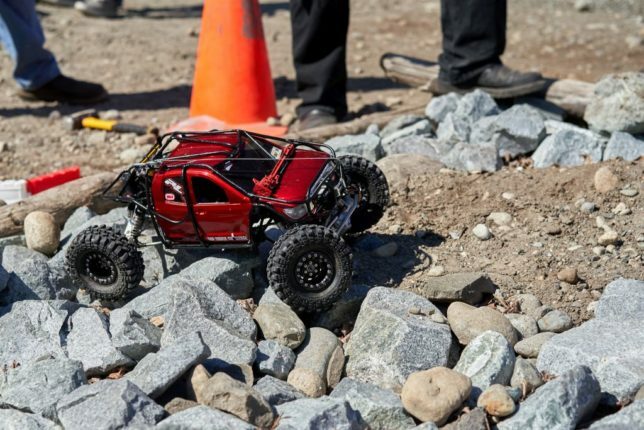 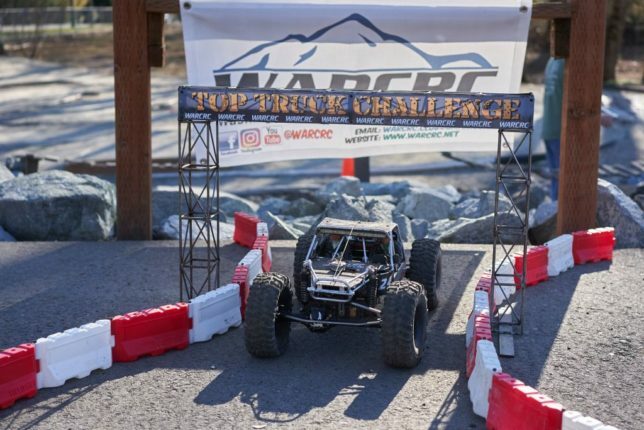 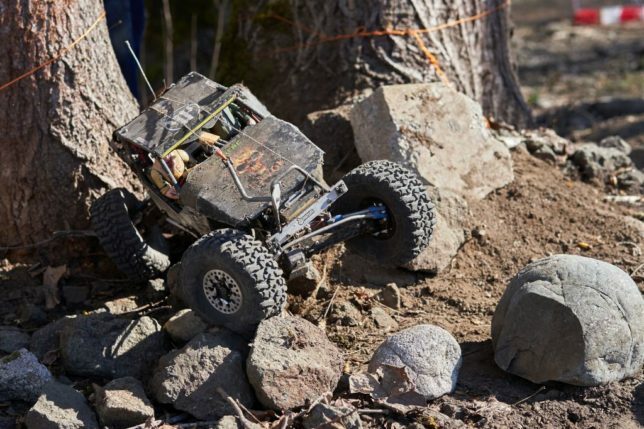 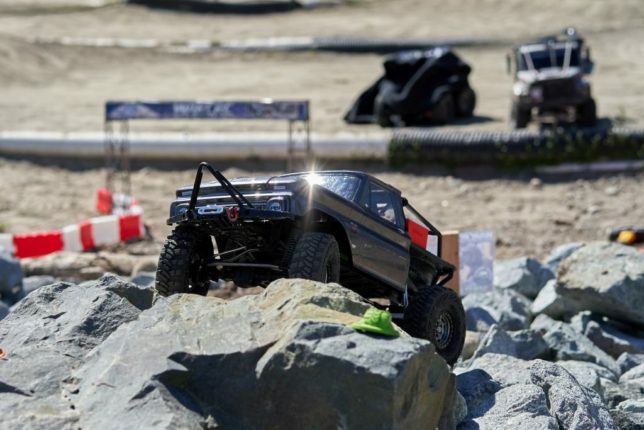 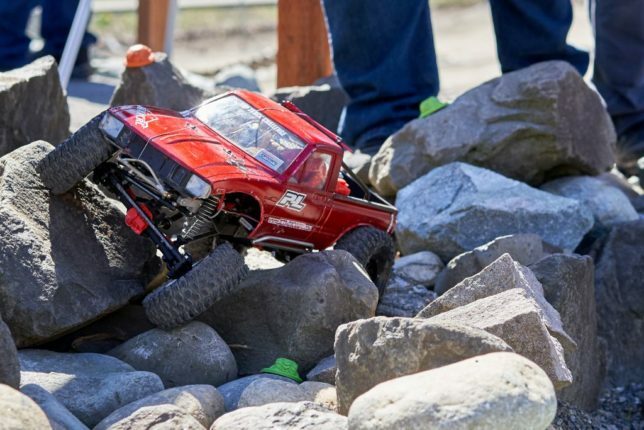 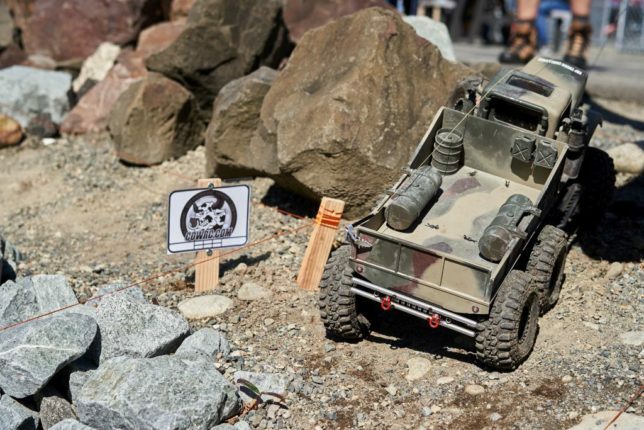 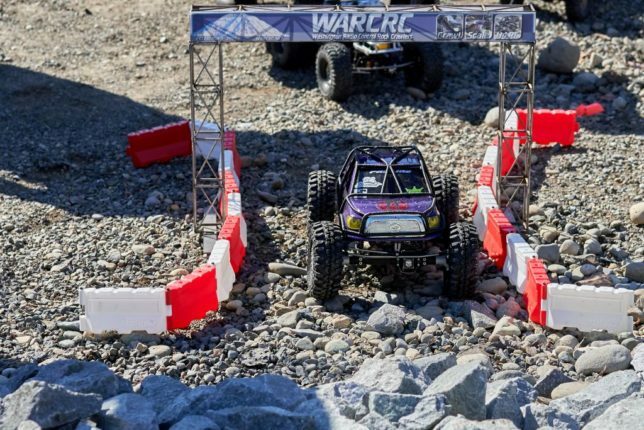 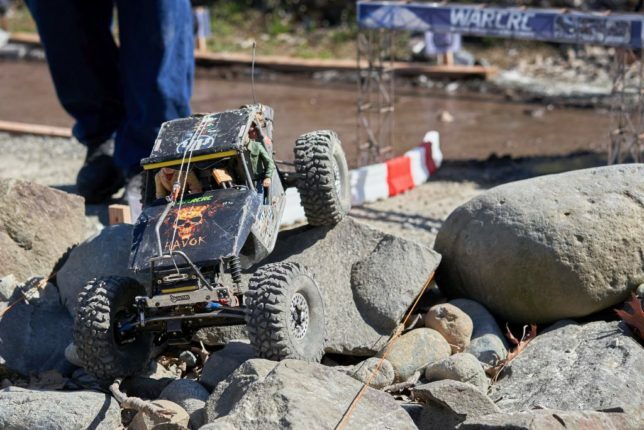 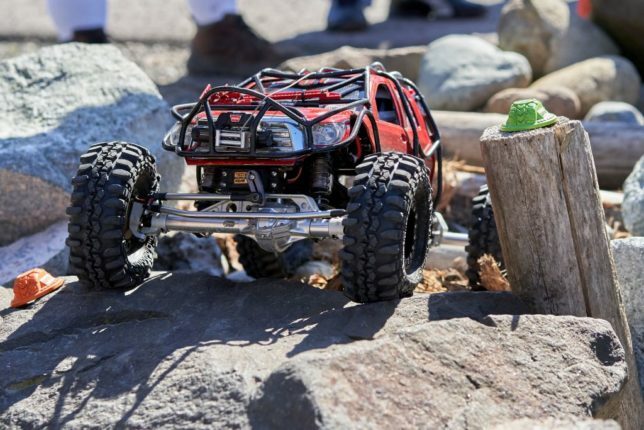 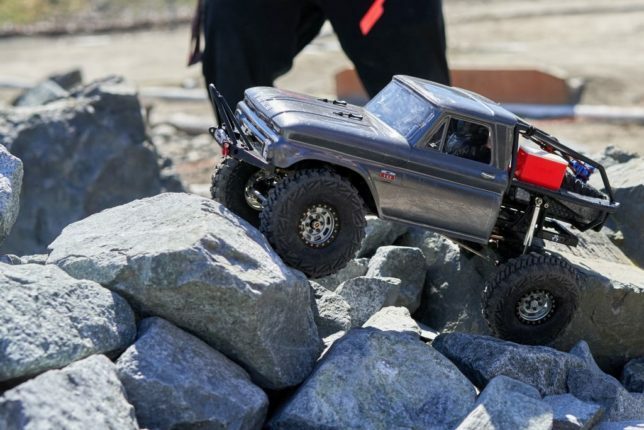 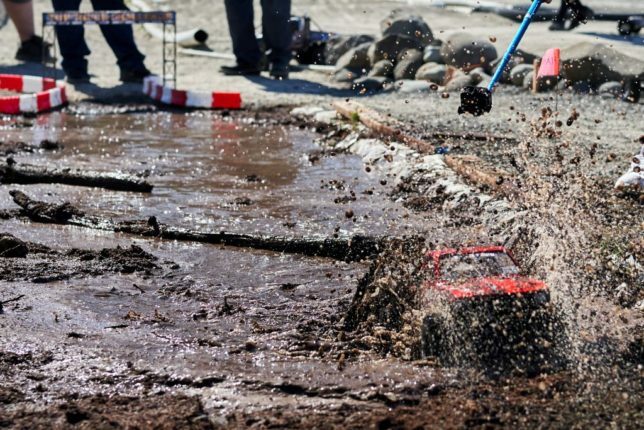 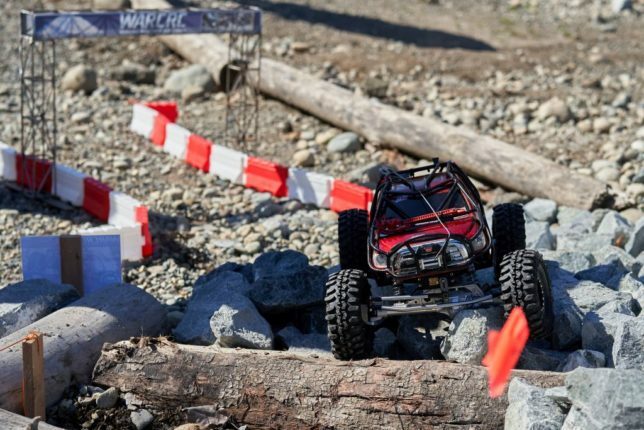 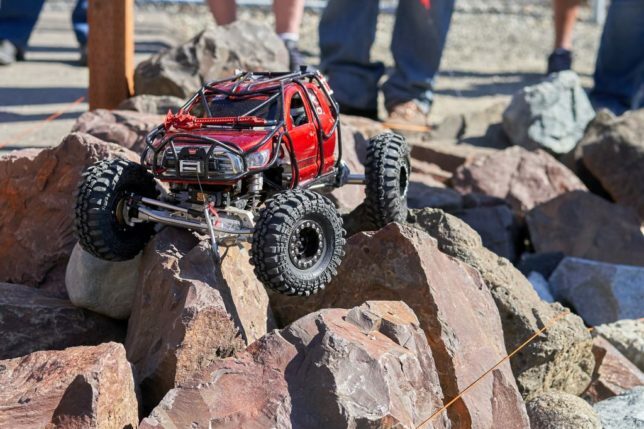 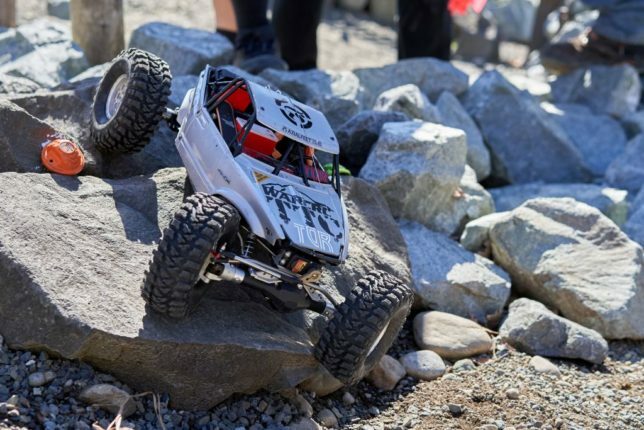 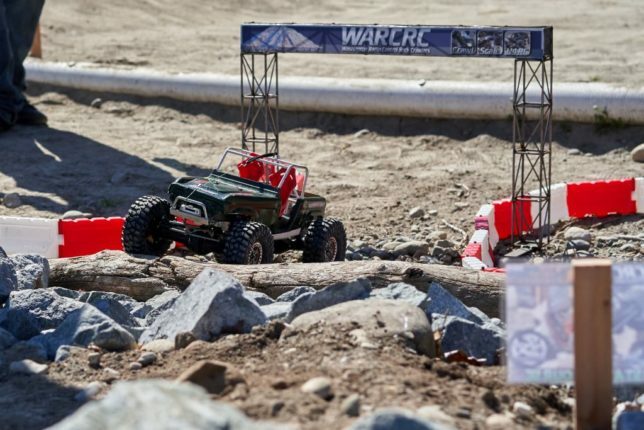 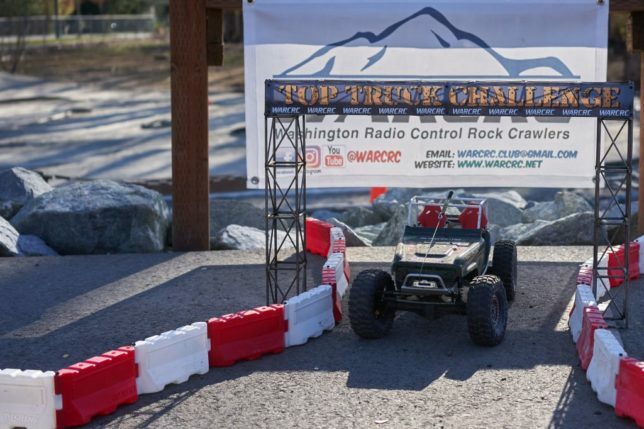 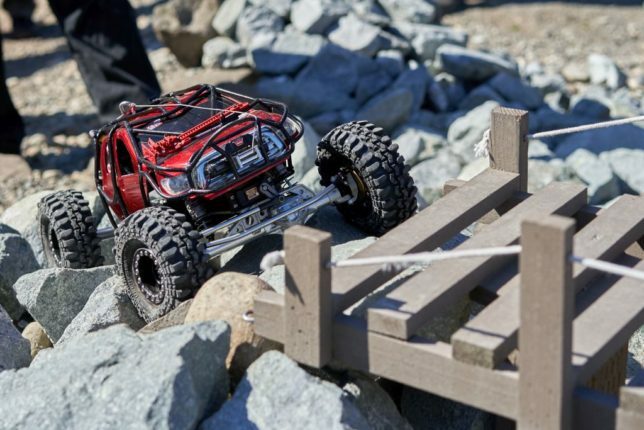 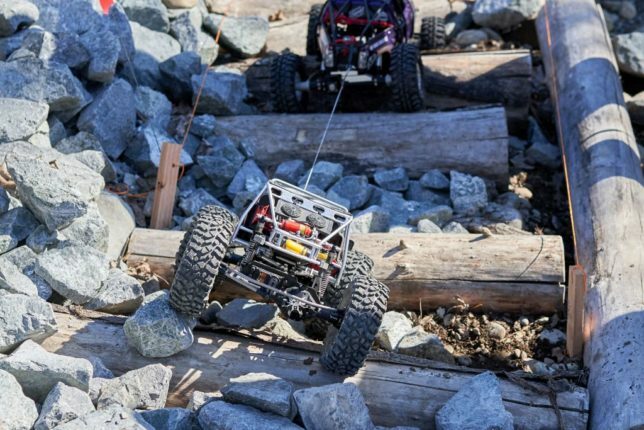 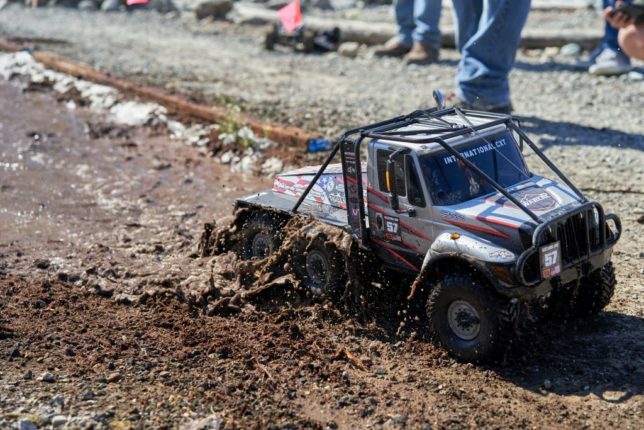 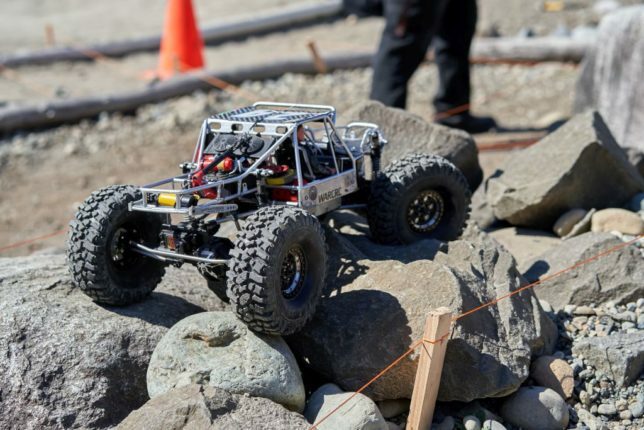 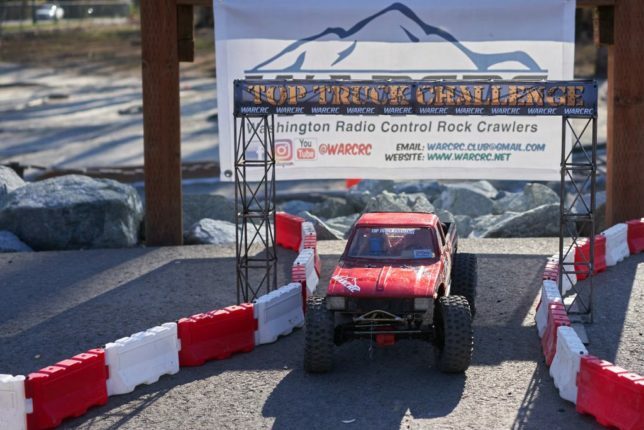 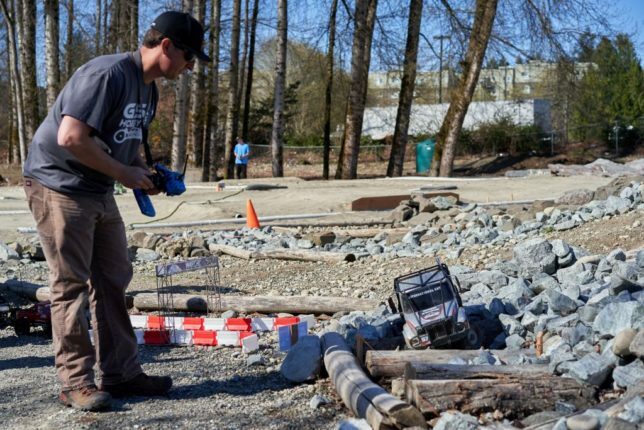 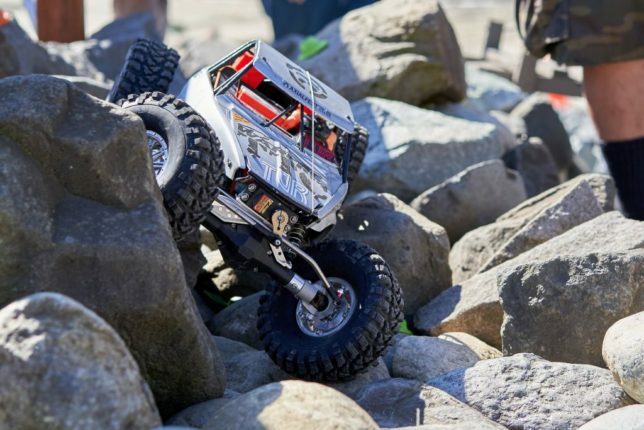 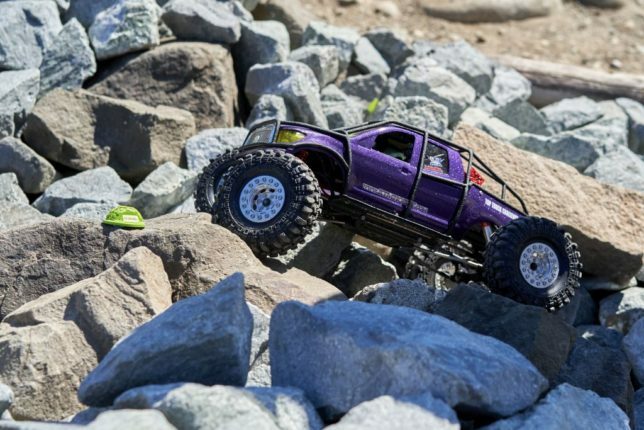 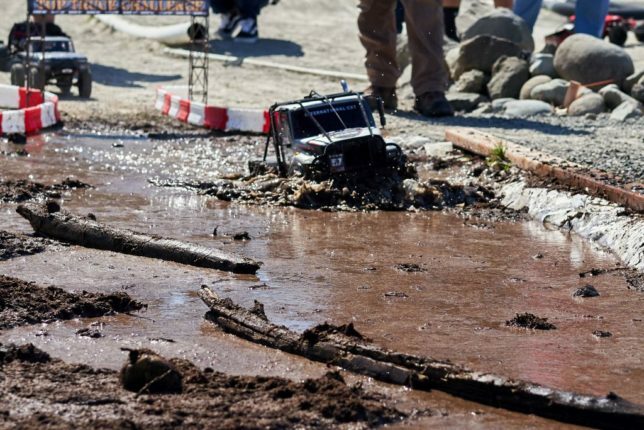 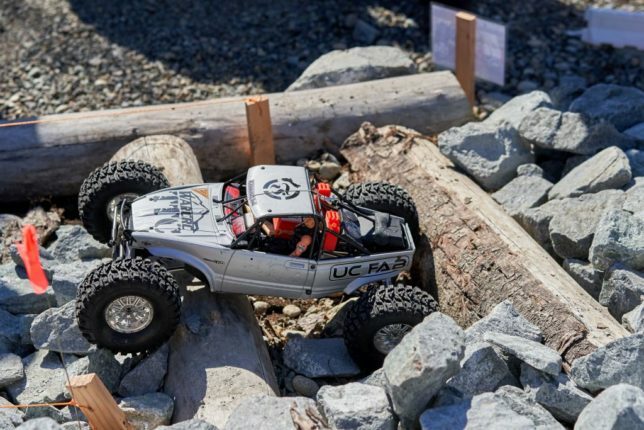 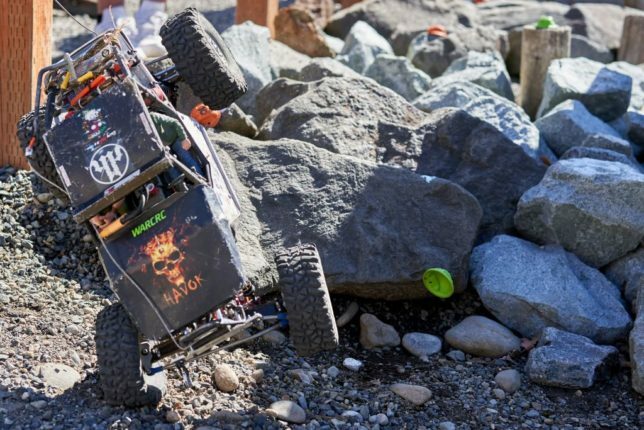 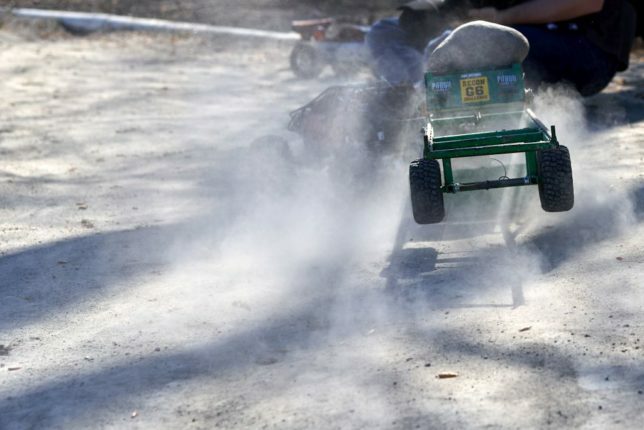 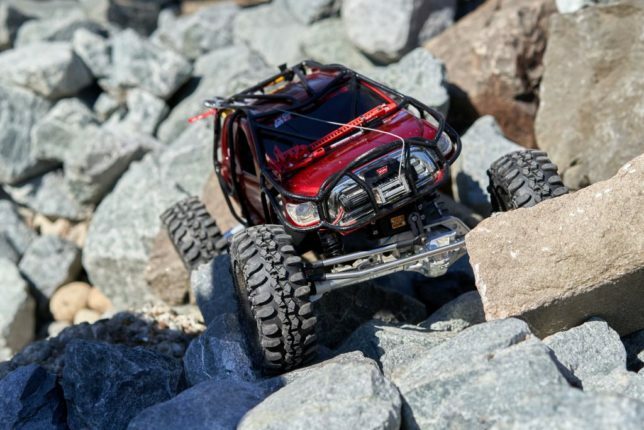 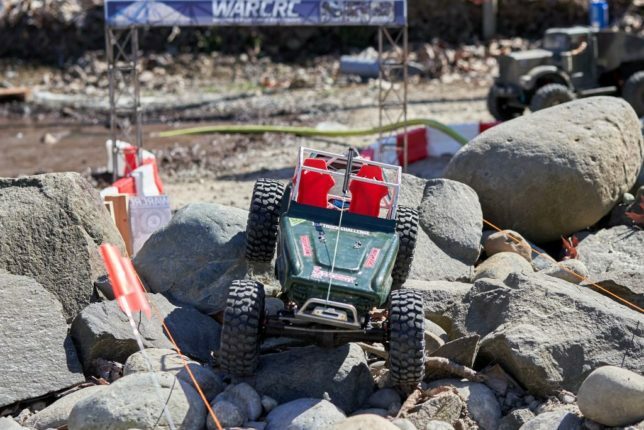 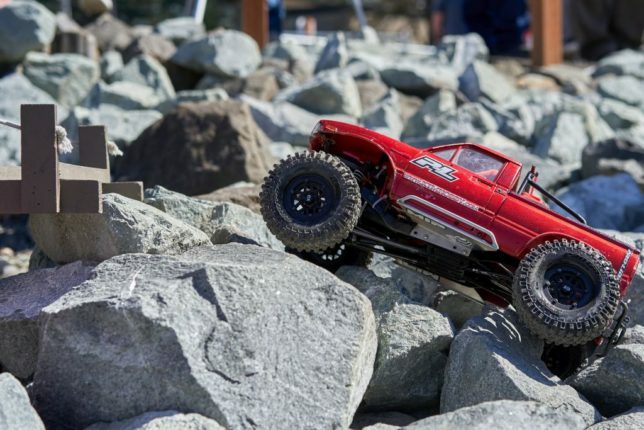 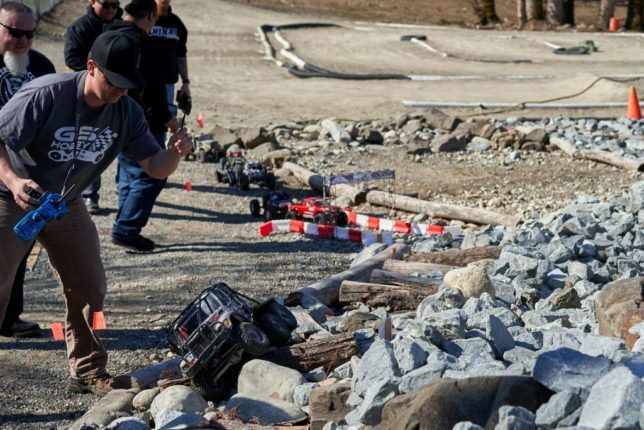 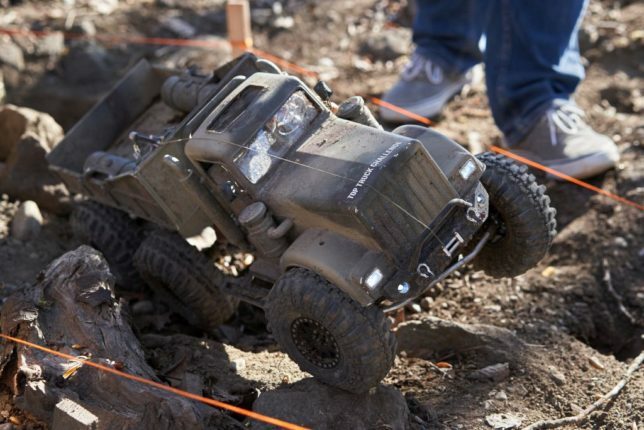 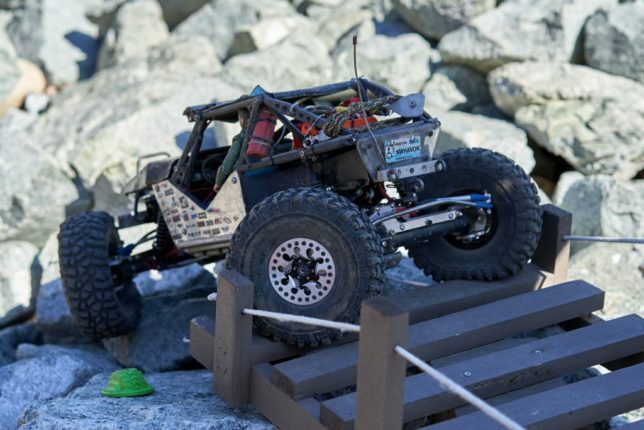 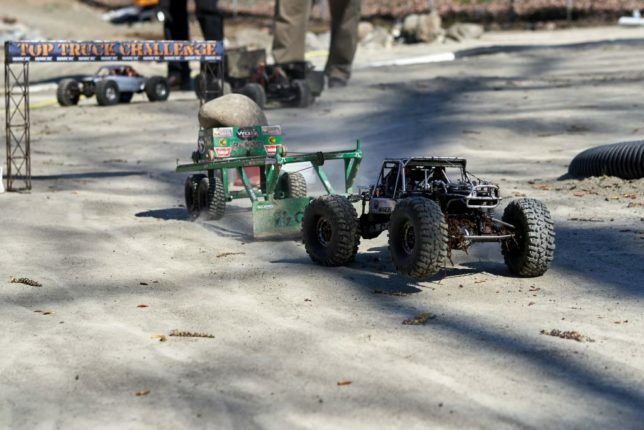 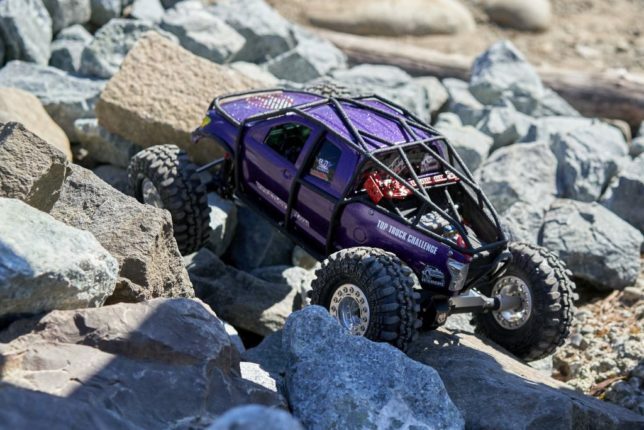 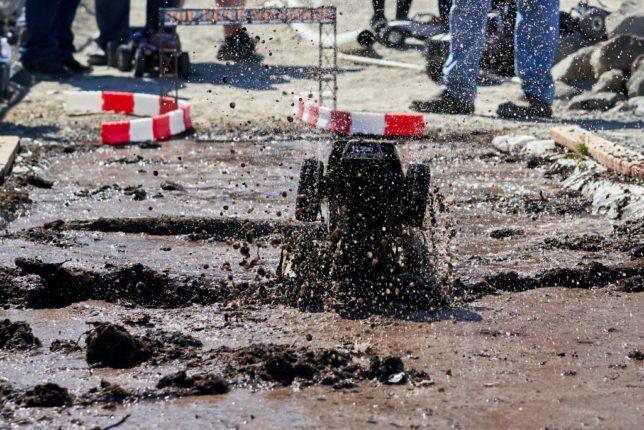 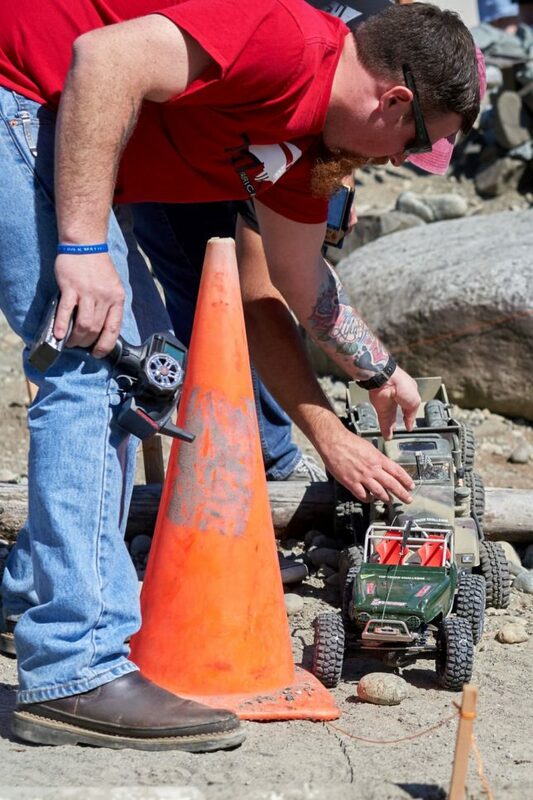 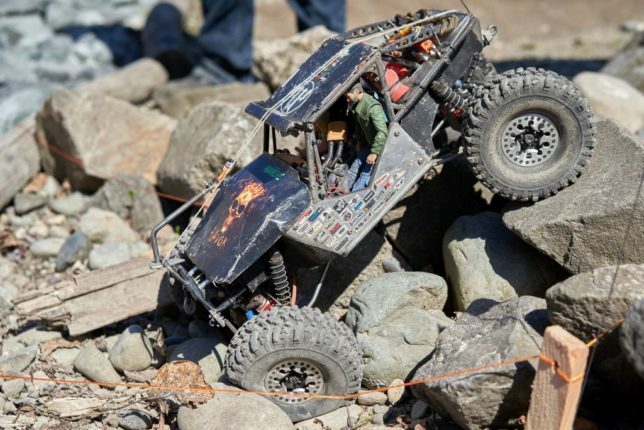 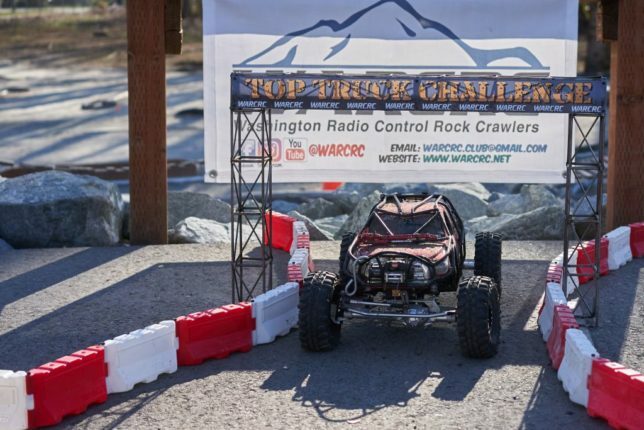 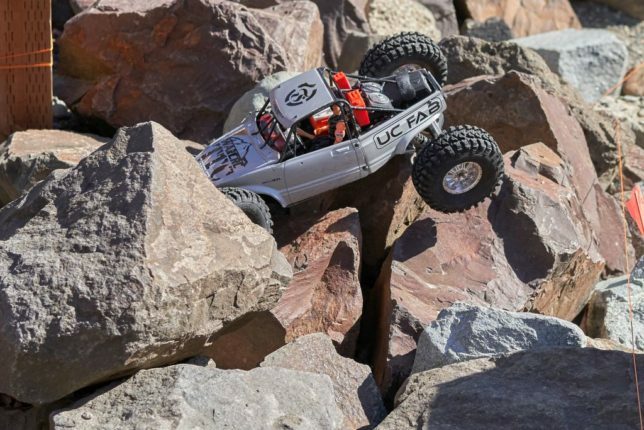 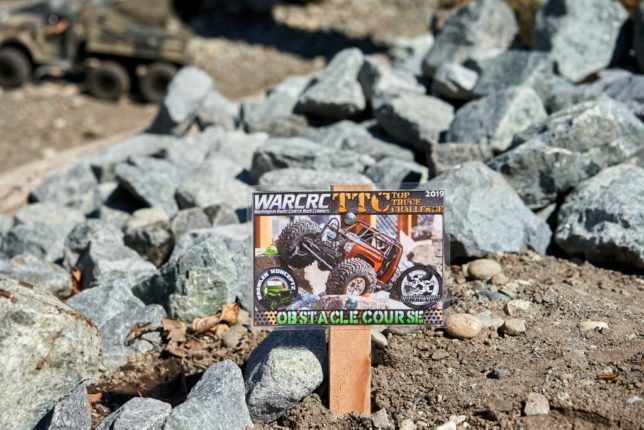 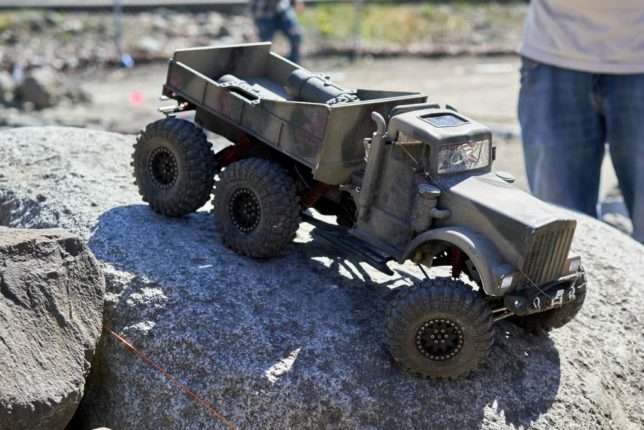 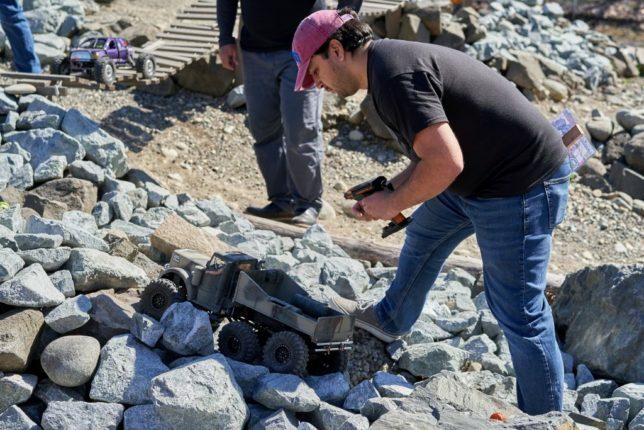 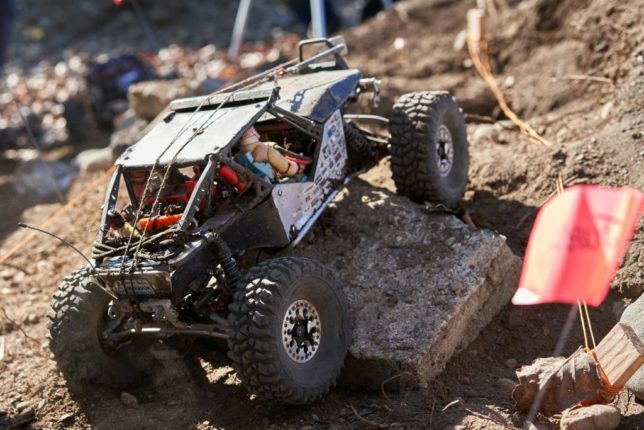 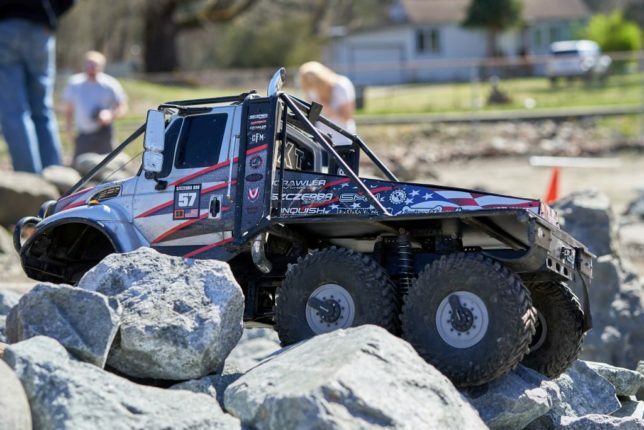 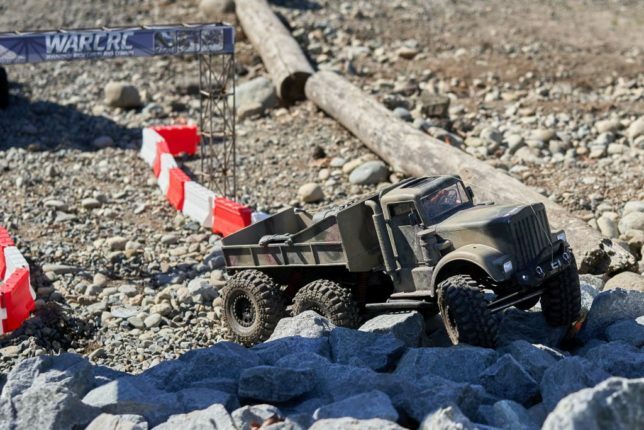 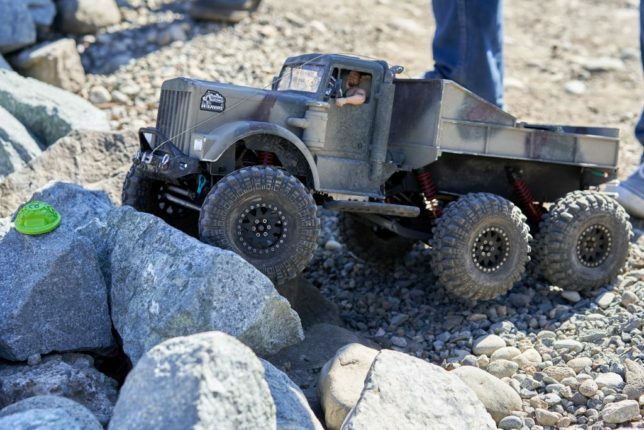 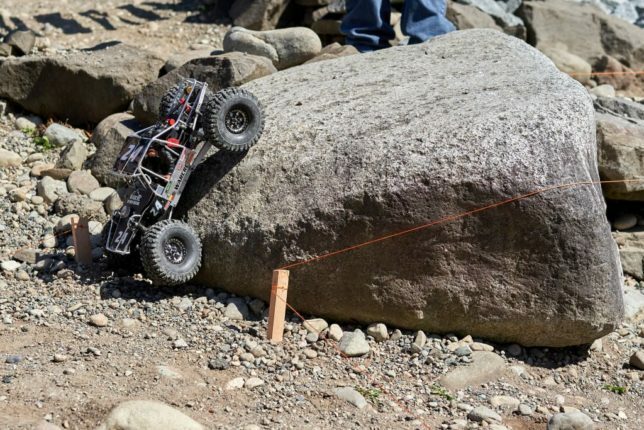 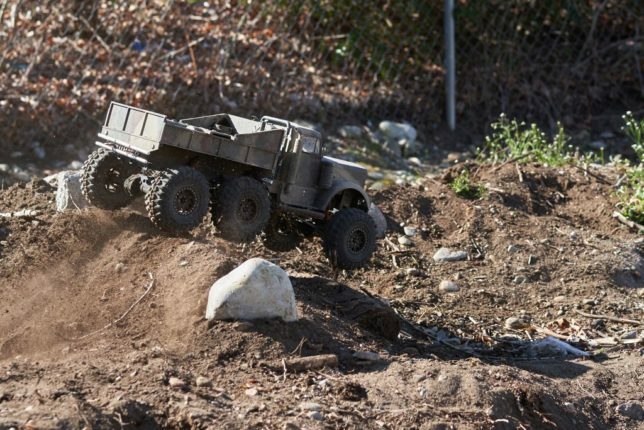 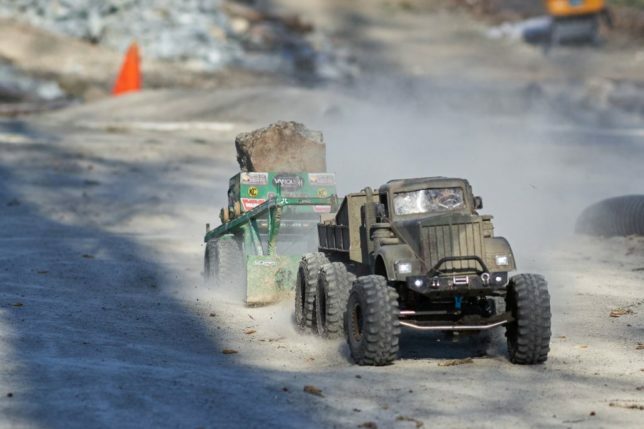 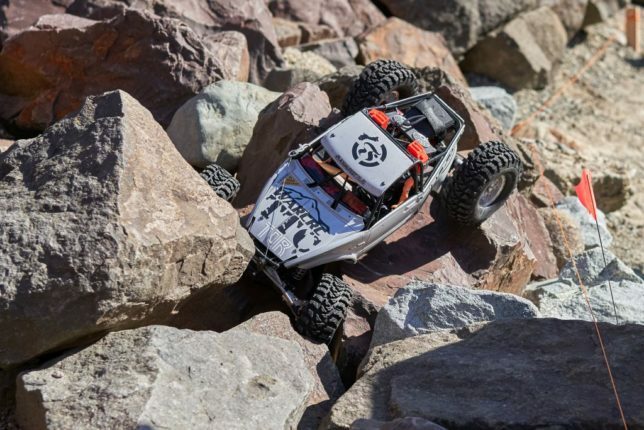 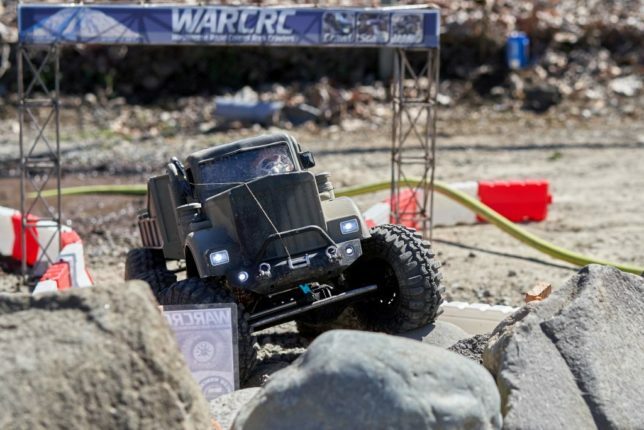 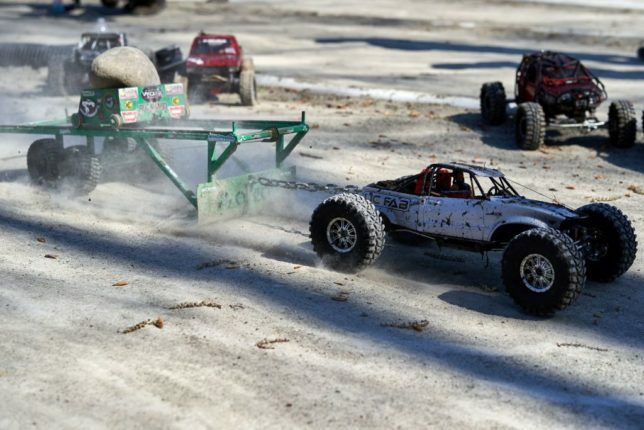 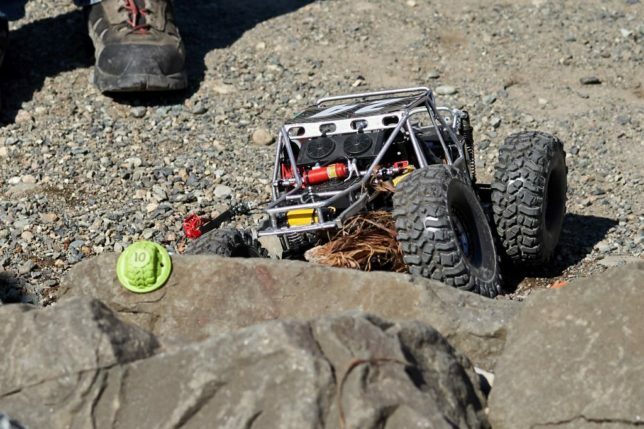 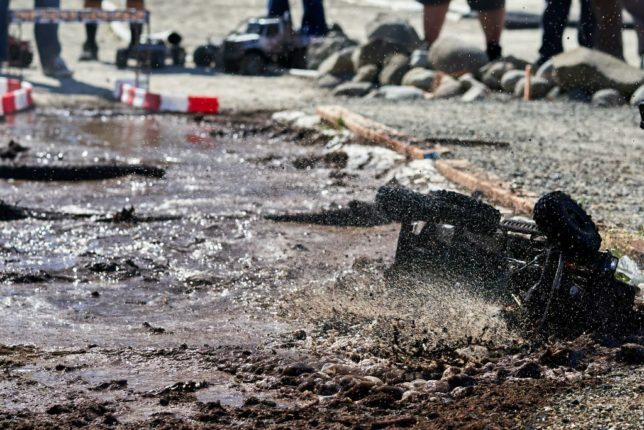 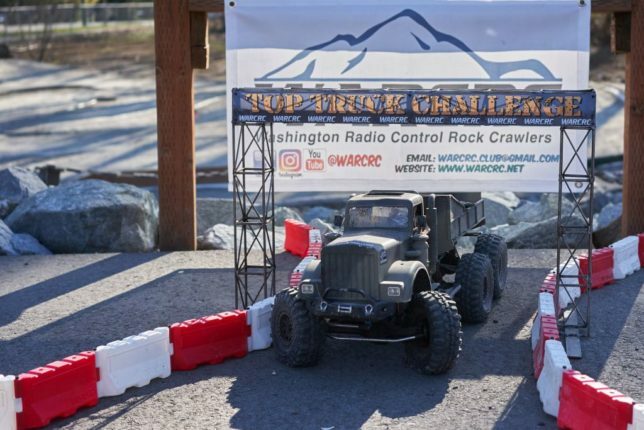 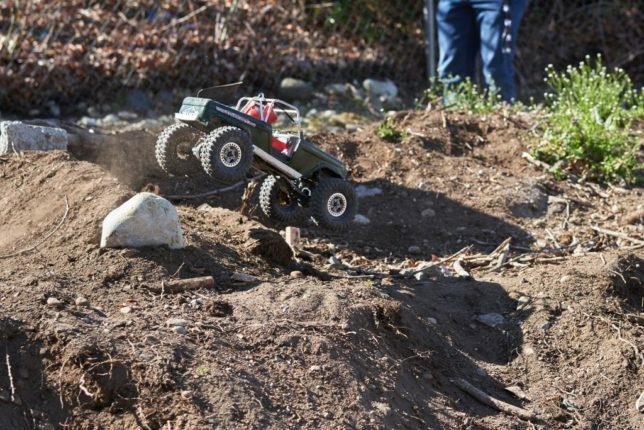 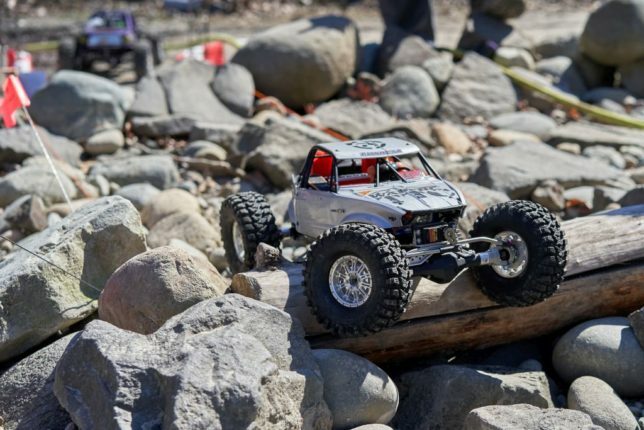 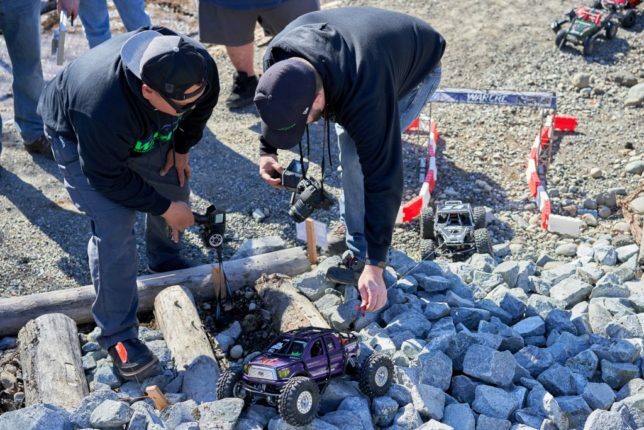 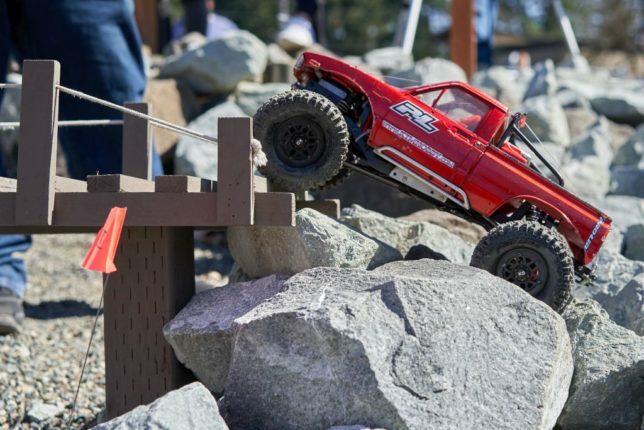 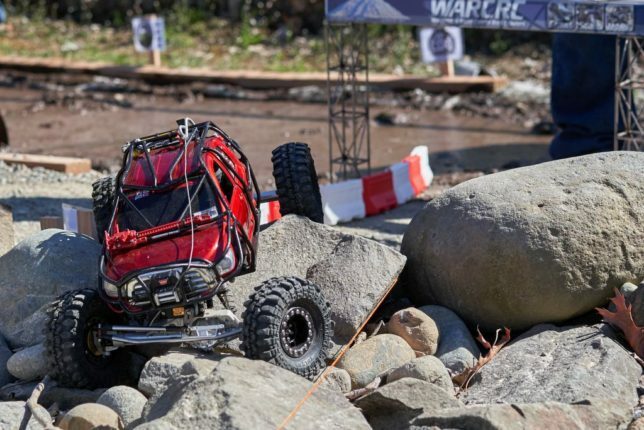 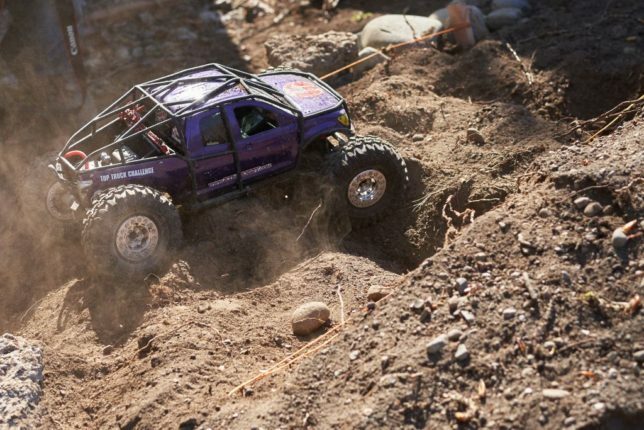 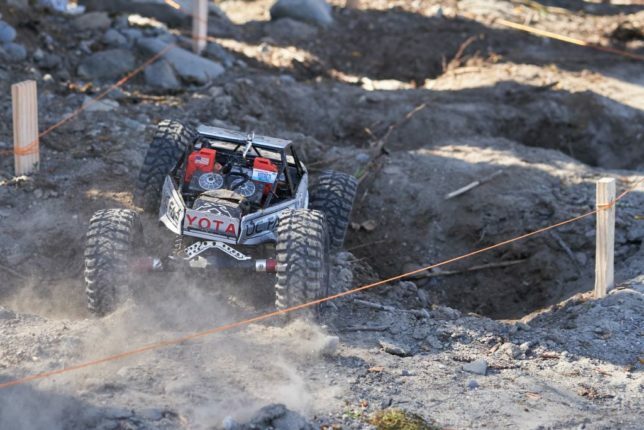 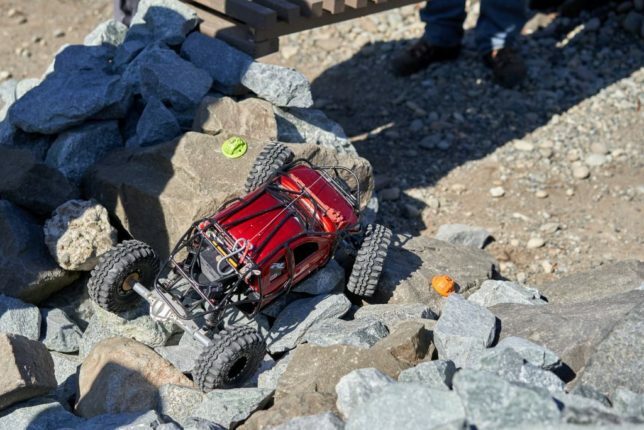 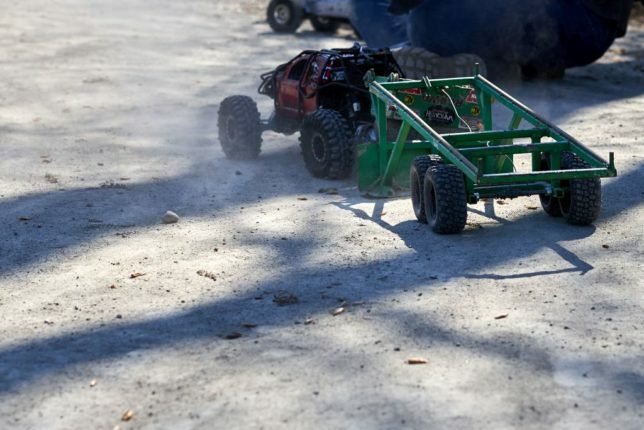 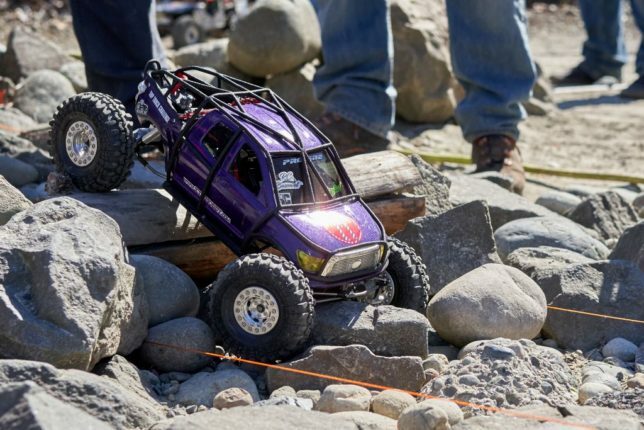 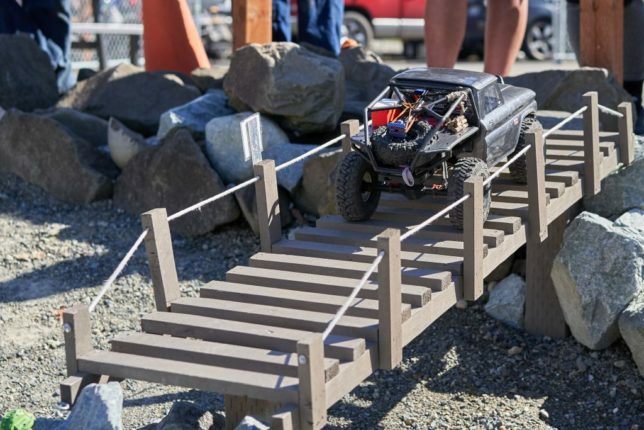 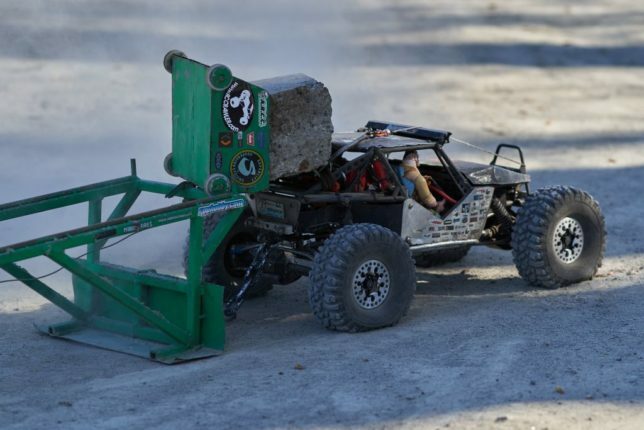 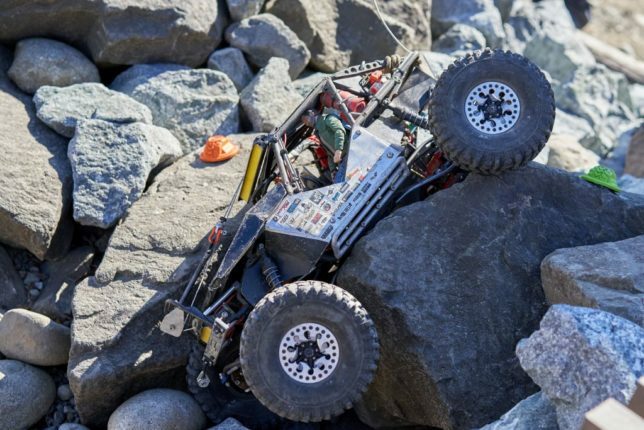 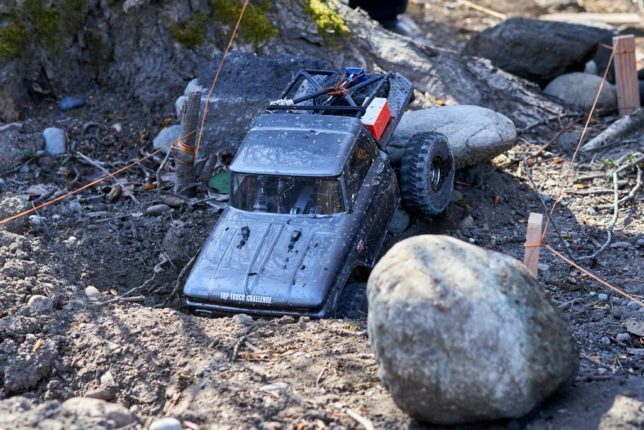 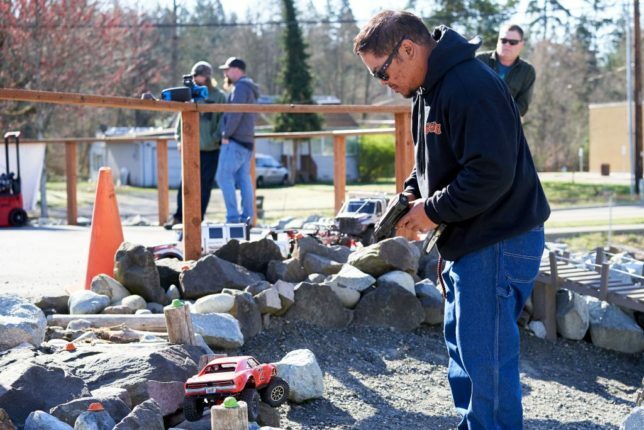 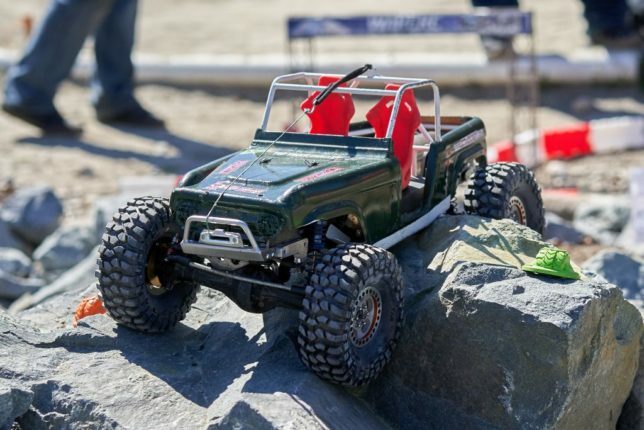 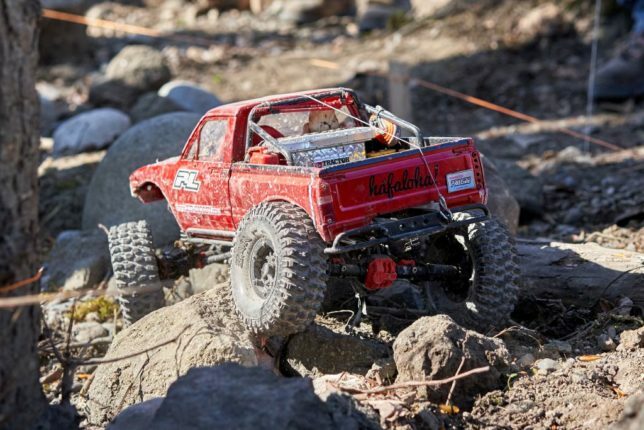 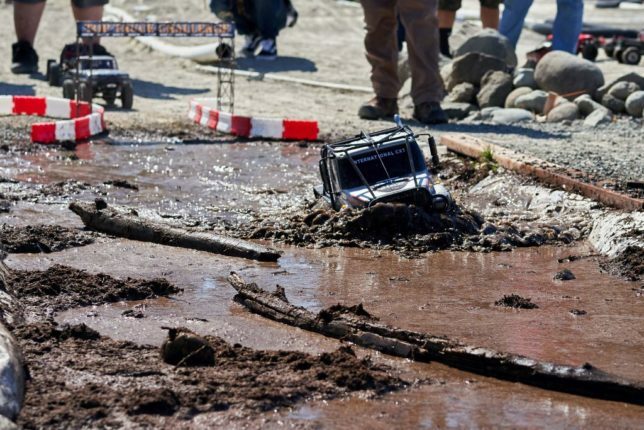 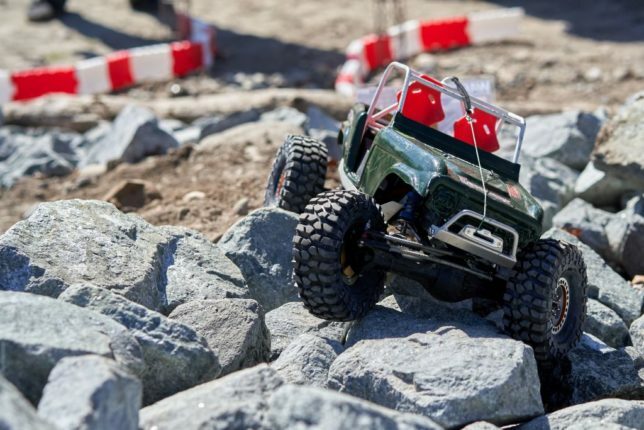 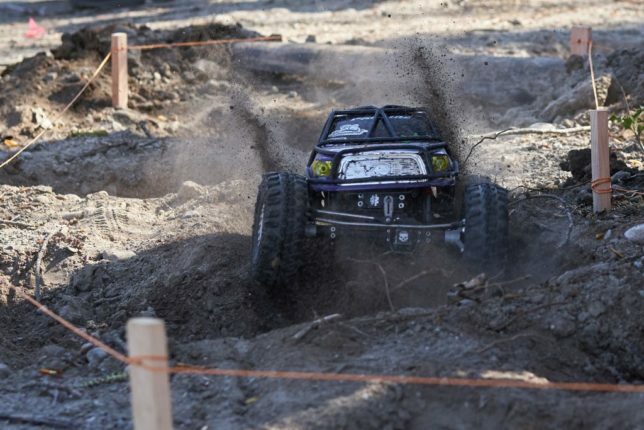 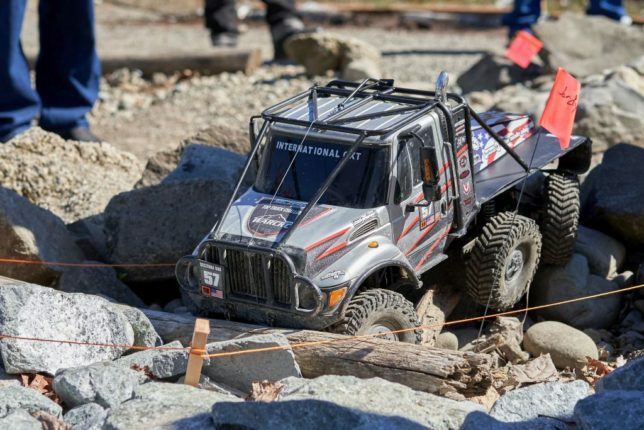 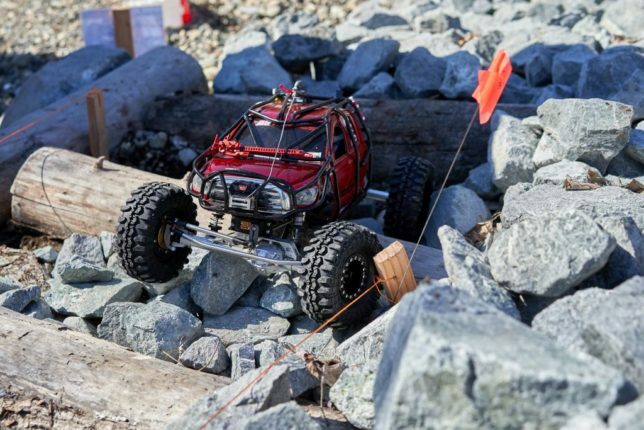 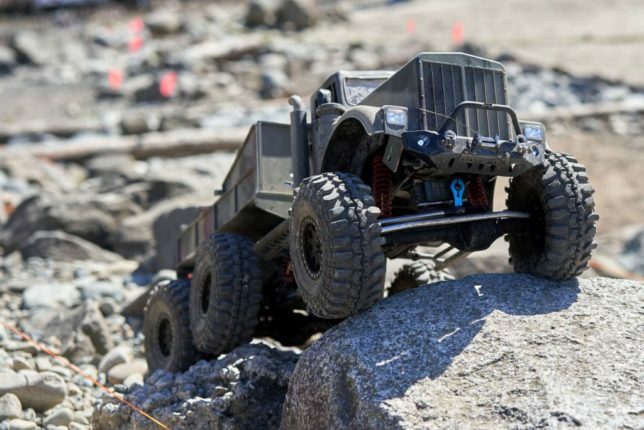 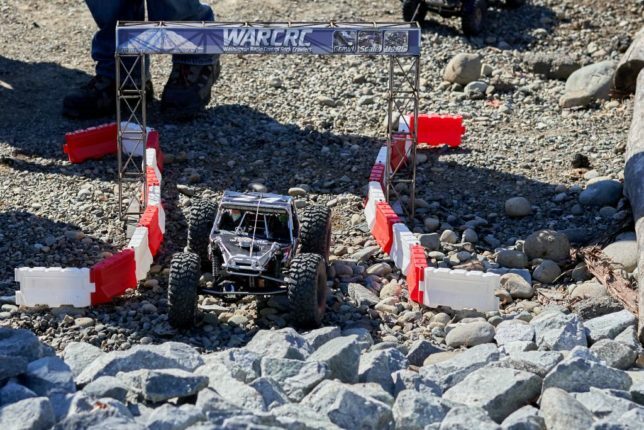 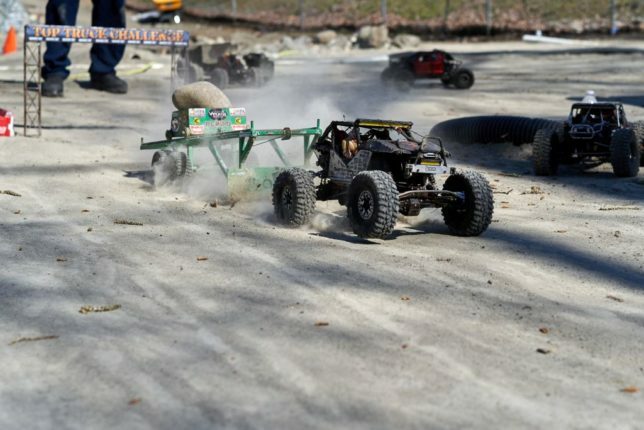 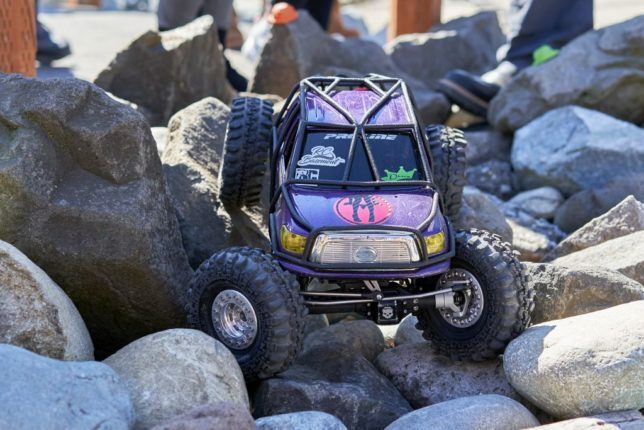 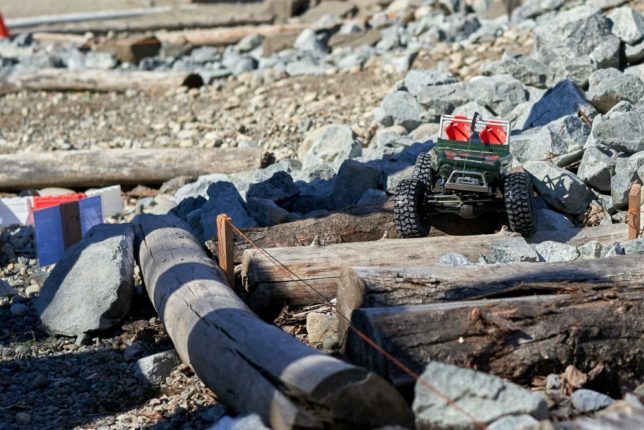 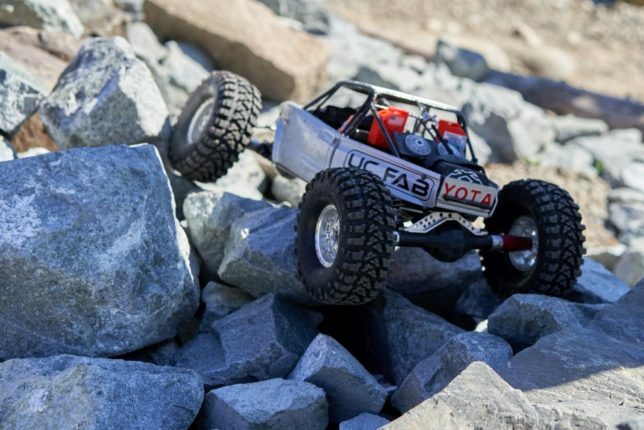 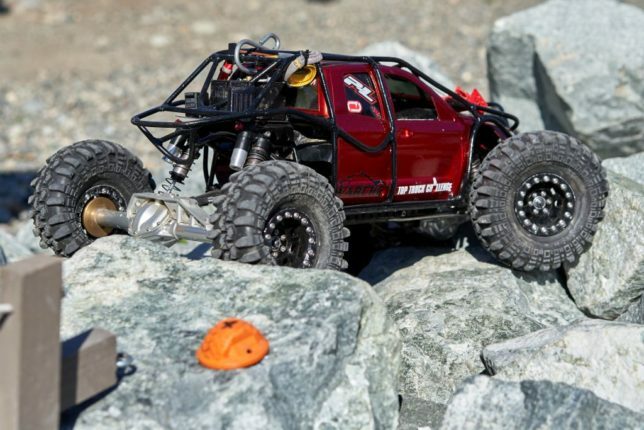 The Washington Remote Control Rock Crawlers, mostly known as WARCRC, holds a Top Truck Challenge for scale RC vehicles and last Saturday was the group’s annual event. 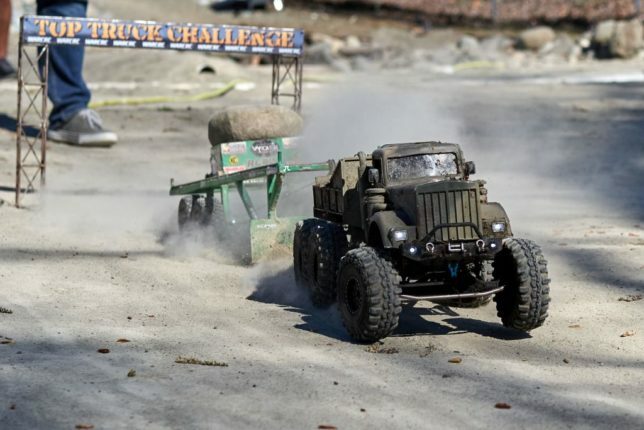 As the event name suggests, it’s a 1:10 scale homage to Four Wheeler Magazine’s Top Truck Challenge that started in 1993 and last held in 2015. 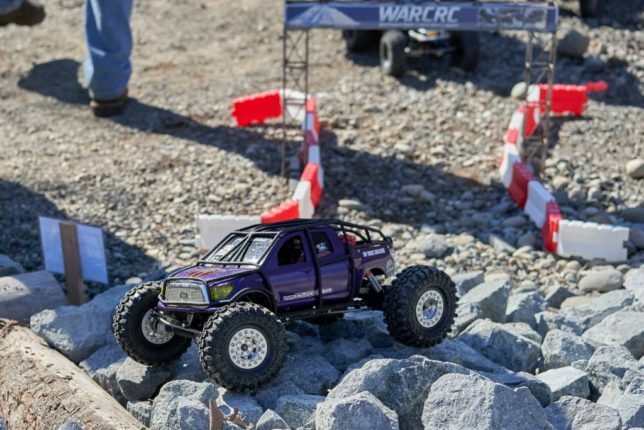 As with Four Wheeler Magazine’s competition, trucks are submitted by contestants and voted in by WARCRC members. 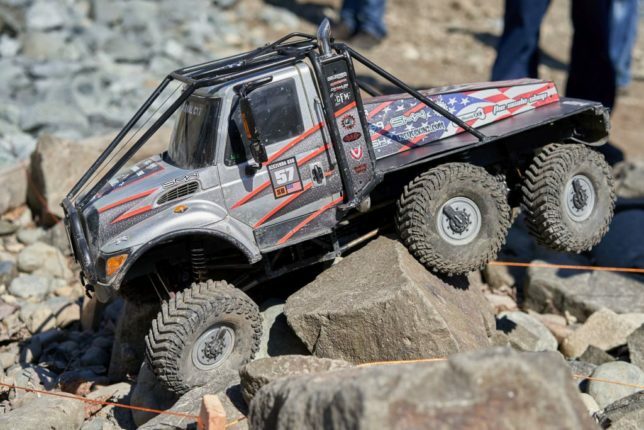 There are some strict requirements for a truck to be legal for the event, however. 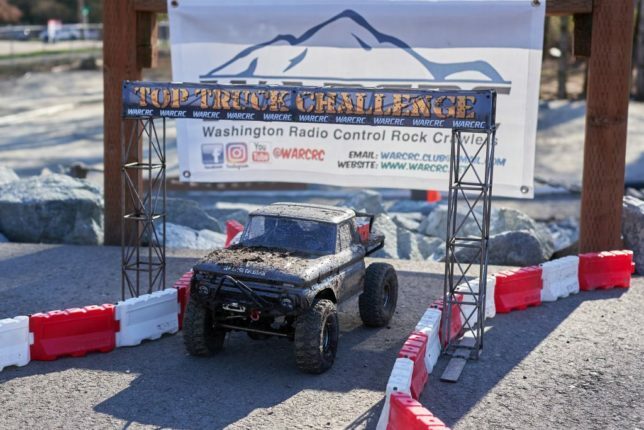 The event follows rules set by the Scale Off Road Radio Control Association, also known as SORRCA, which meant every truck had to have at least 40 or more scale points. 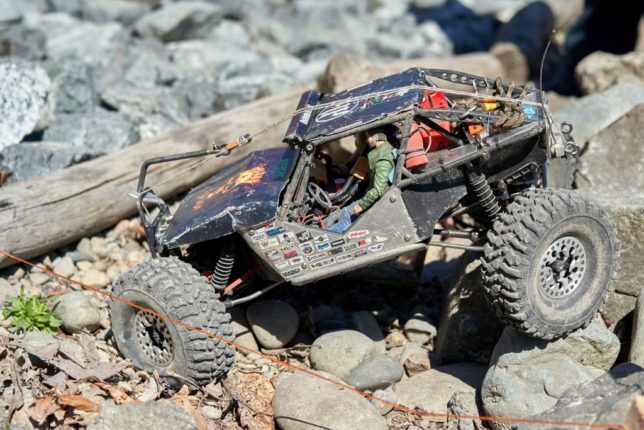 A vehicle receives a certain amount of points depending on the body type (more points for a hard body versus lexan), accessories (mirrors, cooler, door handles, etc … ), and many other features. 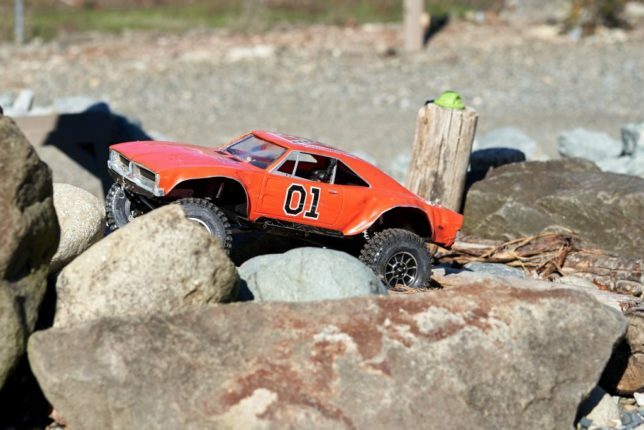 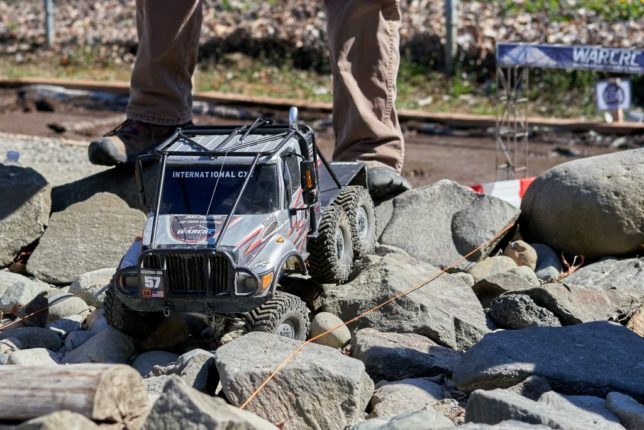 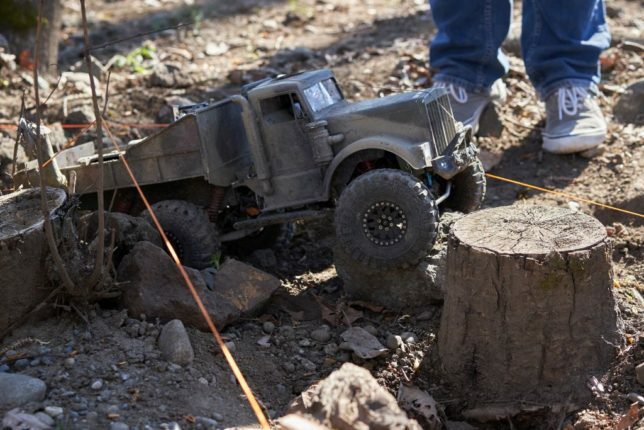 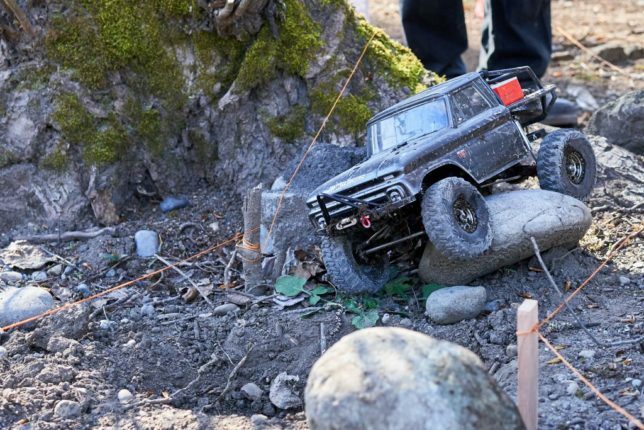 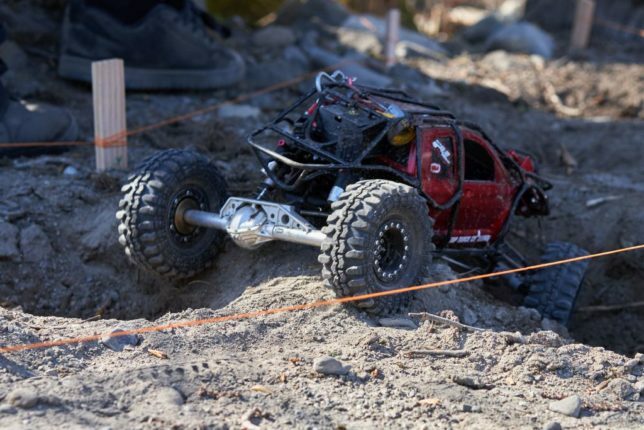 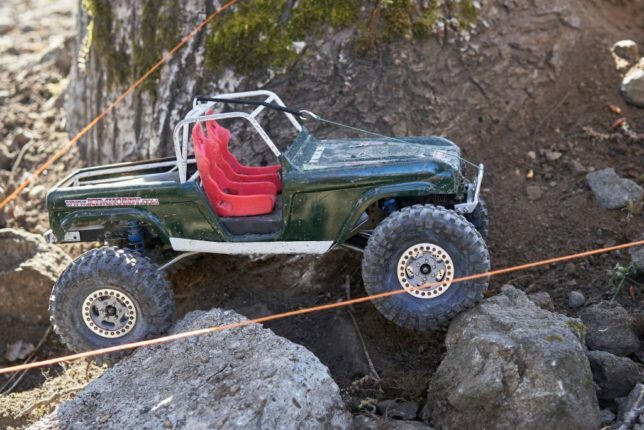 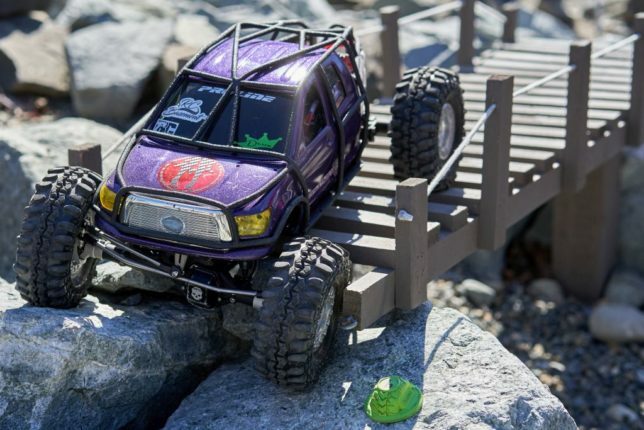 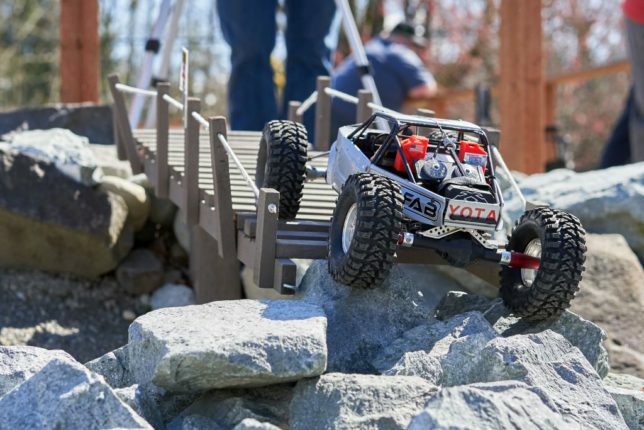 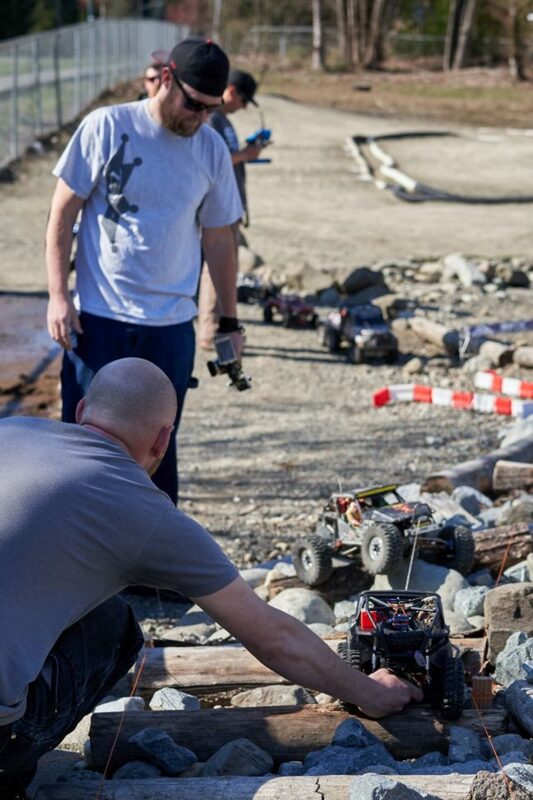 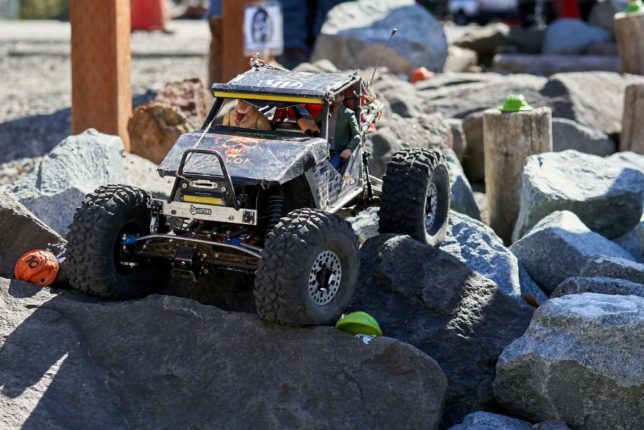 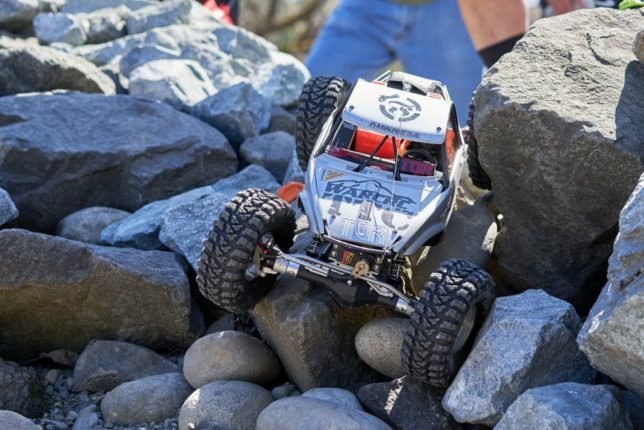 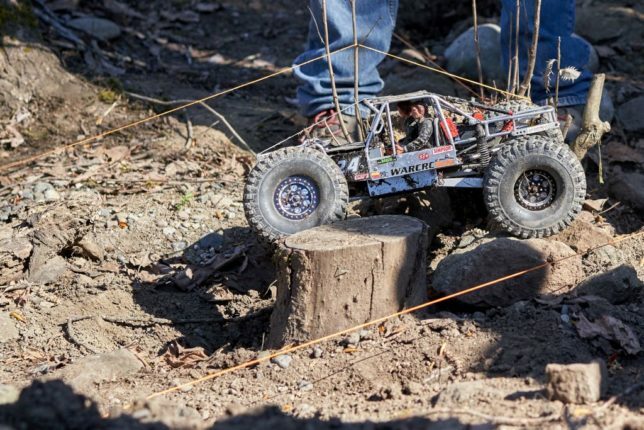 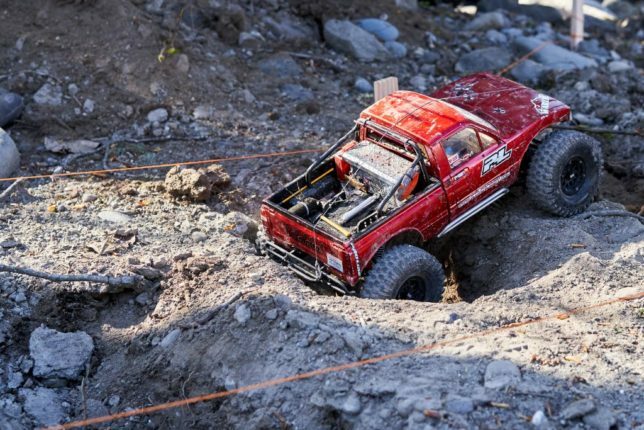 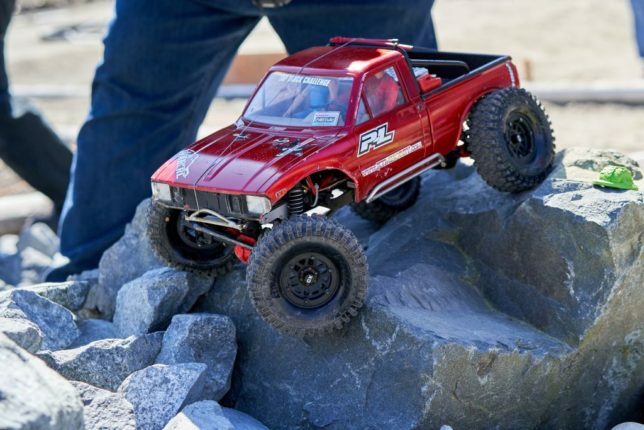 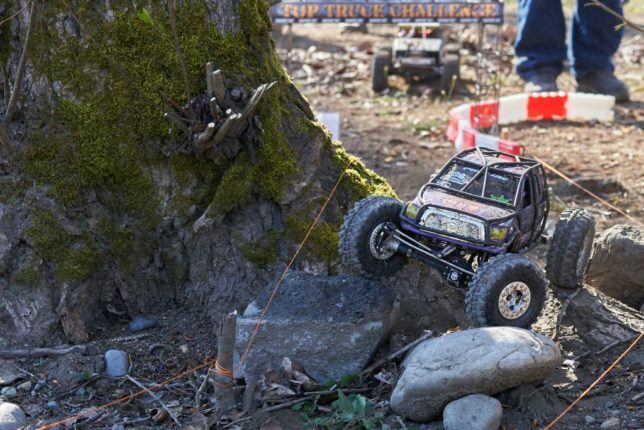 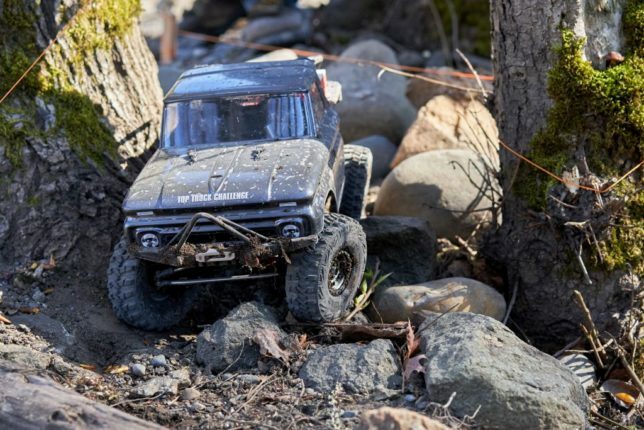 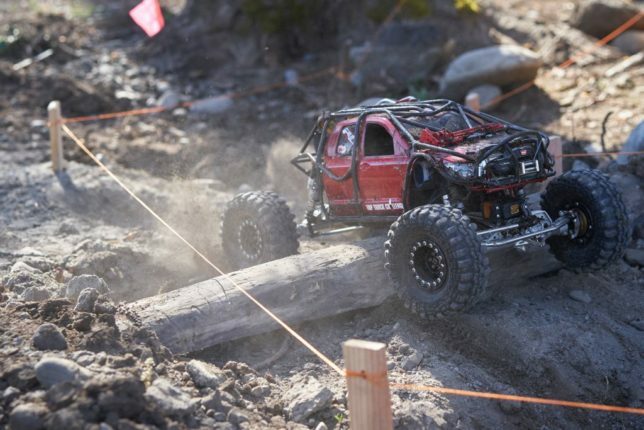 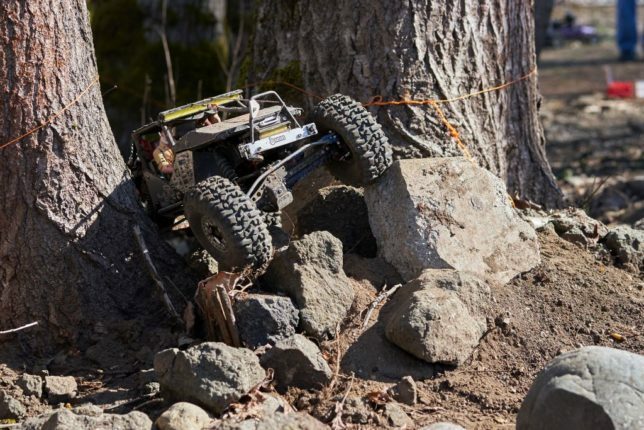 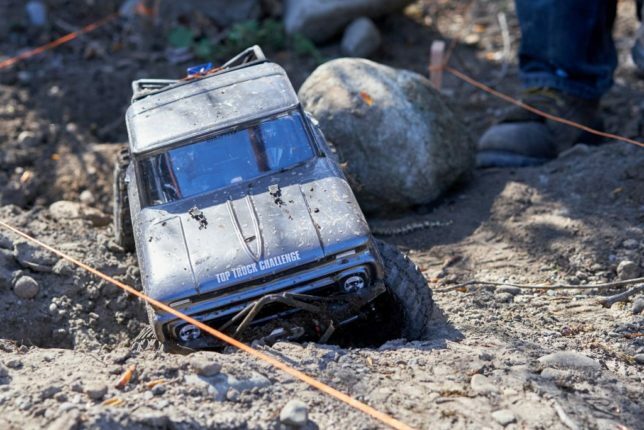 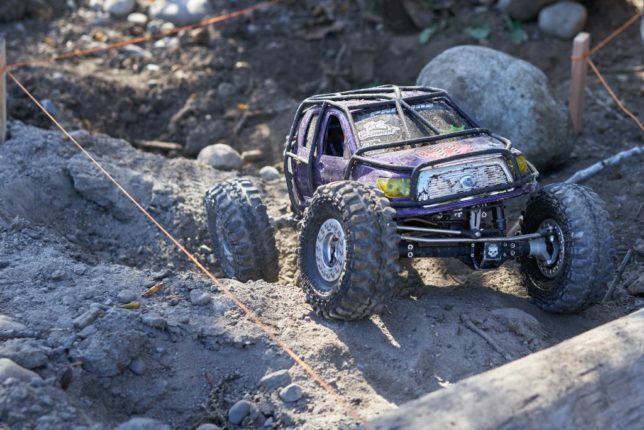 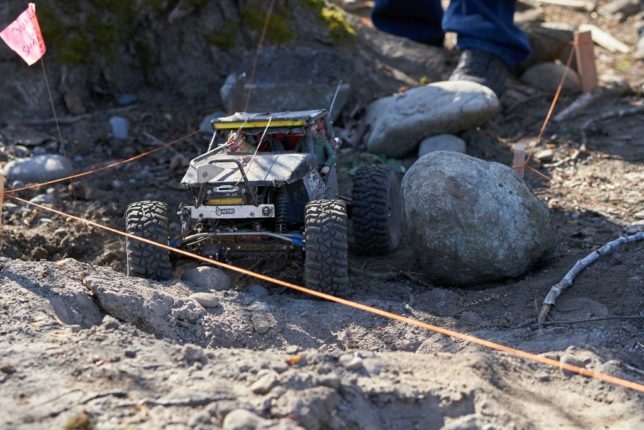 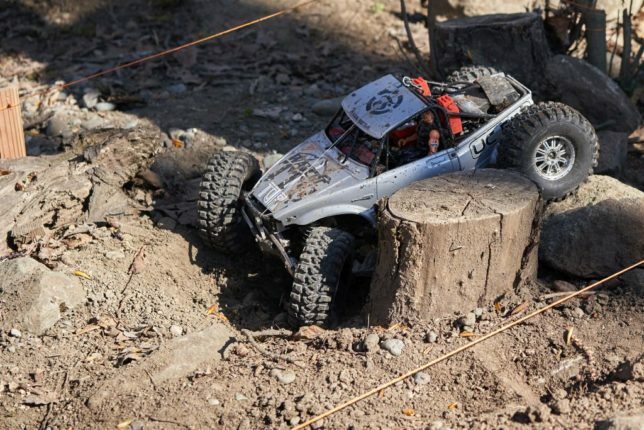 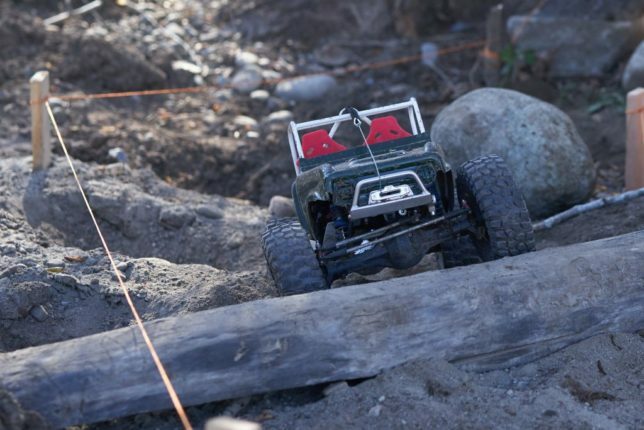 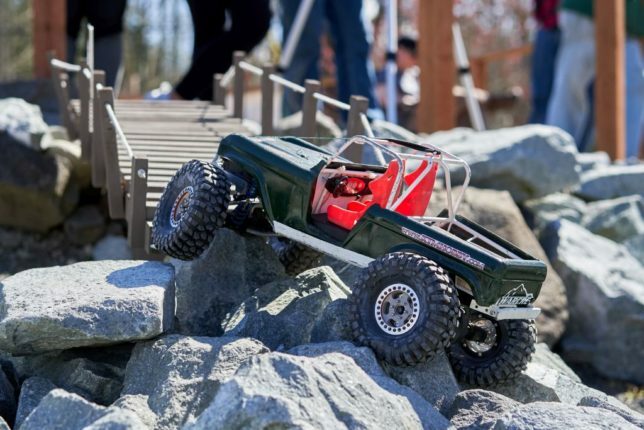 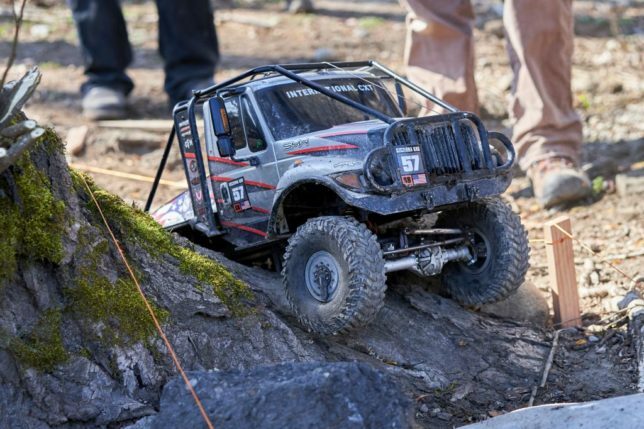 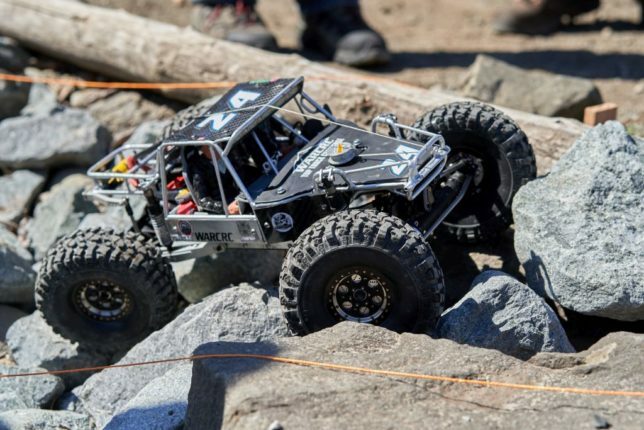 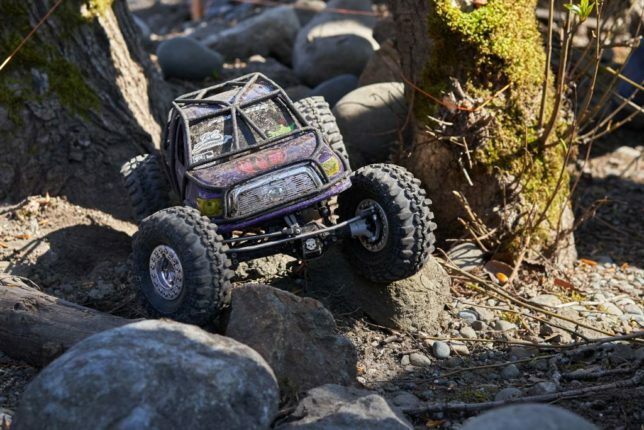 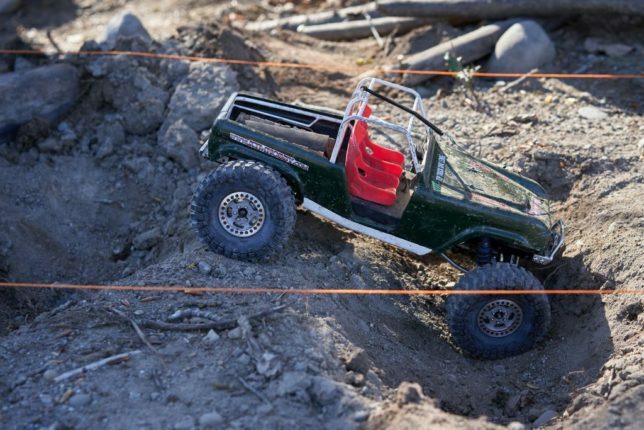 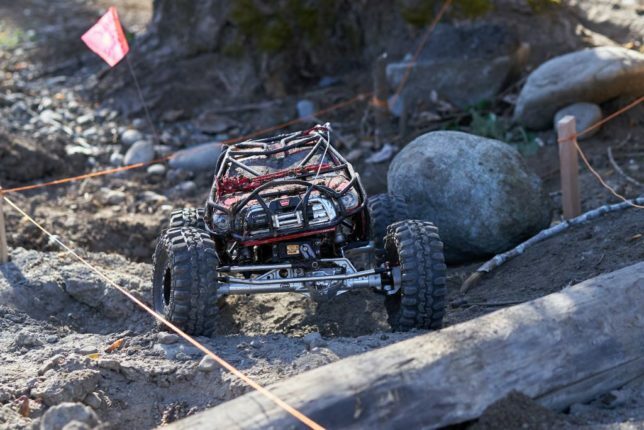 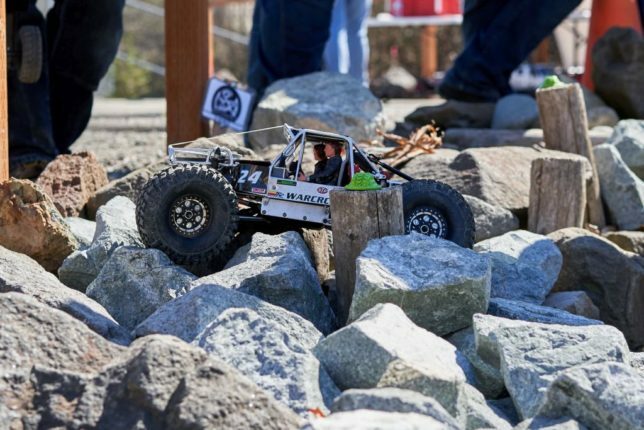 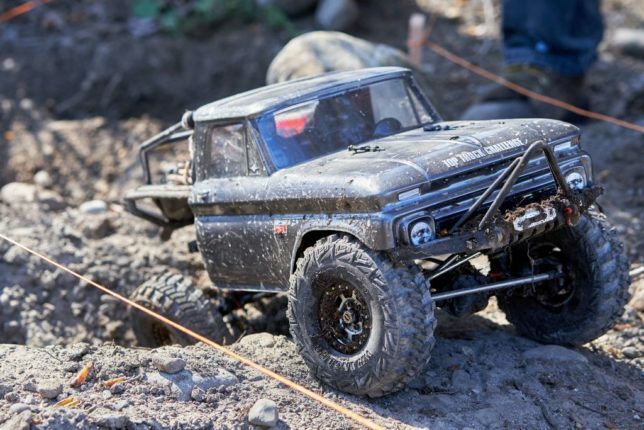 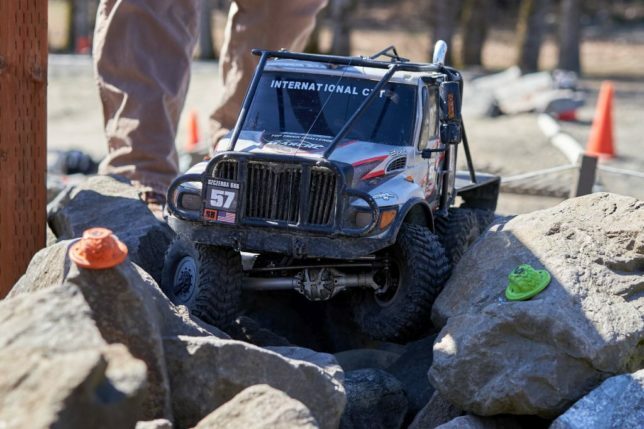 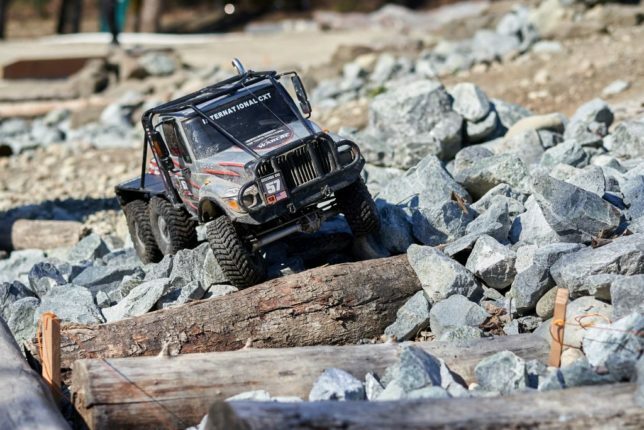 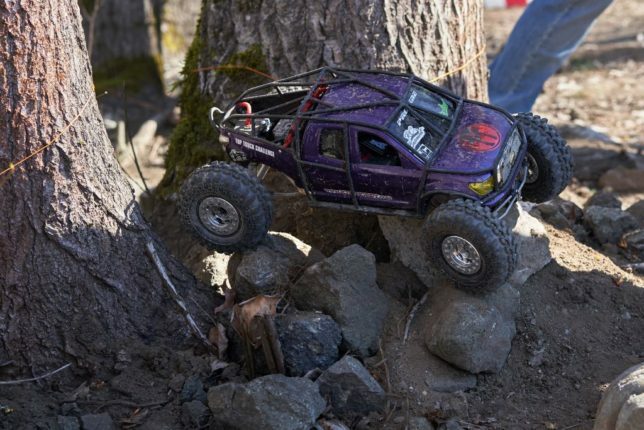 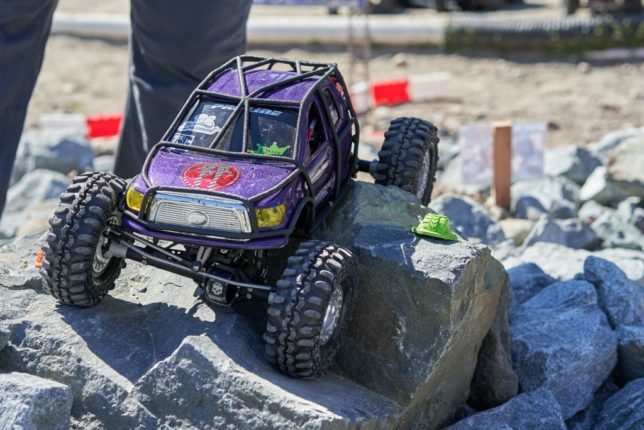 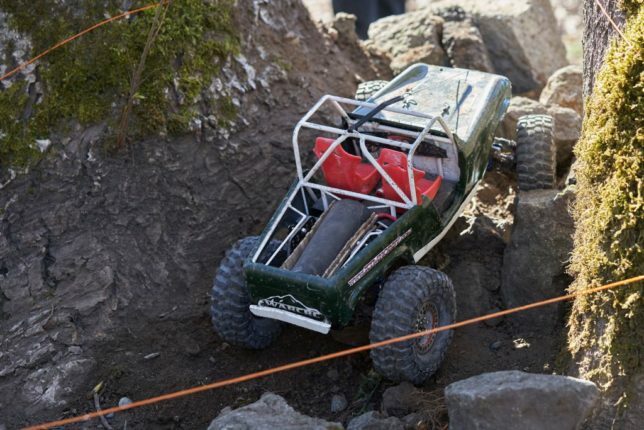 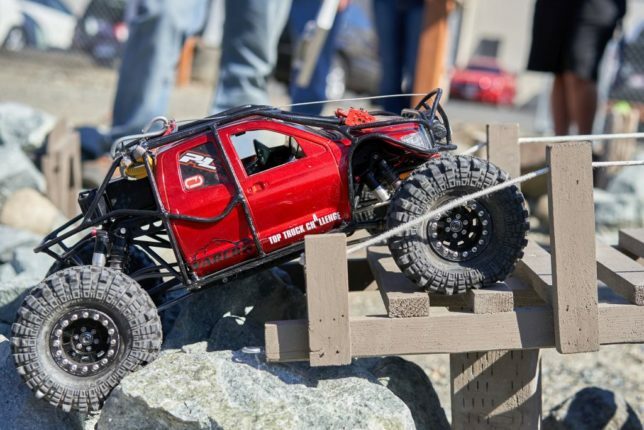 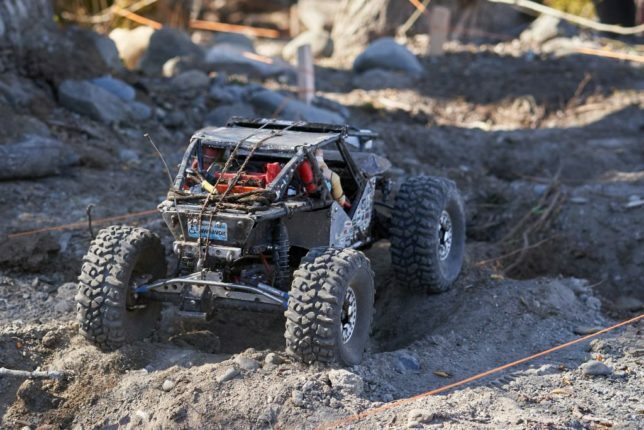 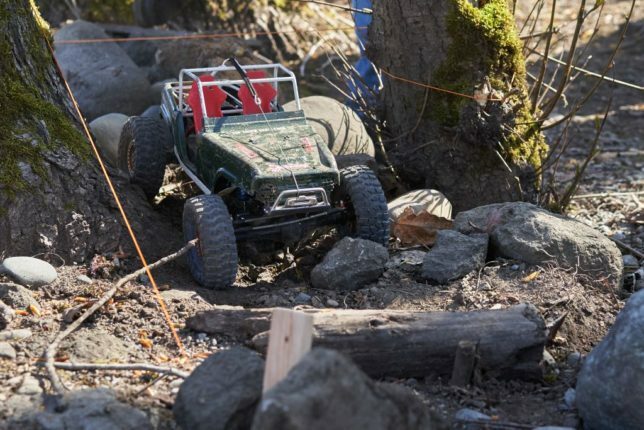 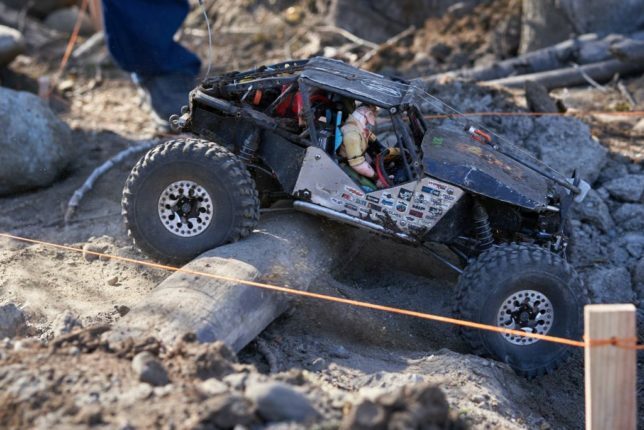 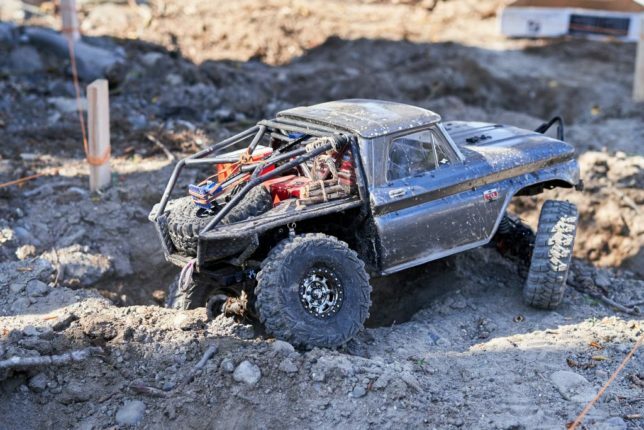 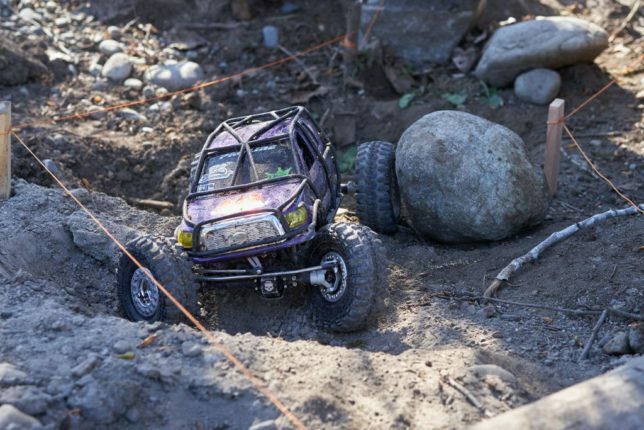 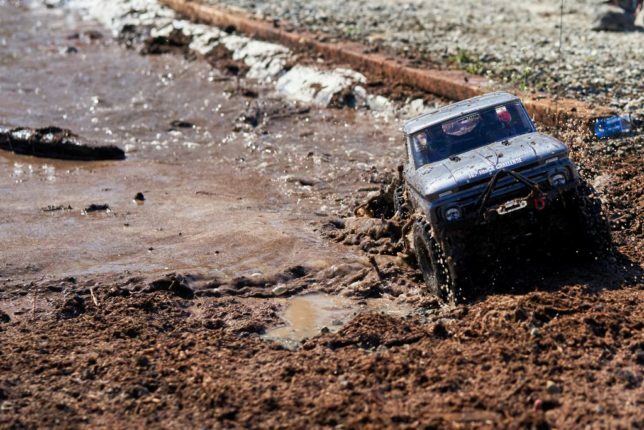 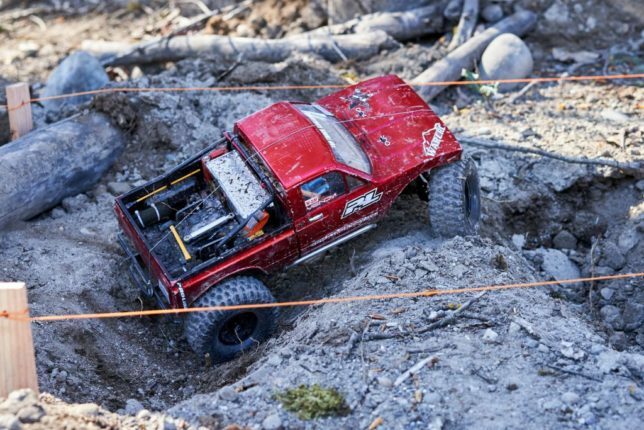 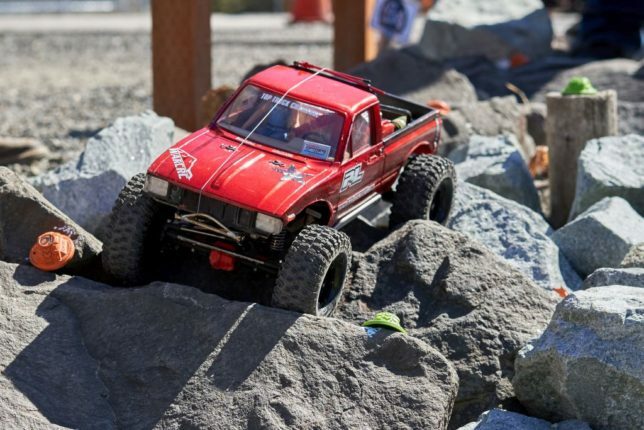 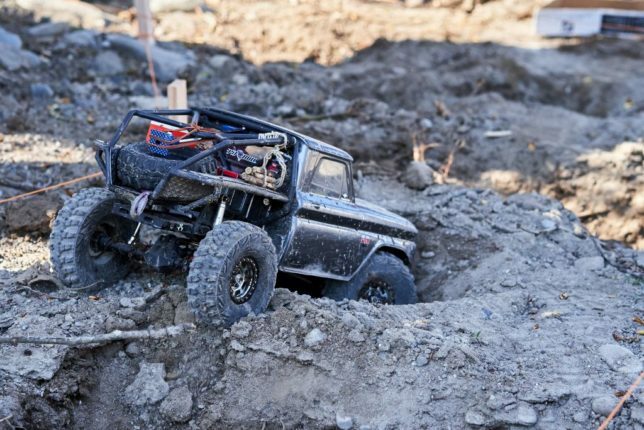 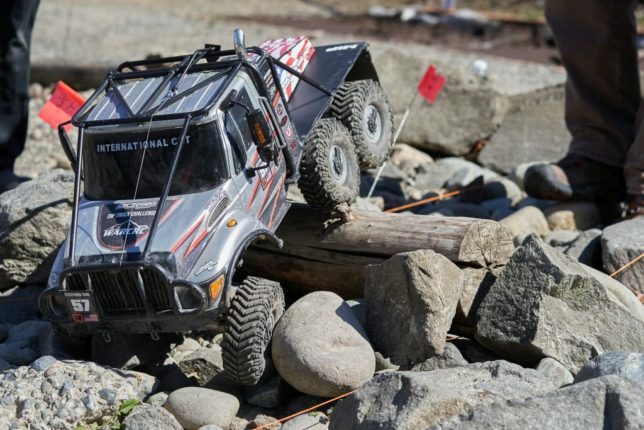 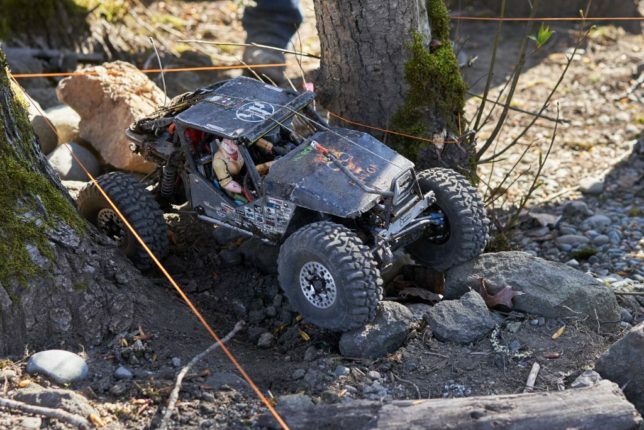 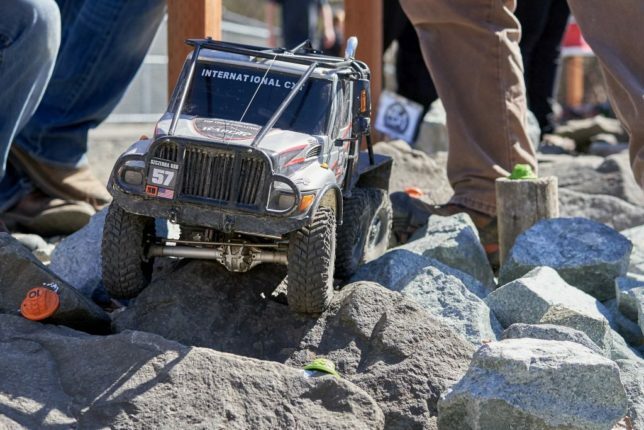 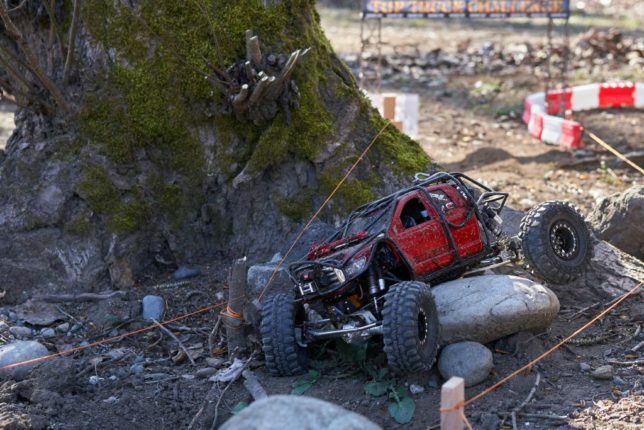 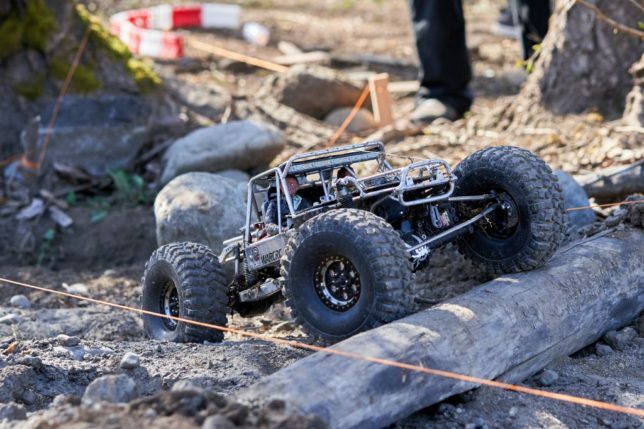 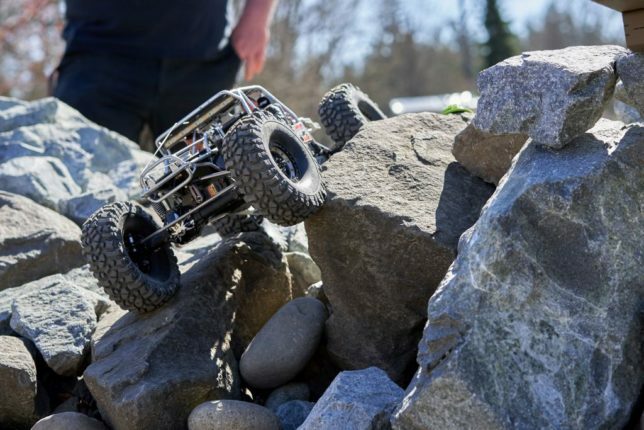 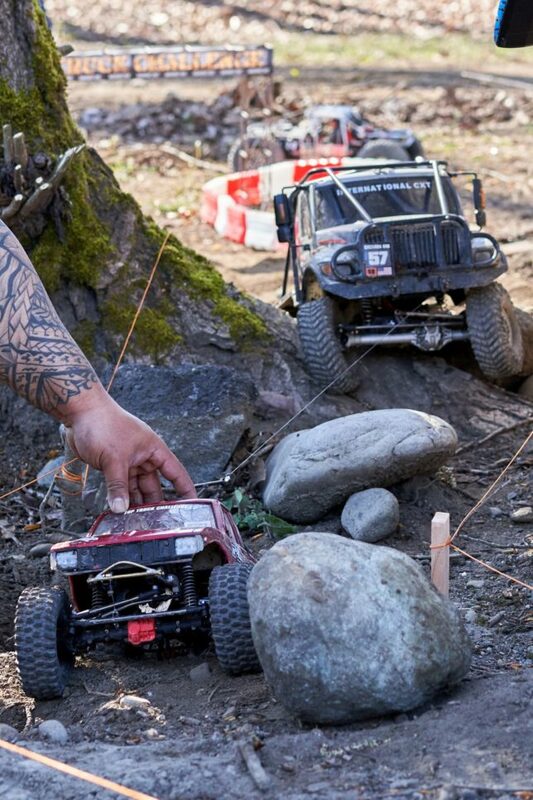 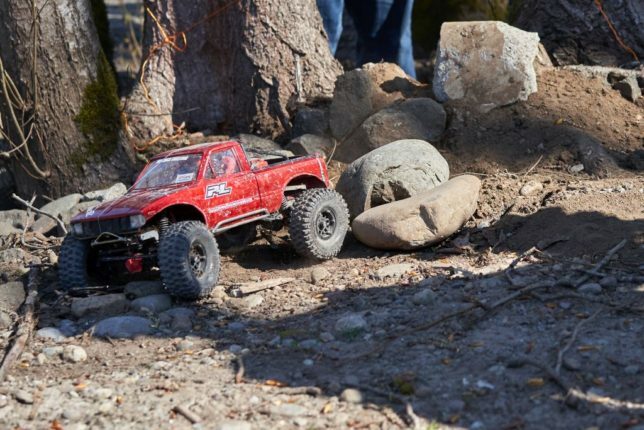 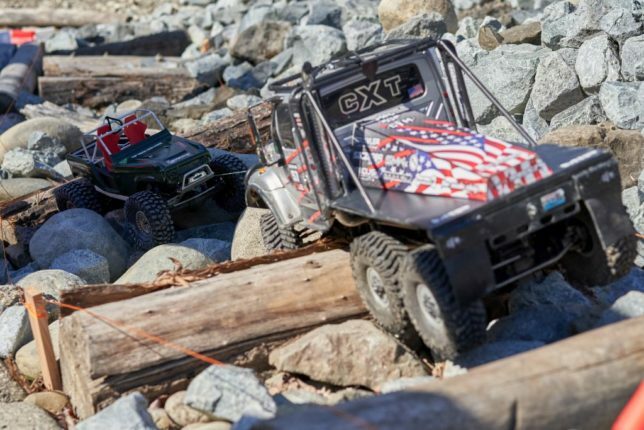 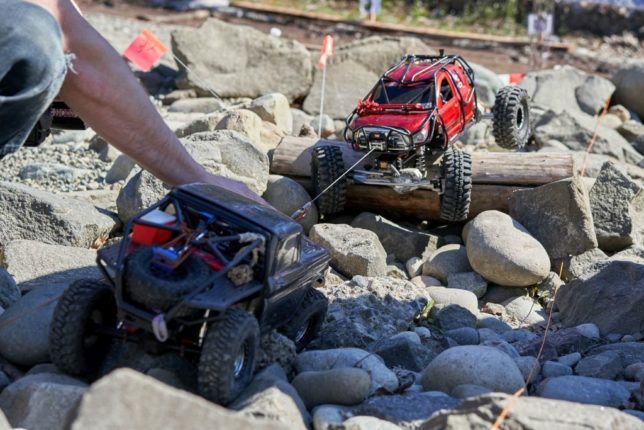 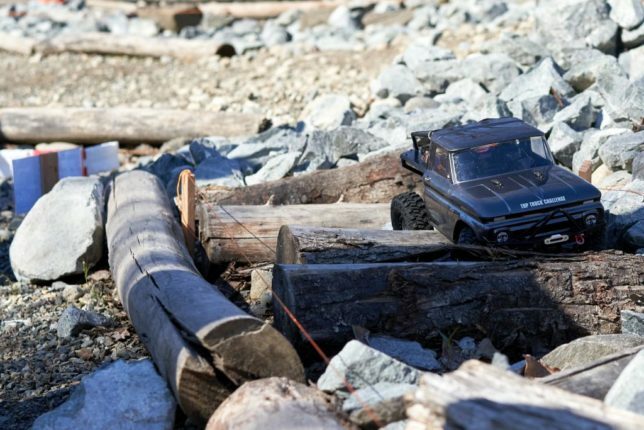 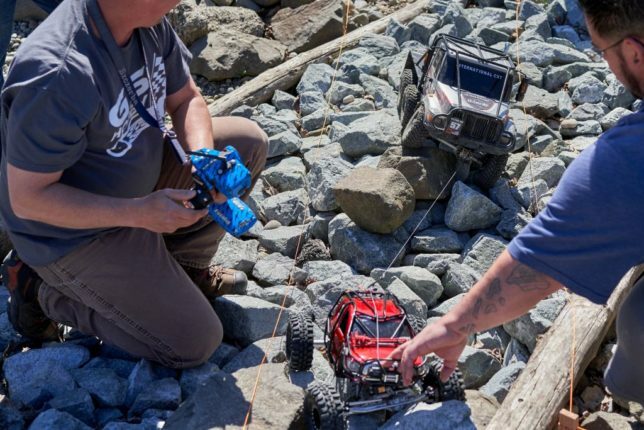 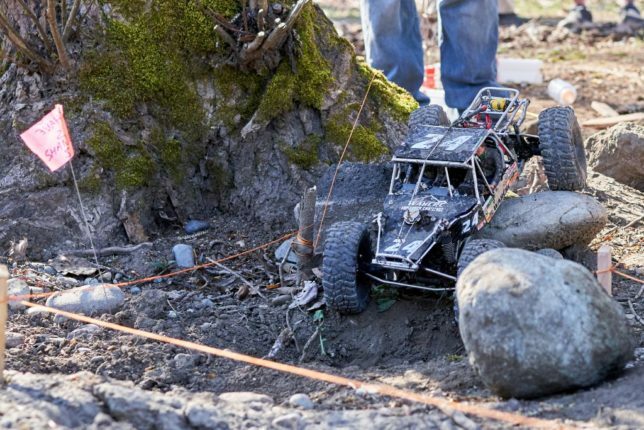 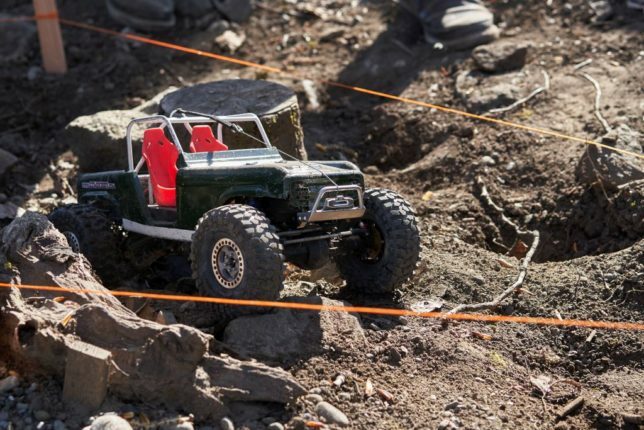 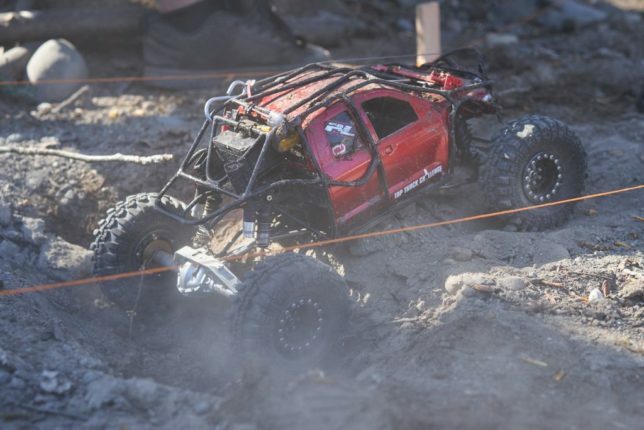 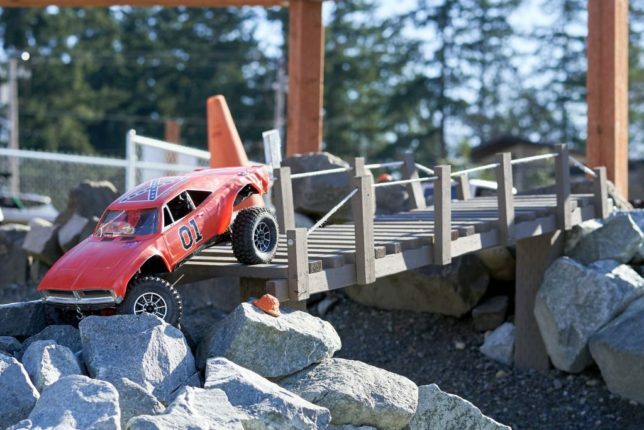 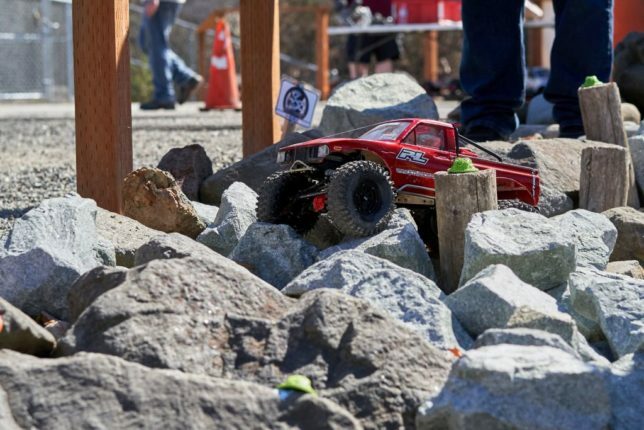 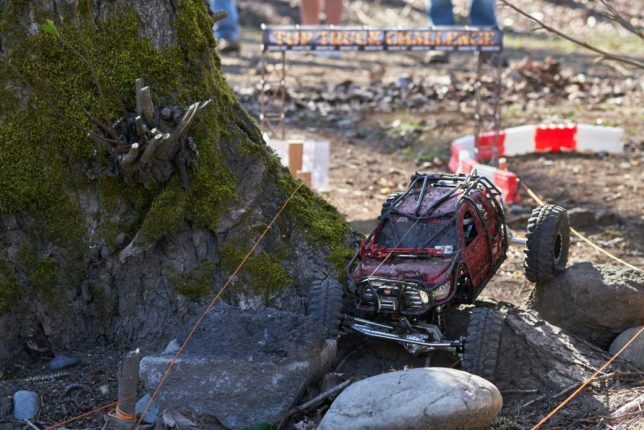 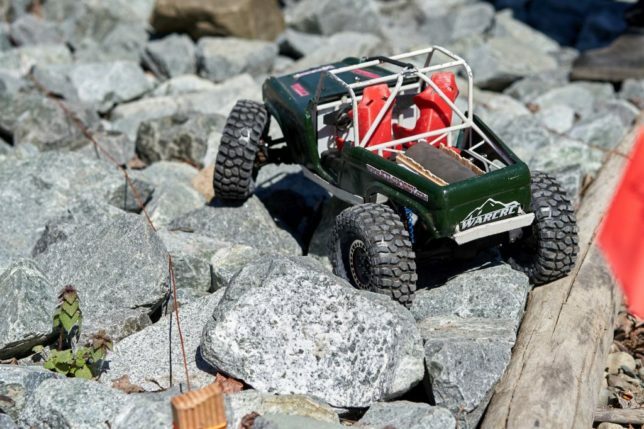 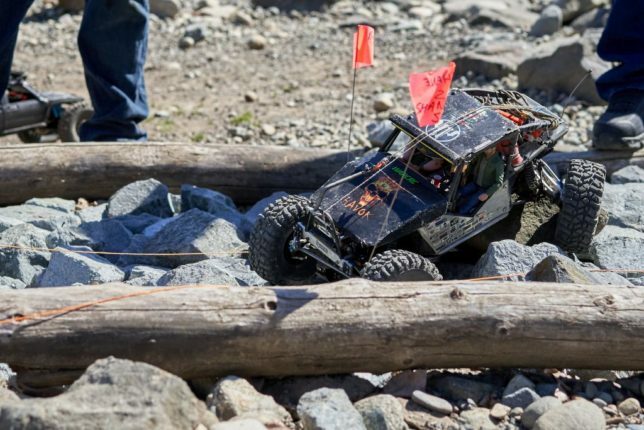 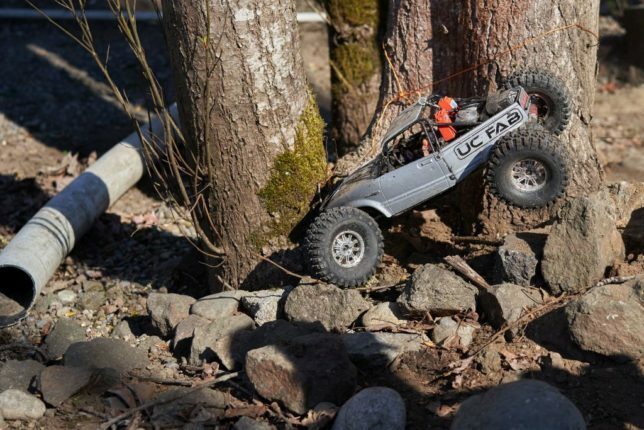 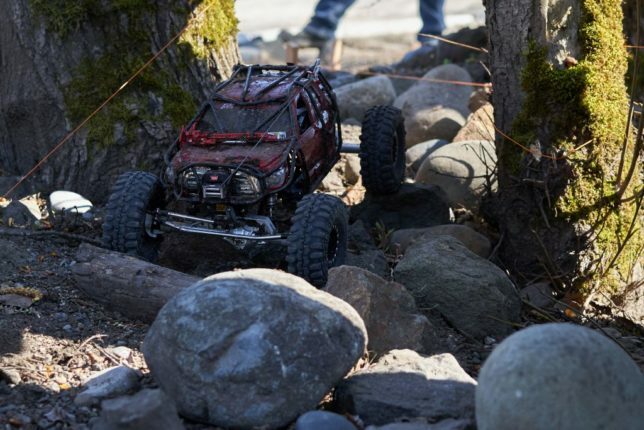 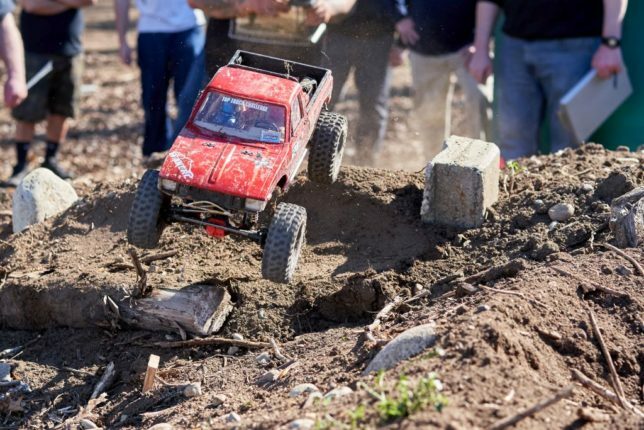 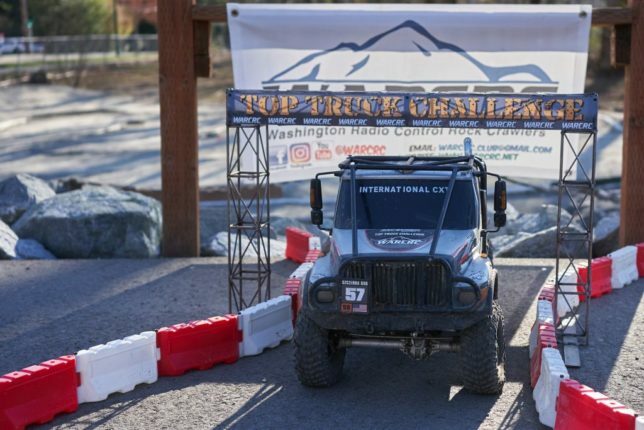 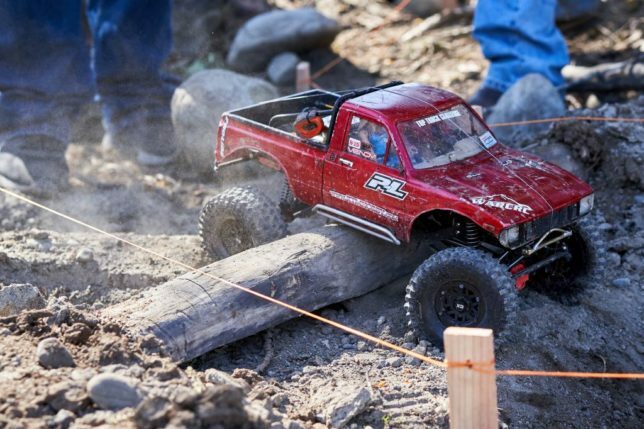 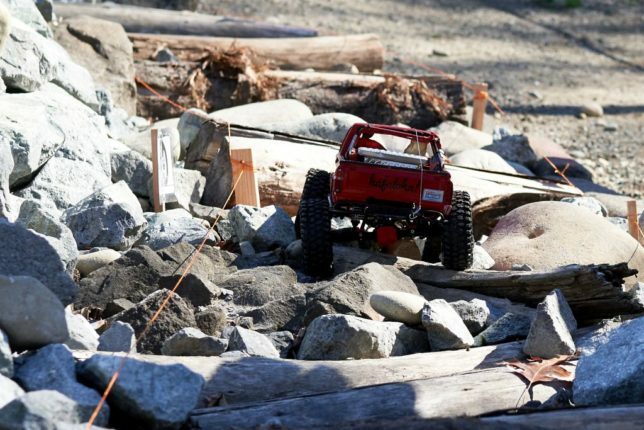 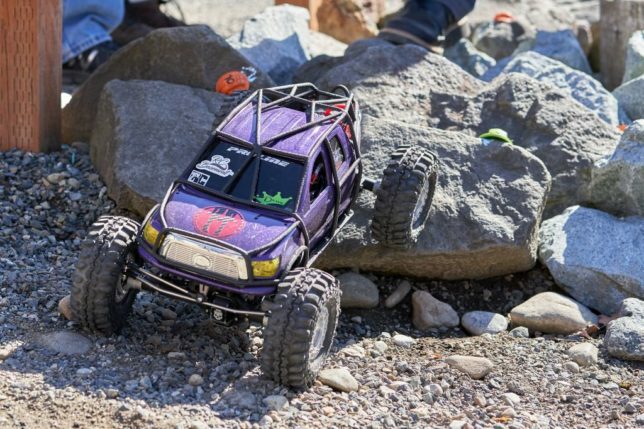 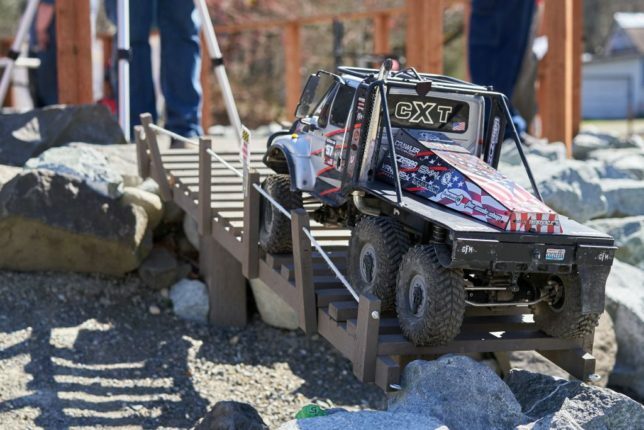 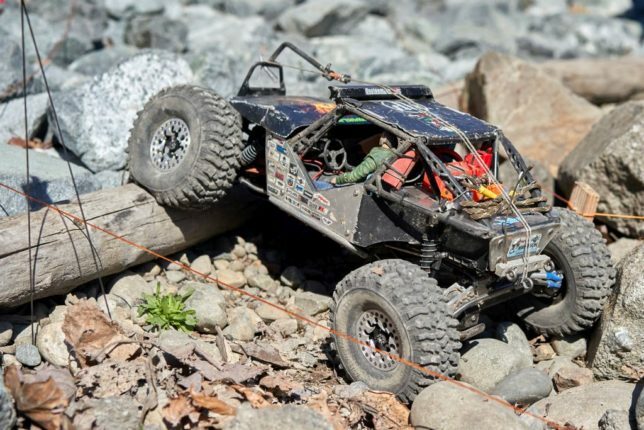 There are only 10 spots for competitors and it’s a one-day event graciously organized by @JustinArt24 and hosted at the Remote Control Hobbies in Covington, WA, which has an outstanding short course and rock crawling track behind the store. 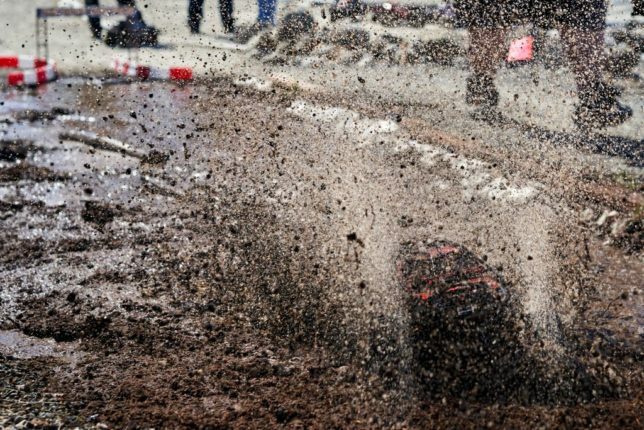 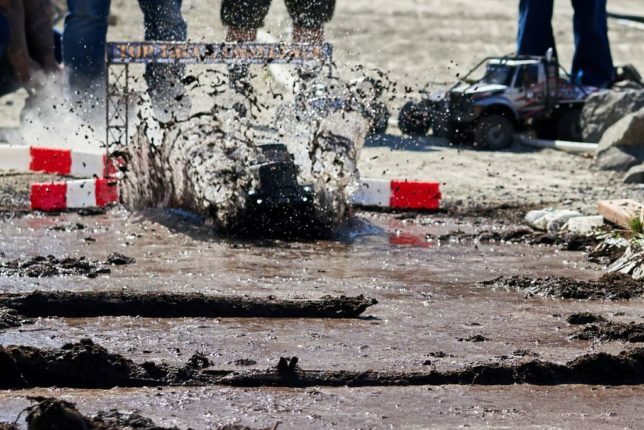 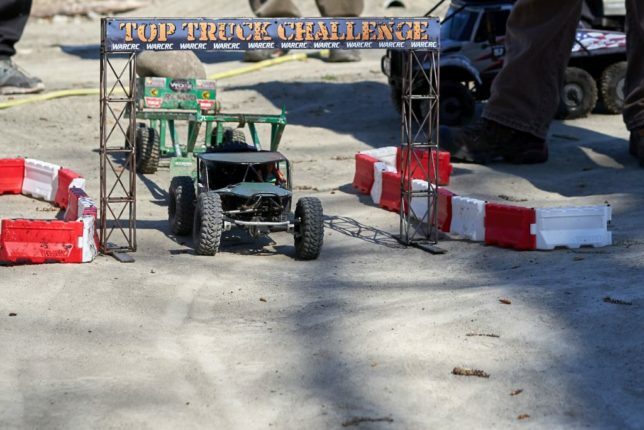 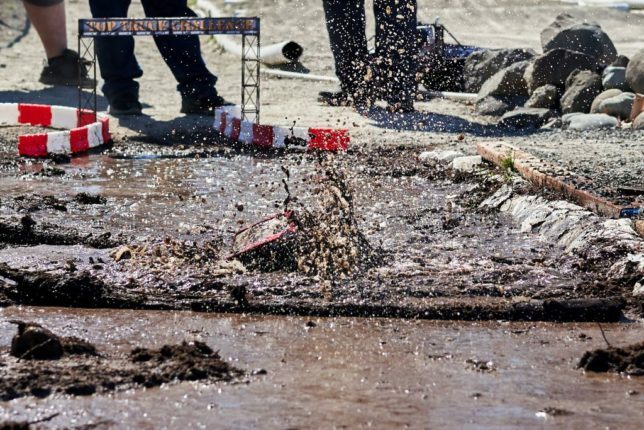 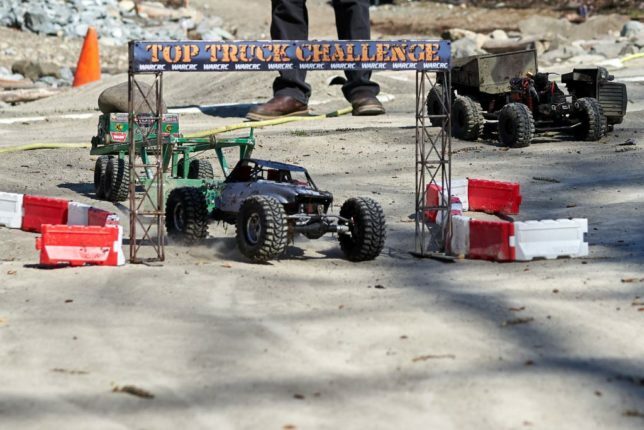 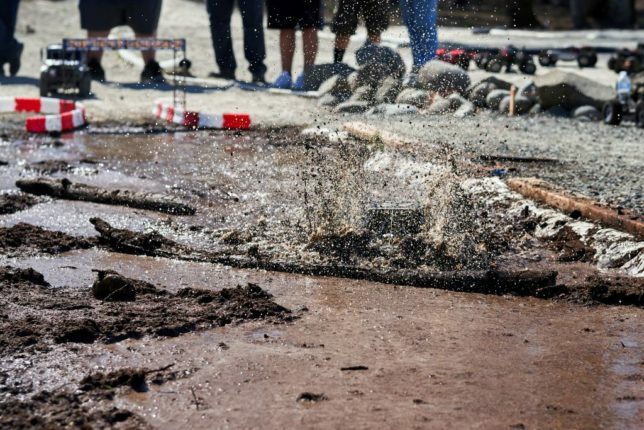 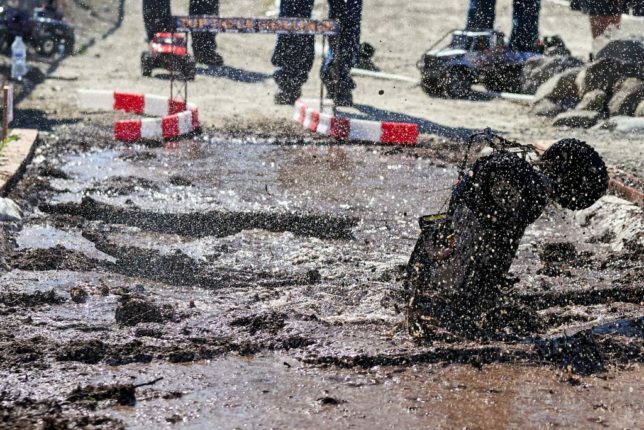 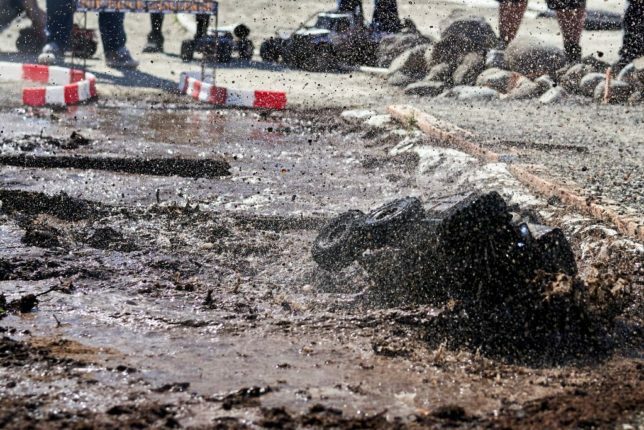 The scale Top Truck Challenge consists of six individual courses—a frame twister, obstacle course, mini Rubicon, sled pull, mud pit and tank trap. 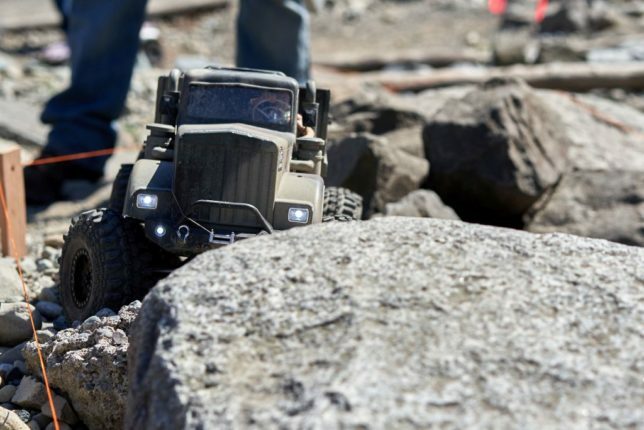 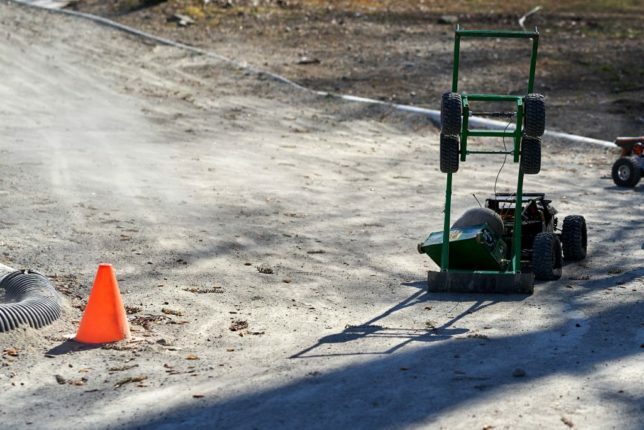 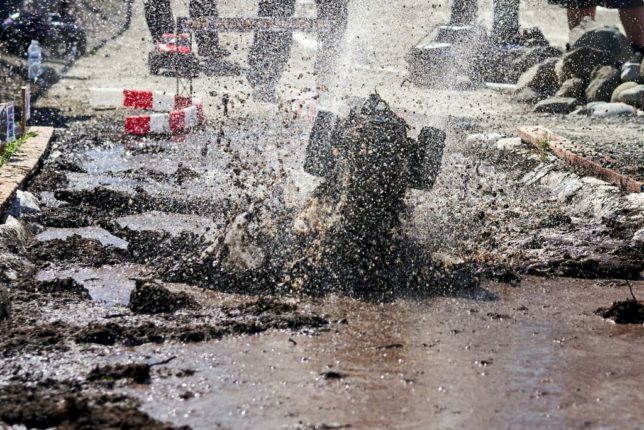 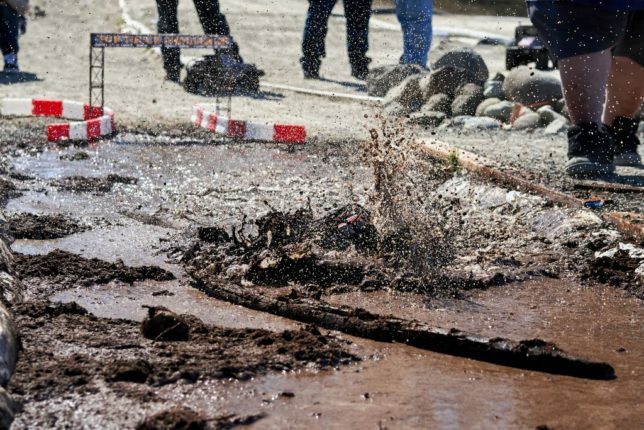 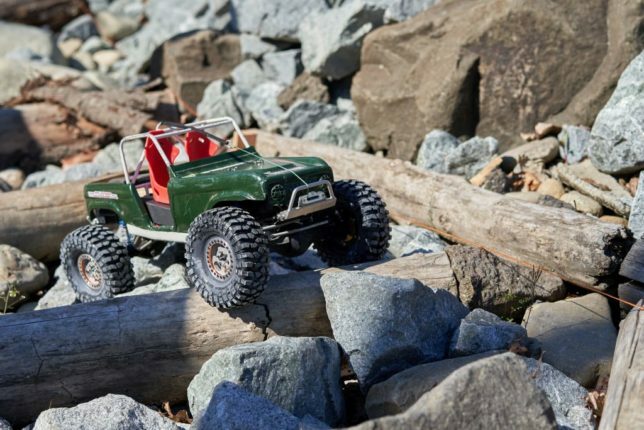 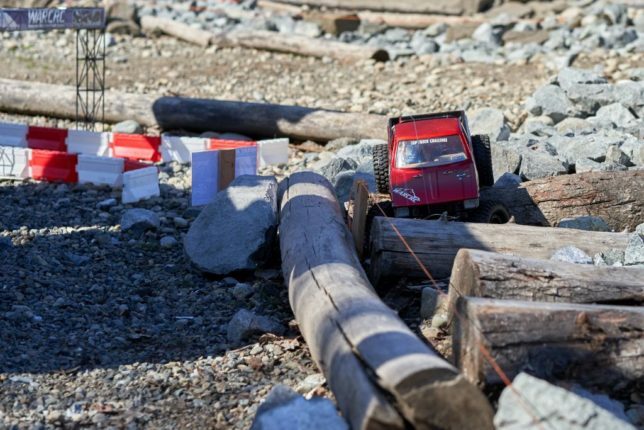 Each course has its own challenges that push the tiny trucks to different limits. 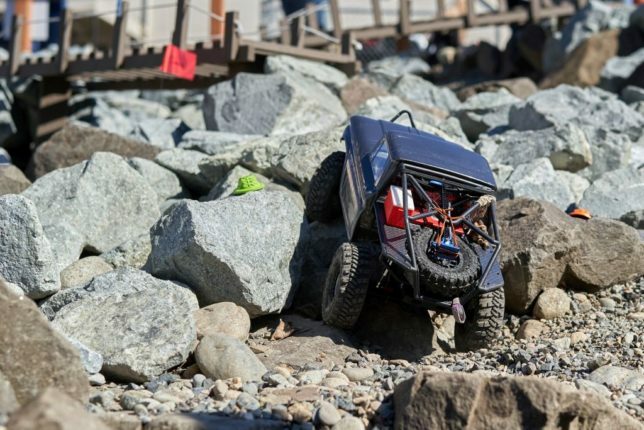 It’s tough to build a vehicle that can excel at every challenge, so there was no vehicle that finished first in every challenge. 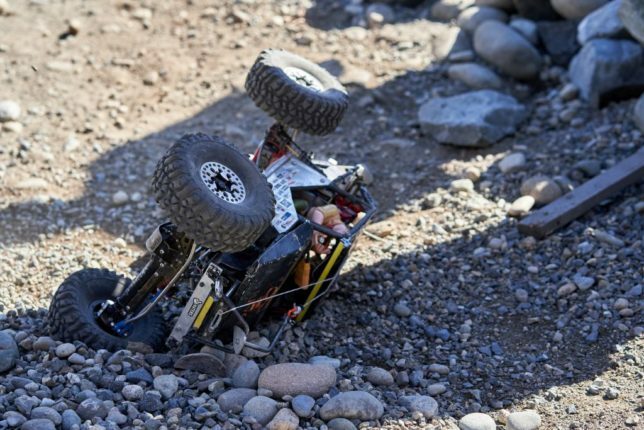 If you get stuck or flip your truck over, you can only rely on a winch for assistance. 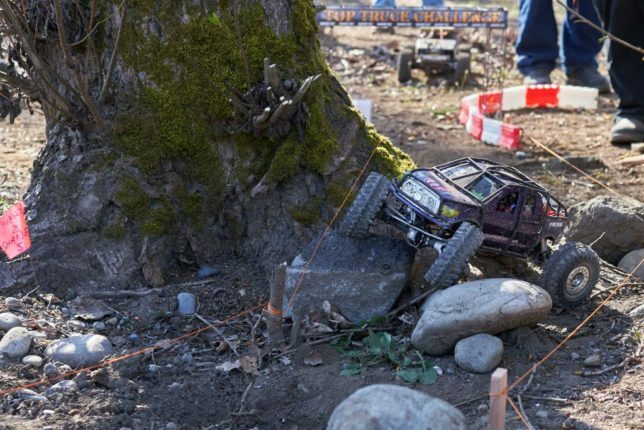 I attended as the event photographer and took a ton of shots. 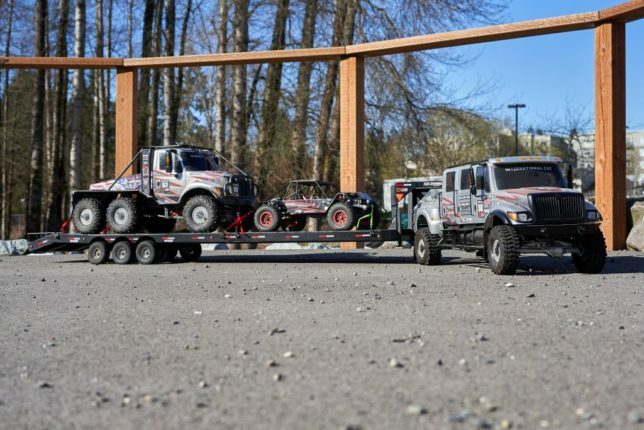 Without further ado, here were the challengers and the trucks entered. 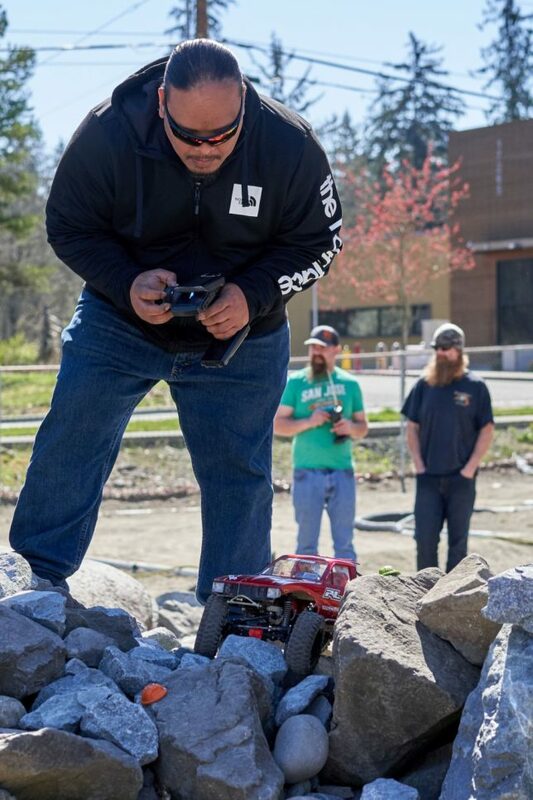 Holmes Hobby BRXL ESC with 3300 kv motor. 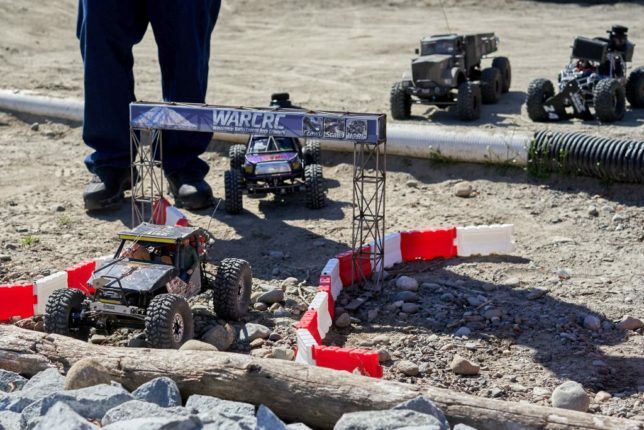 HH lockers front and Rear. 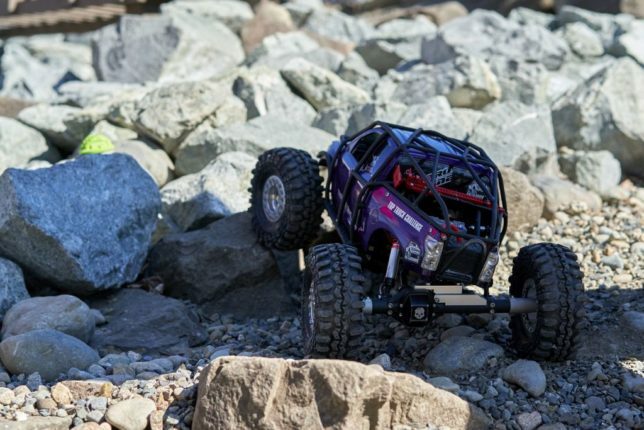 XR Mod wide with Vanquish Wraith c-hubs, knuckles and vp rear lockouts with Axial Wraith universals cut to fit the axles. 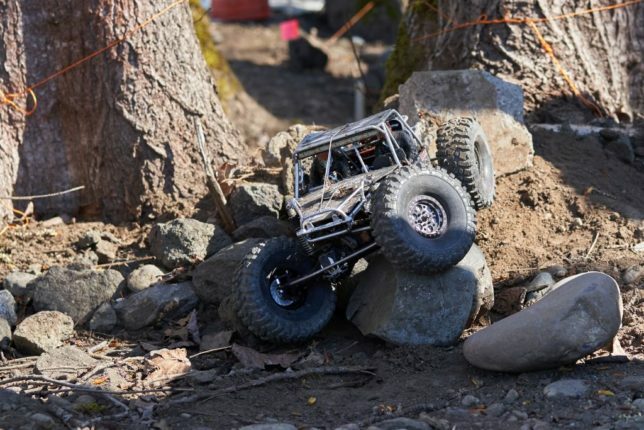 Ottsix Voodoo 2.2 klr with CI dual stage foams. 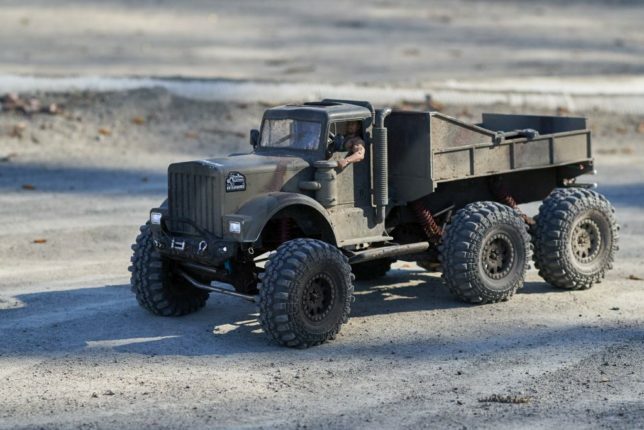 Semi truck style cab with full bed, plenty of scale accessories, all custom made. 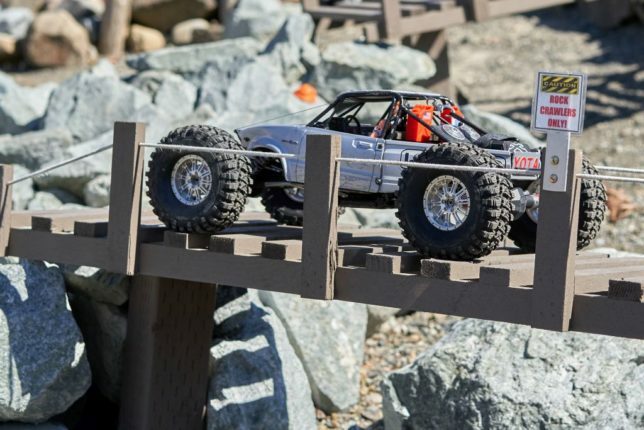 1” flat steel chassis rails with SMW waterjet cut subframe, shock hoops and skidplate. 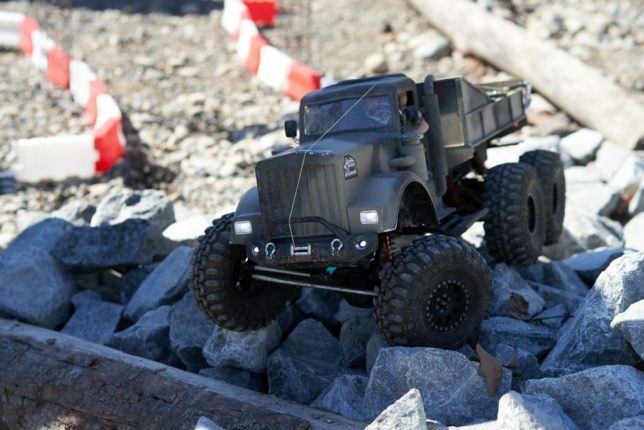 And the winner was Daniel A. with his 6×6 military truck.